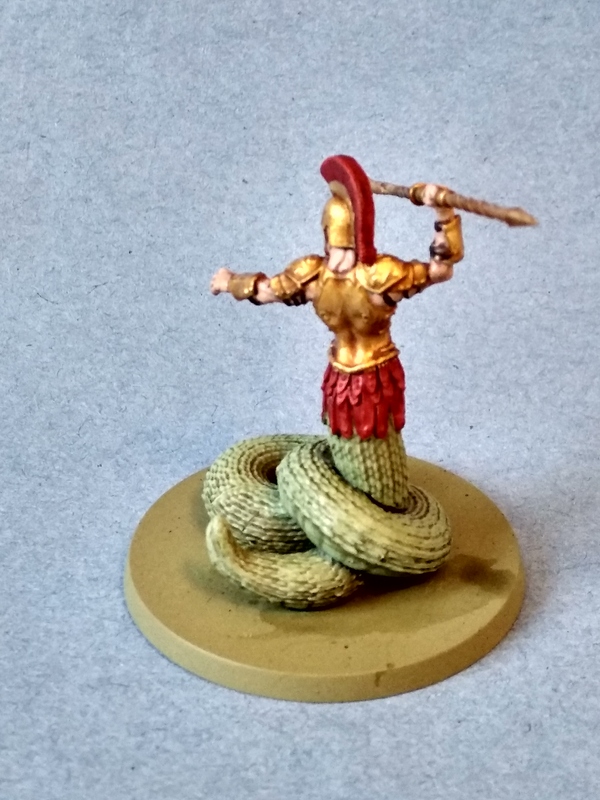 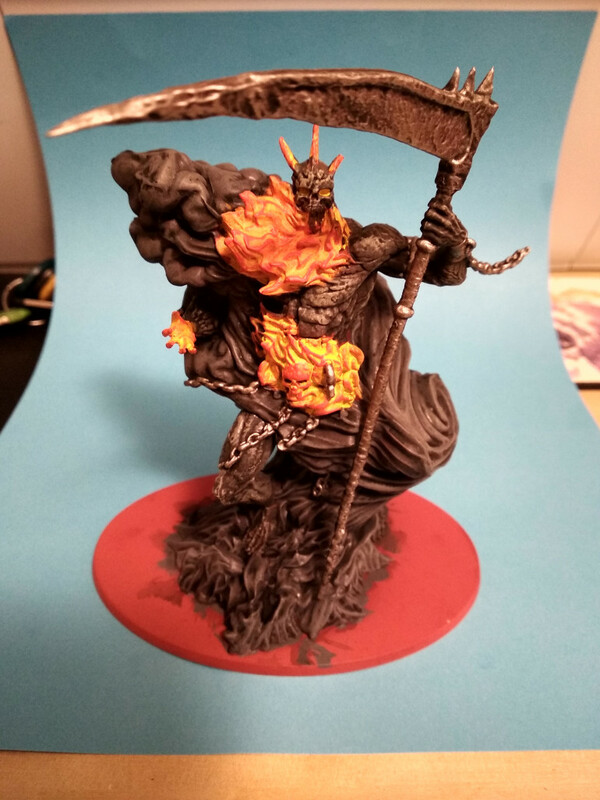 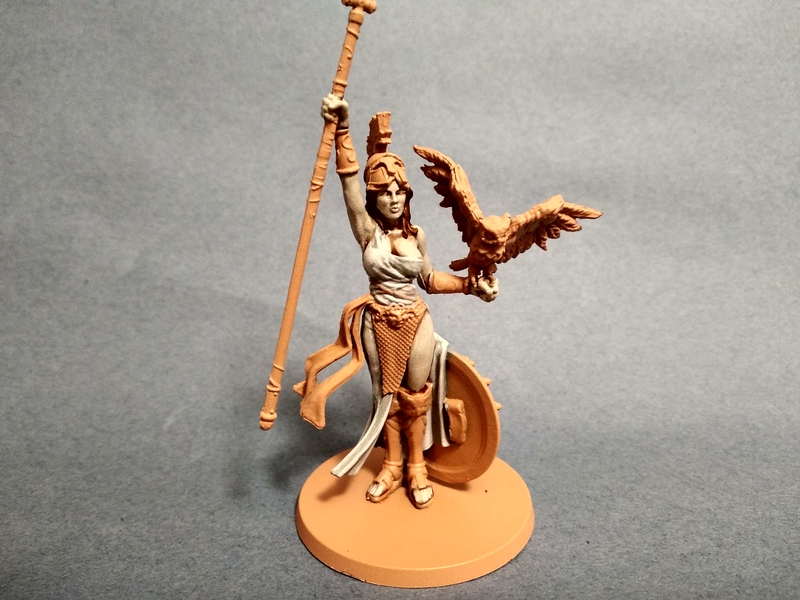 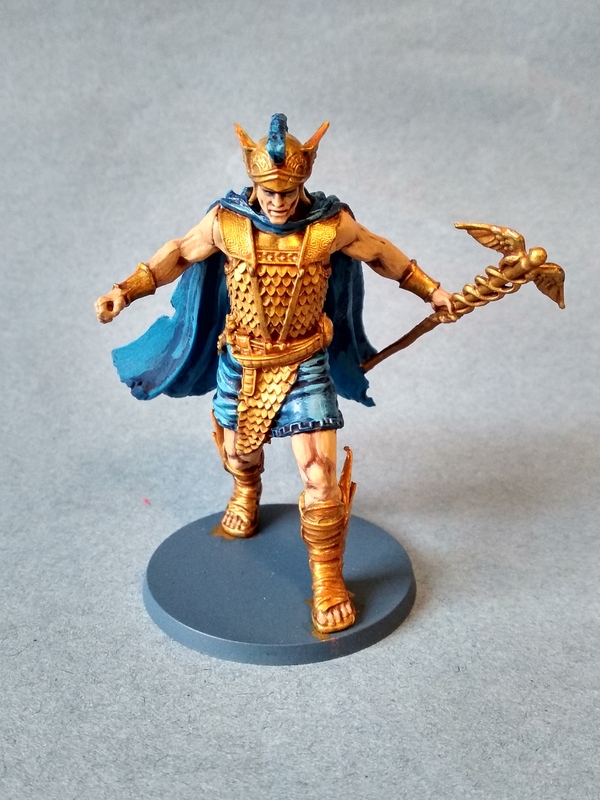 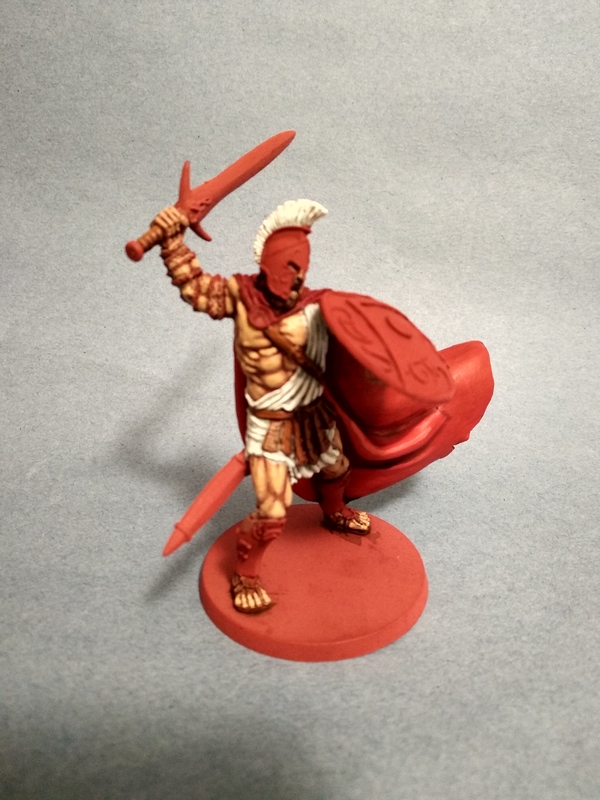 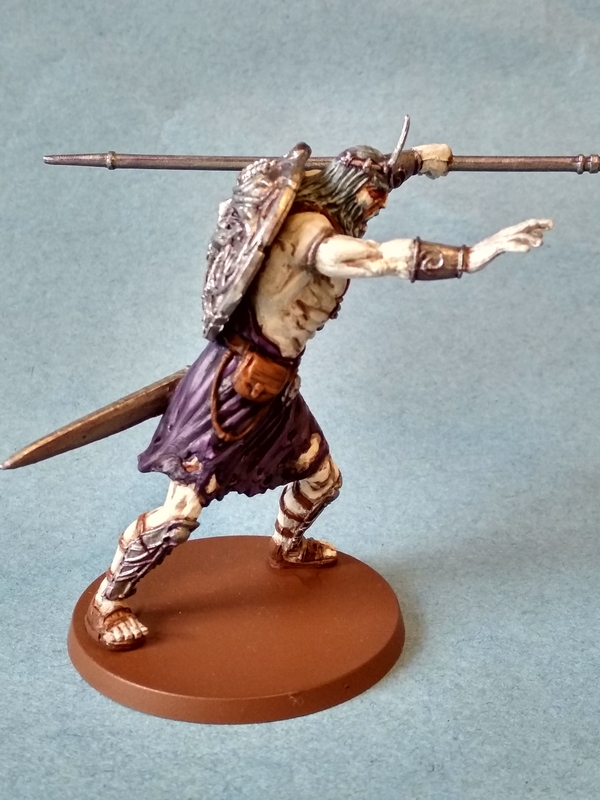 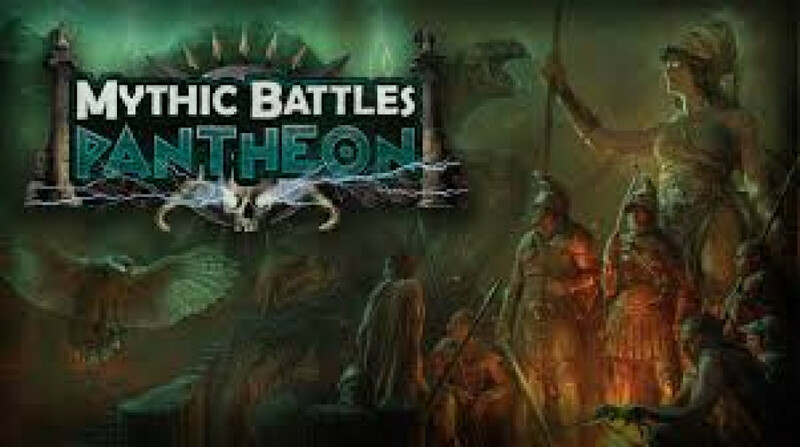 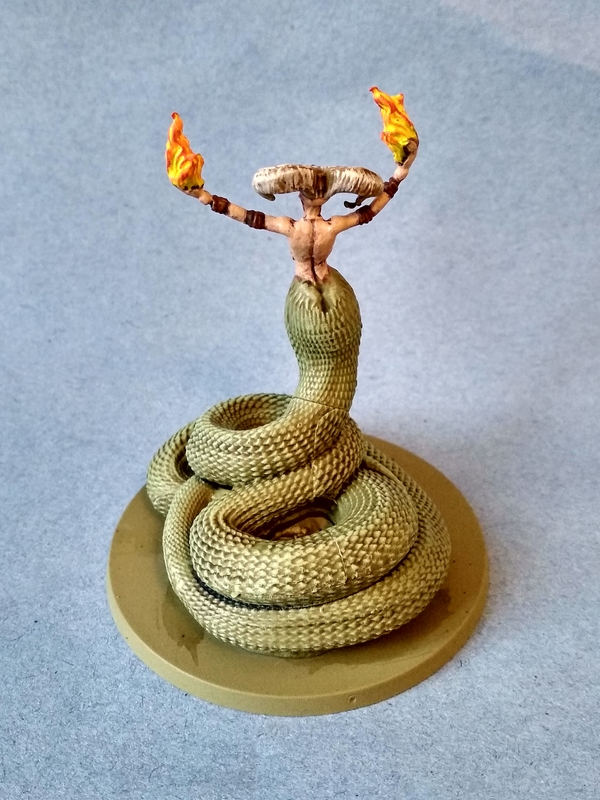 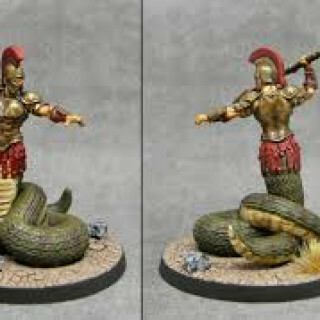 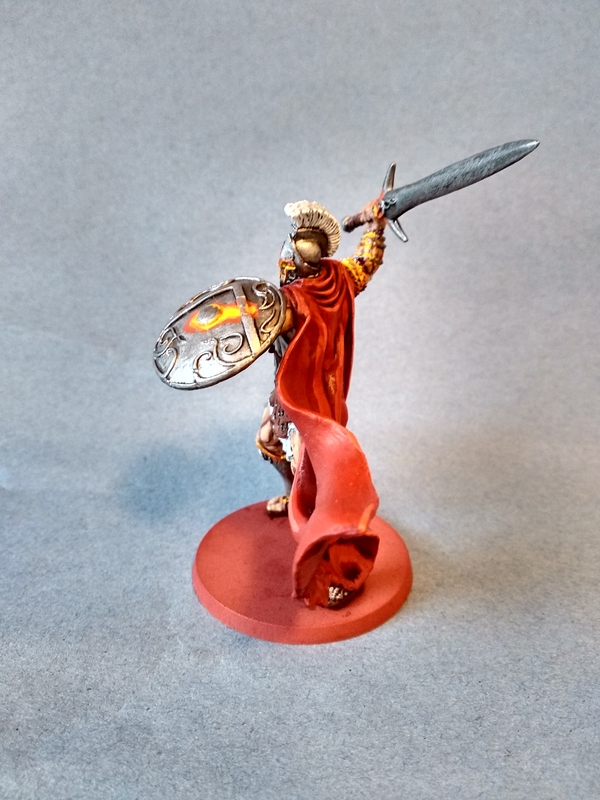 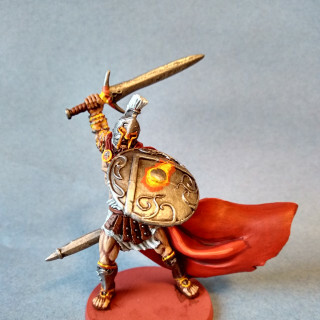 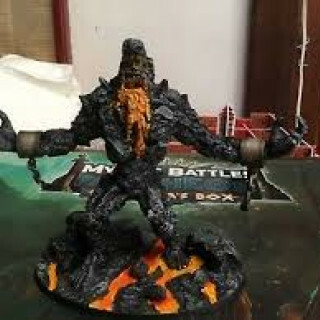 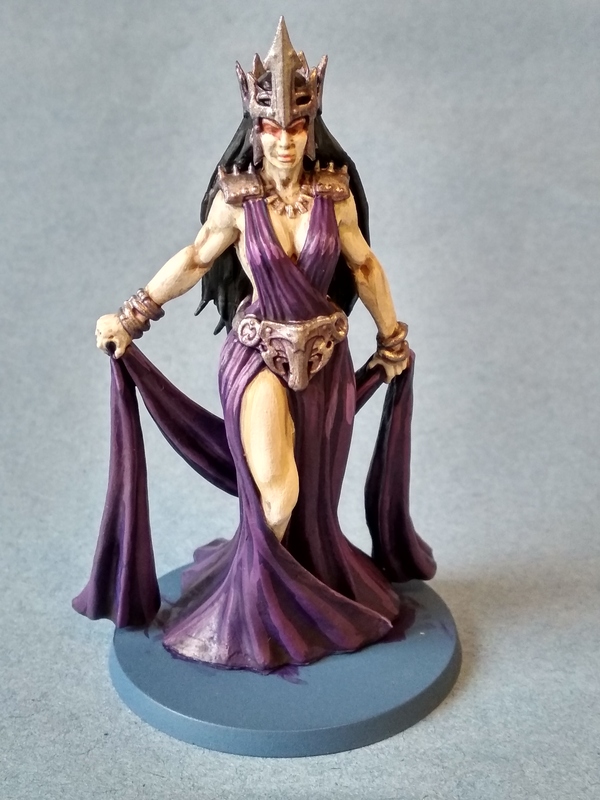 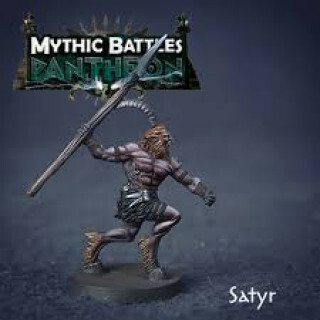 My new year's resolution for 2019 will be to paint up all the Mythic Battles Pantheon models that I received from the Kickstarter. 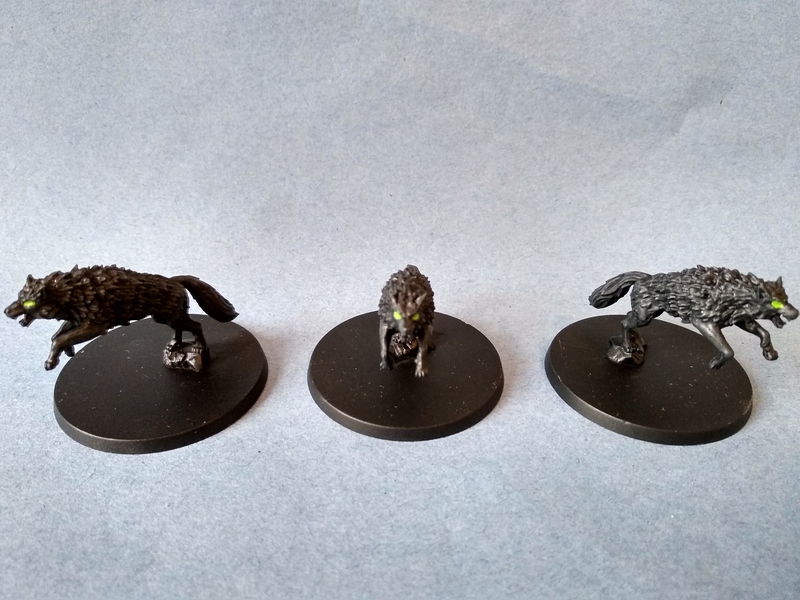 Up next I’ll be working on the Minotaur, Nemean Lion, Lycaon, Gorgon, Tityos and Teumessian Fox. 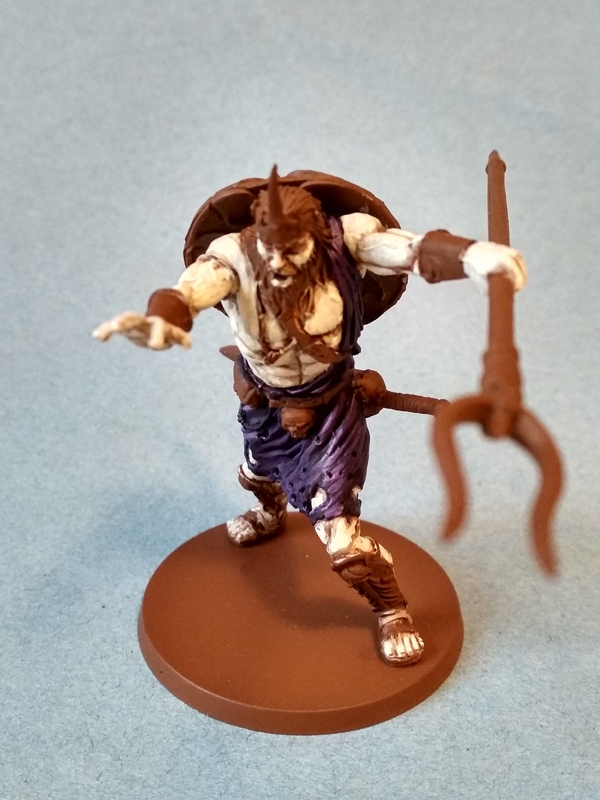 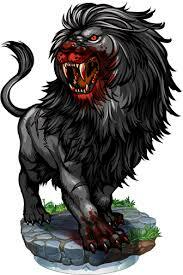 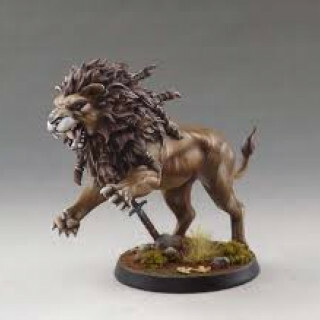 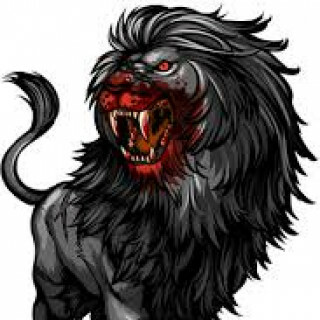 I didn’t find that many reference images but I do like the idea of making the Nemean Lion very bloody to make it look savage, and going for a more orange brown with the Teumessian Fox. 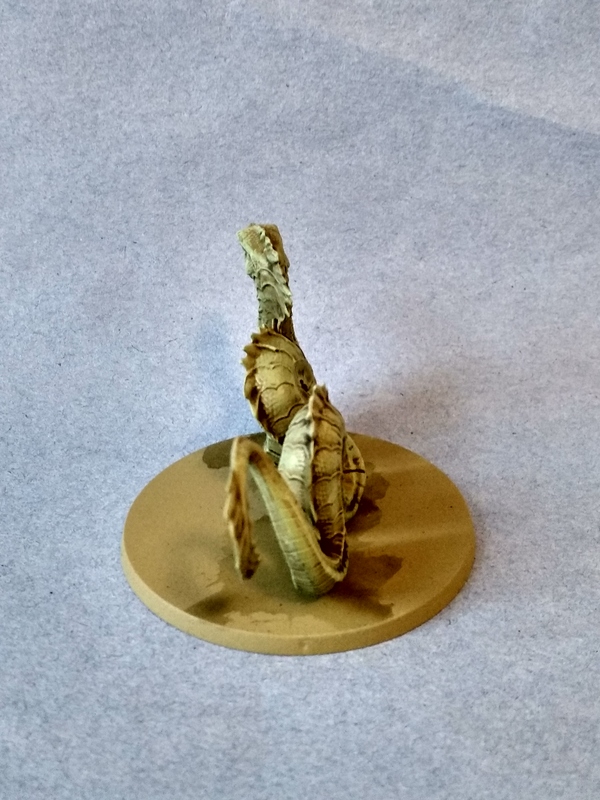 All three models began with an undercoat of death guard green spray. 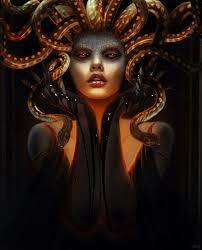 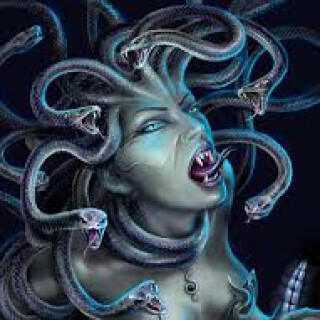 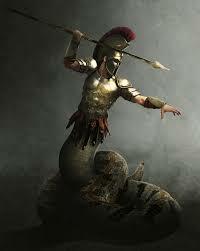 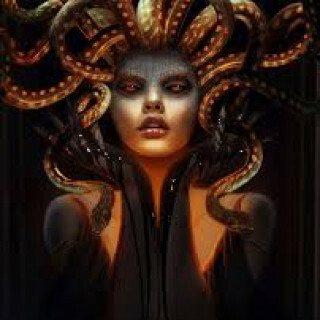 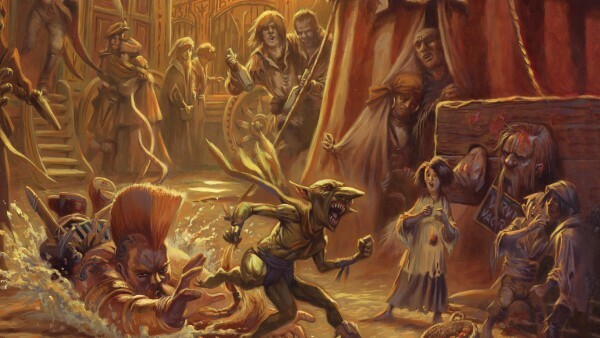 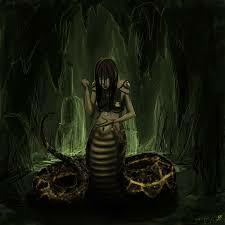 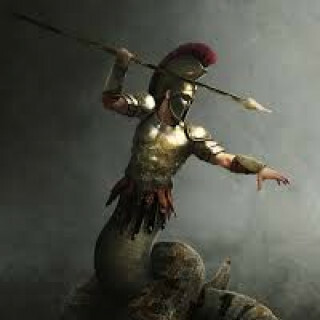 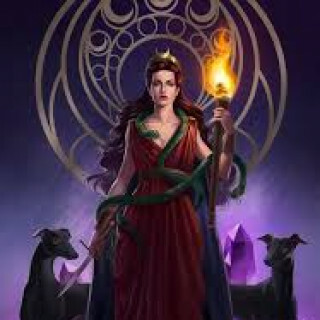 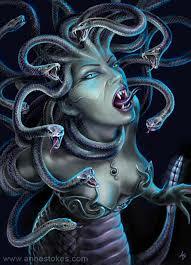 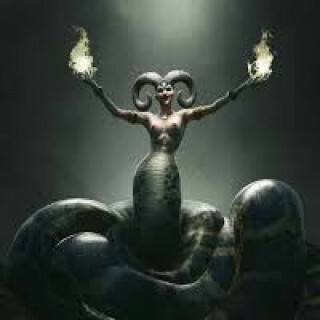 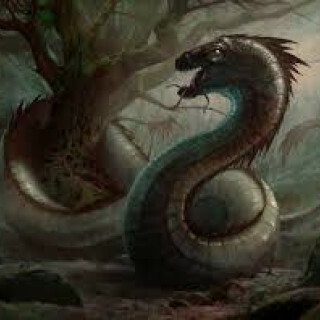 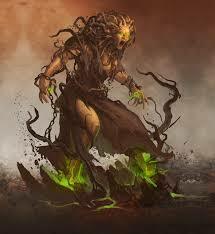 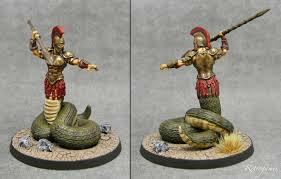 The basilisk and hydra were then washed coelia greenshade, while the medusa was washed athonian camoshade. 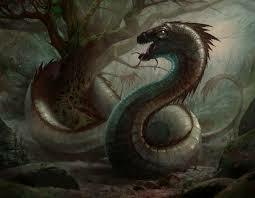 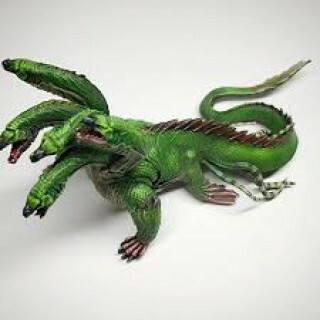 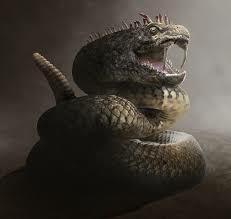 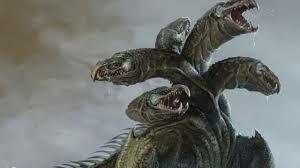 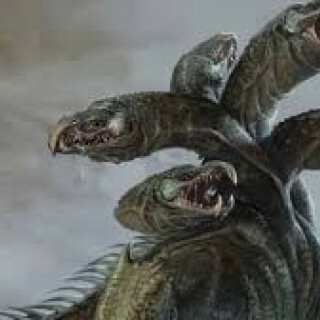 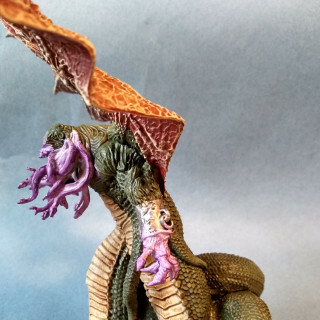 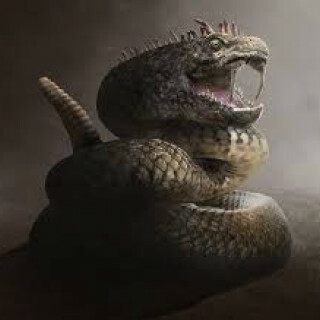 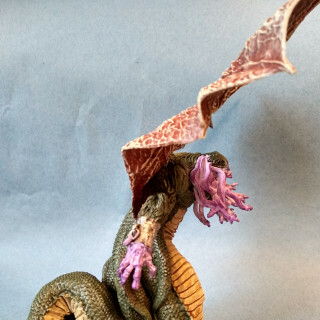 The hydra’s fins and faces were then washed with druchii violet, as were the basilisk’s mouth. 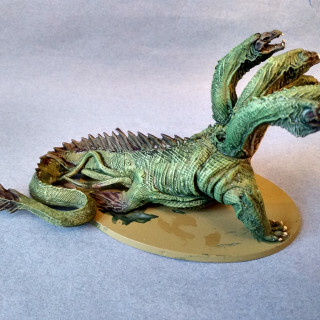 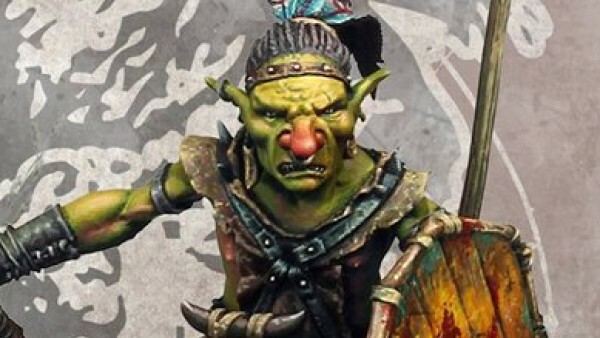 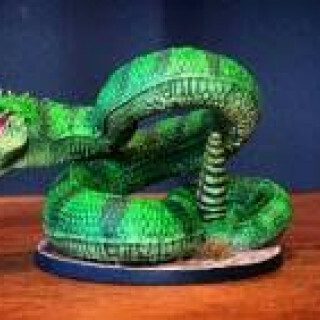 The basilisk and hydra’s green areas were drybrushed goblin green followed by skarsnik green. 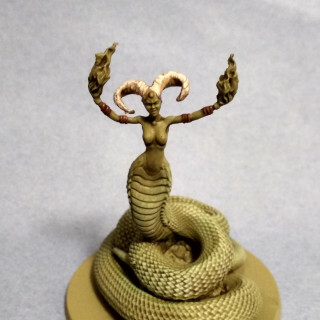 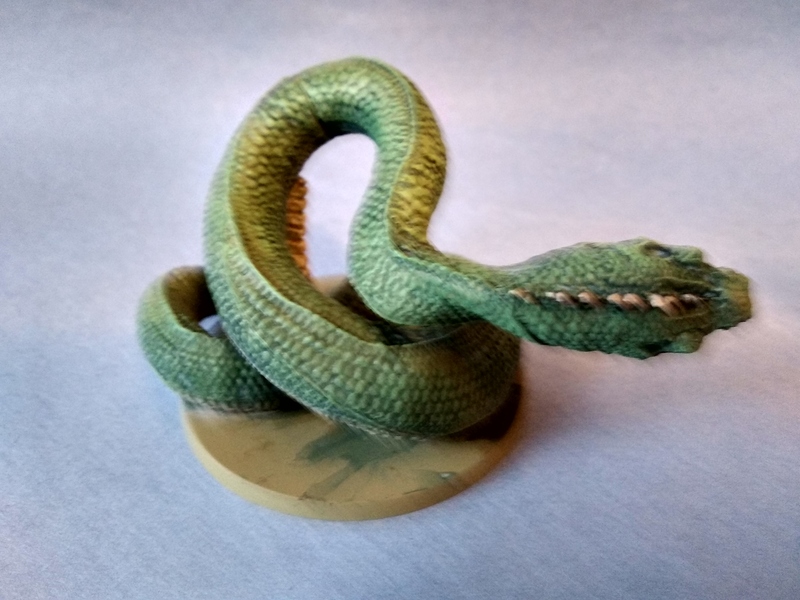 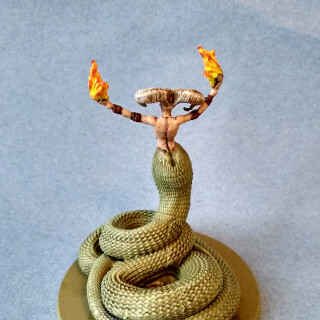 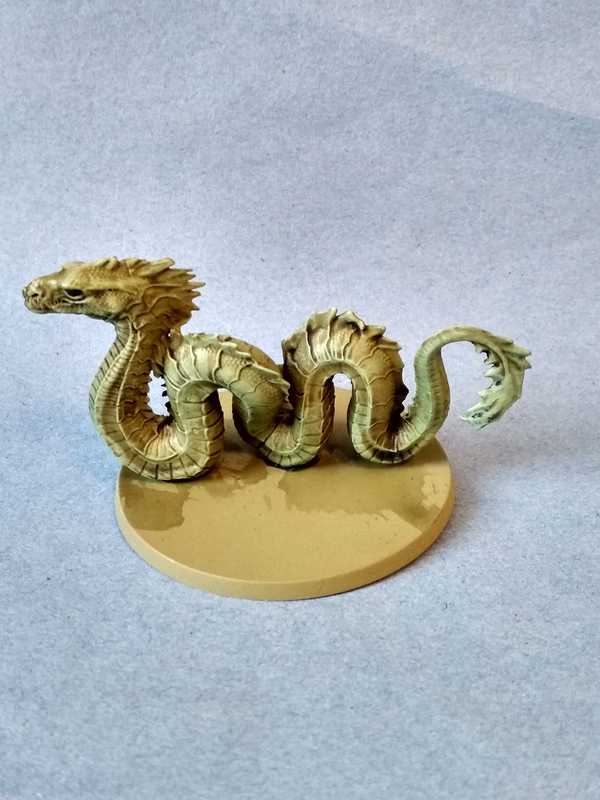 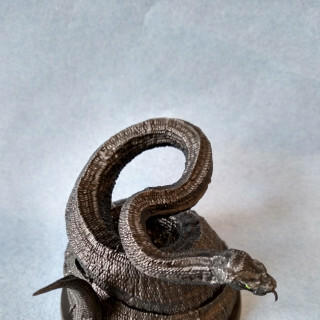 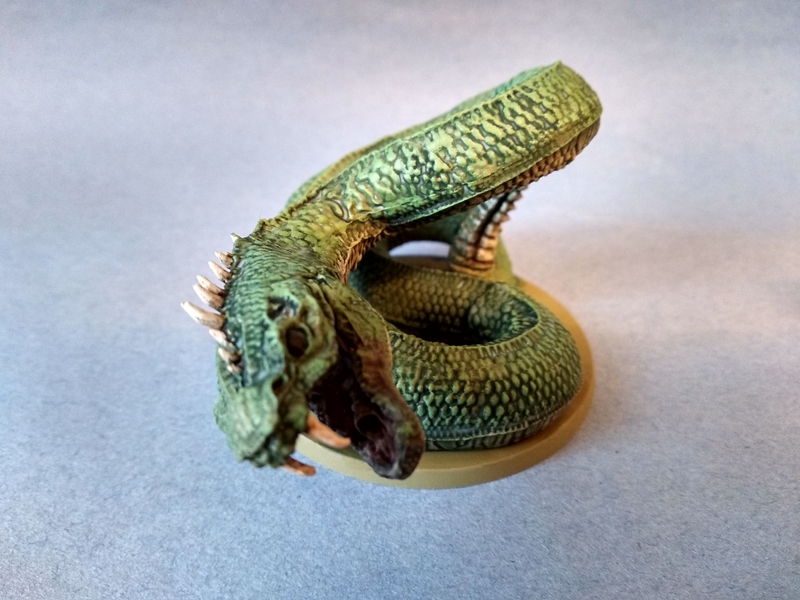 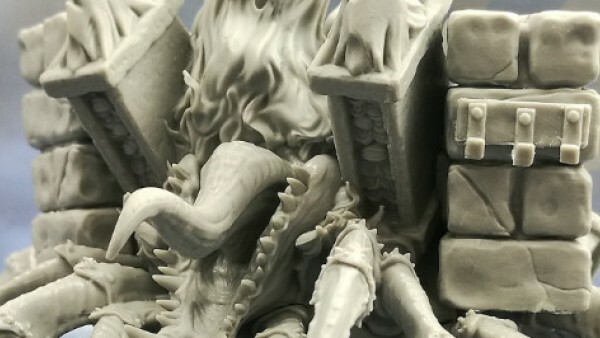 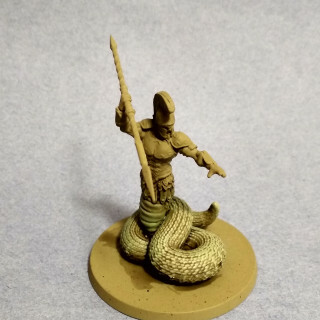 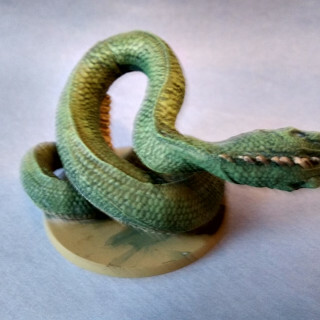 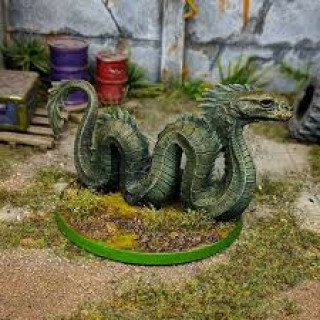 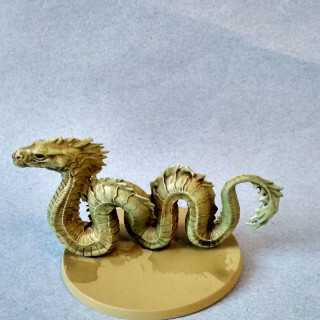 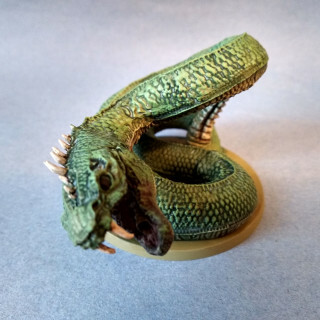 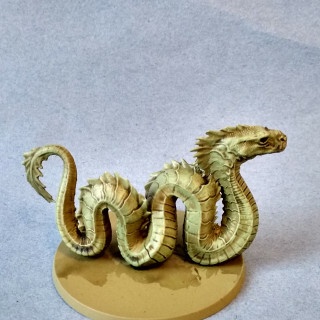 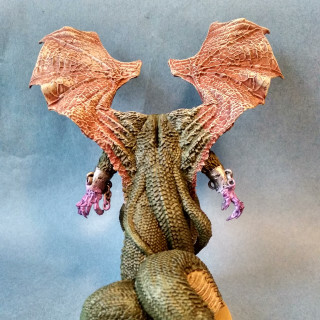 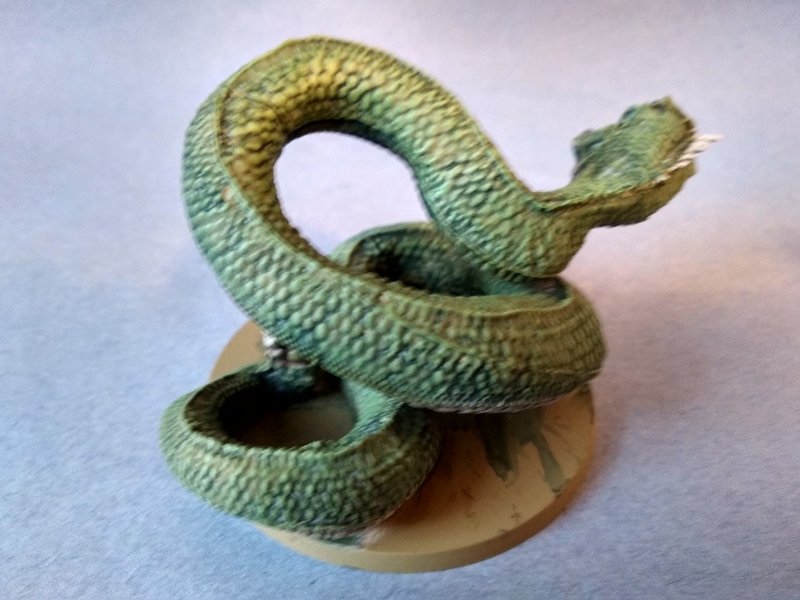 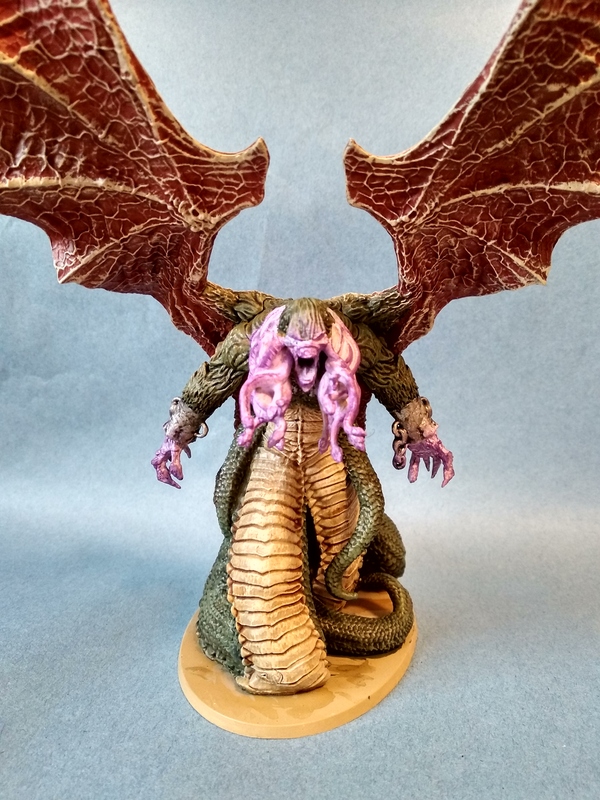 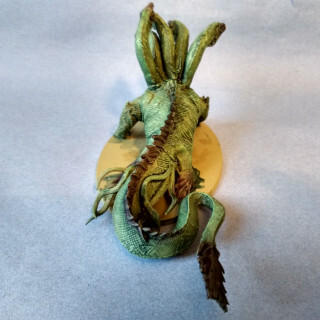 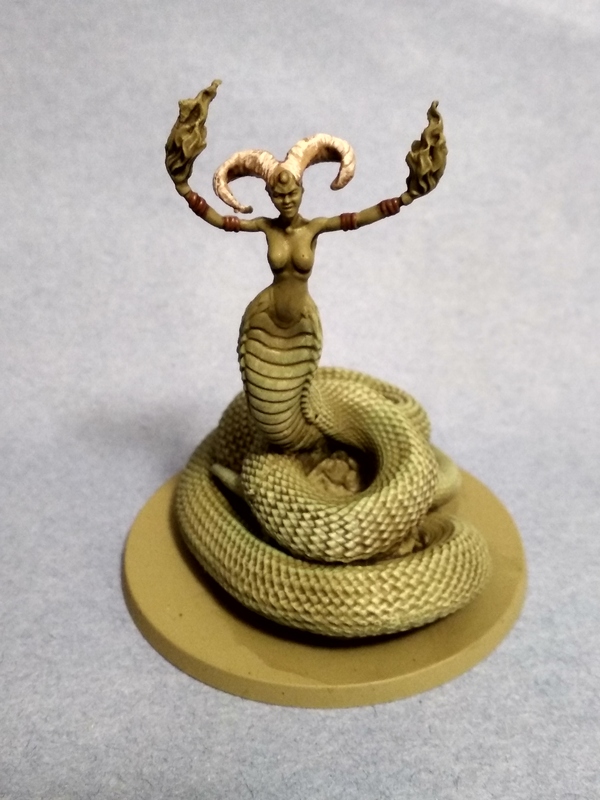 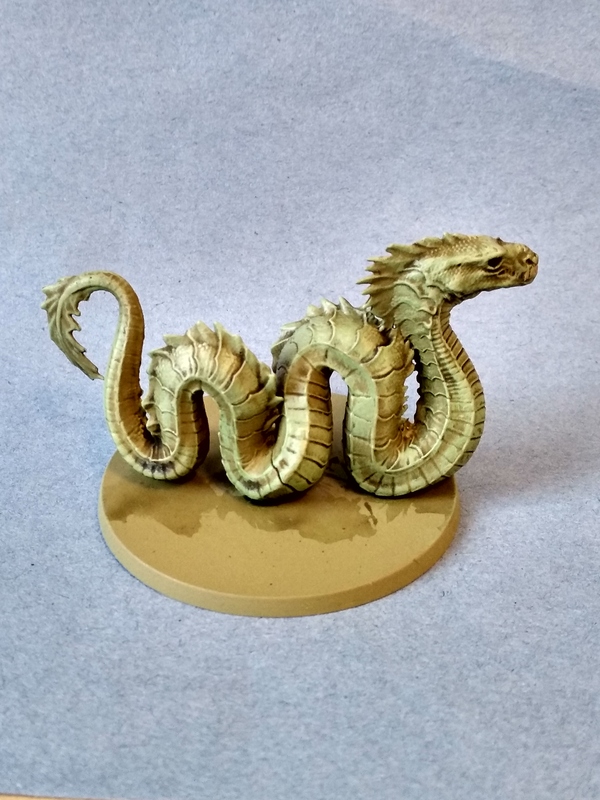 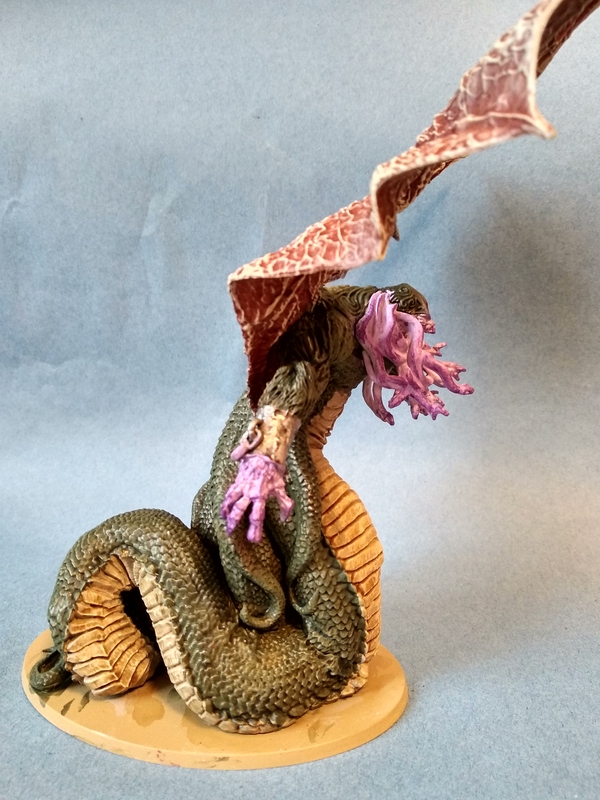 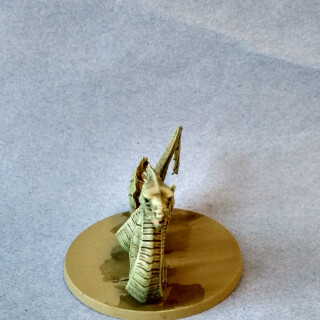 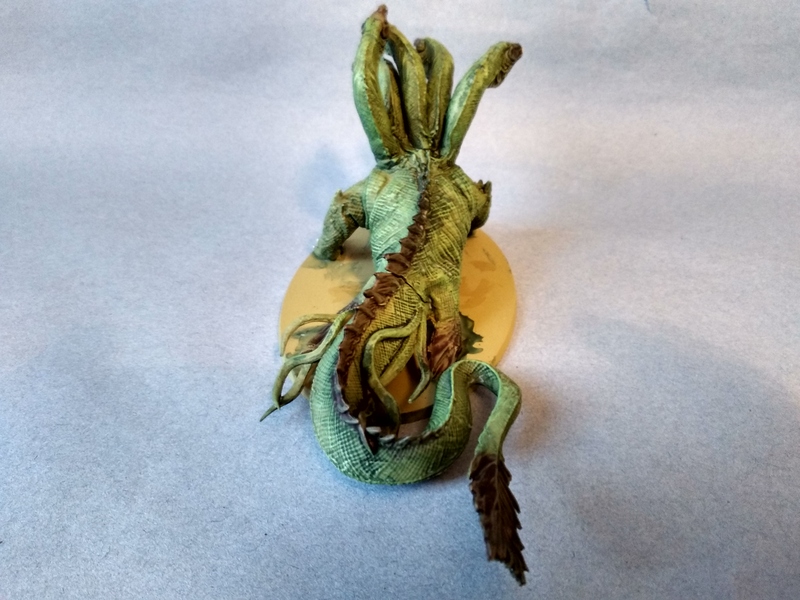 The hydra’s chest, basilisks underside and rattle, and Medusa’s front scales were drybrushed ushabti bone, washed seraphim sepia and then given a light drybrush of screaming skull. 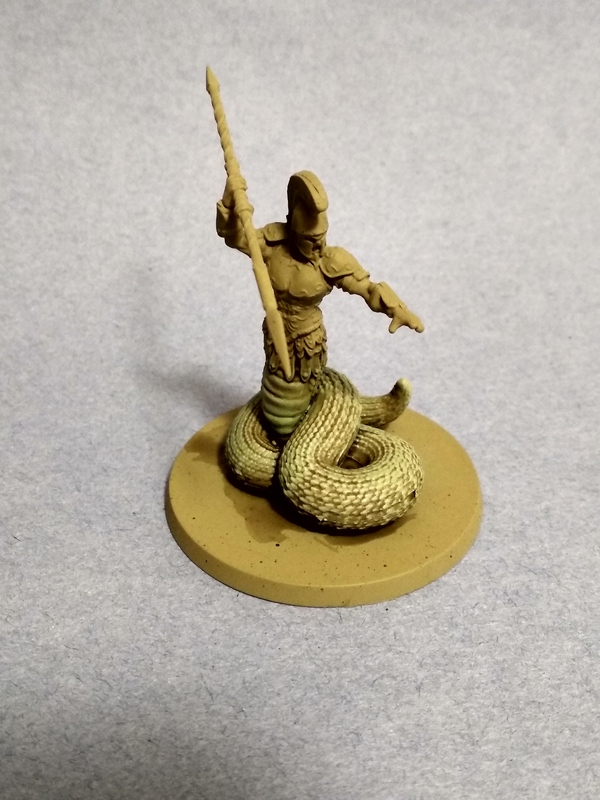 The talons, fangs and spines were layered ushabti bone, washed agrax earthshade then highlighted screaming skull. 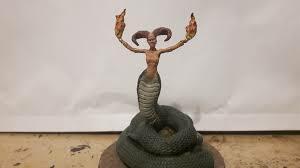 Medusa’s skin was basecoated bugman’s glow, washed reikland fleshshade, then highlighted cadian felshtone followed by kislev flesh. 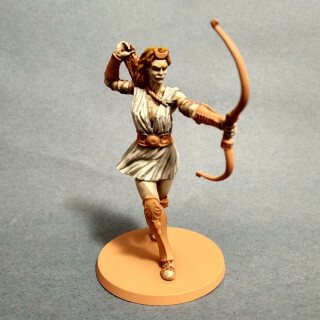 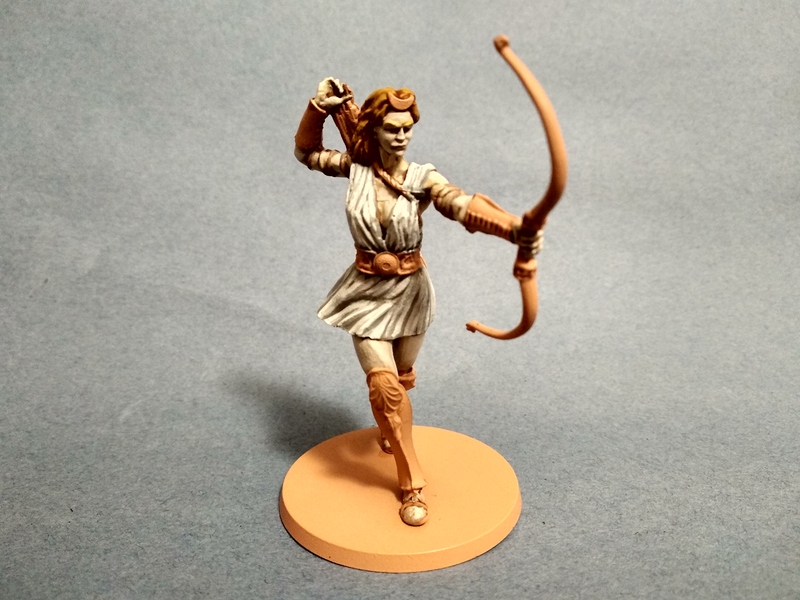 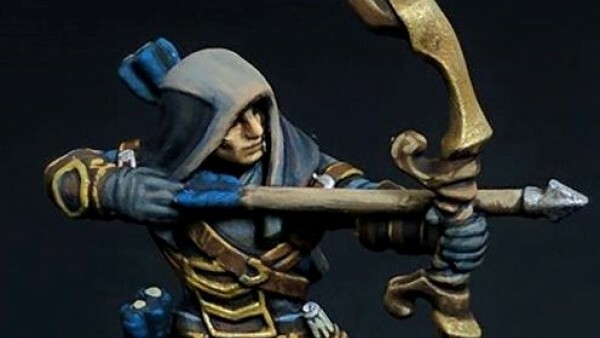 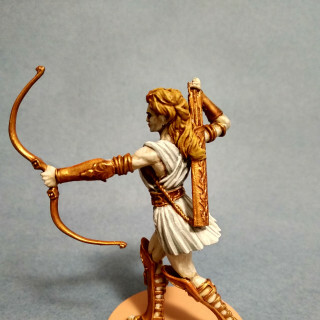 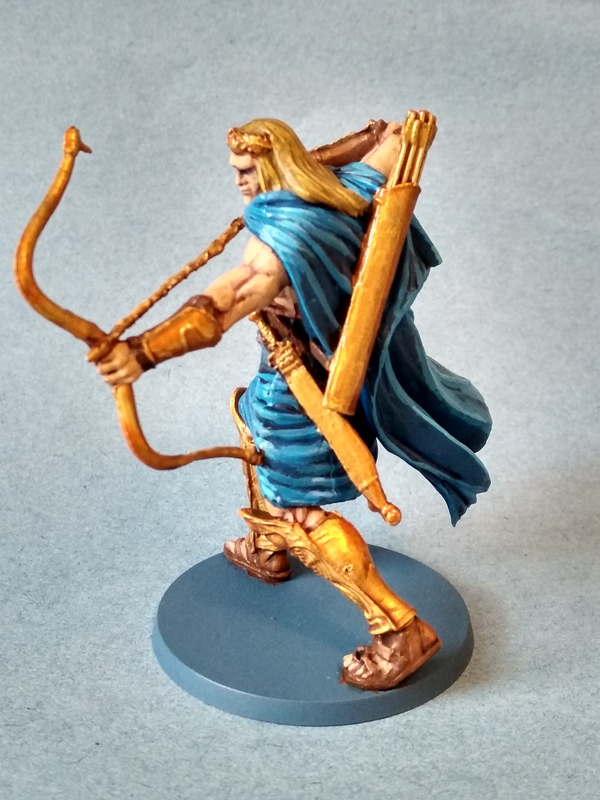 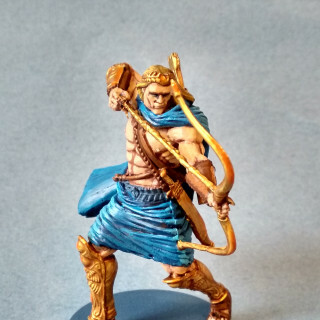 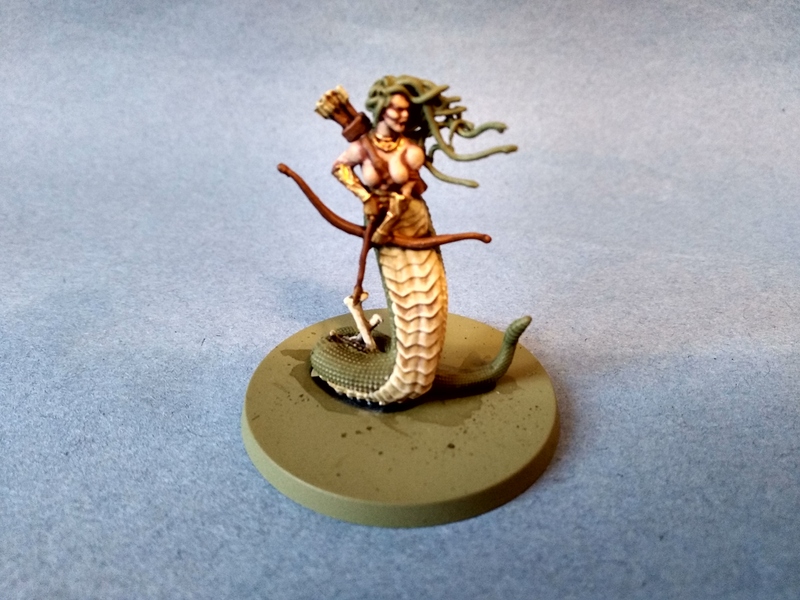 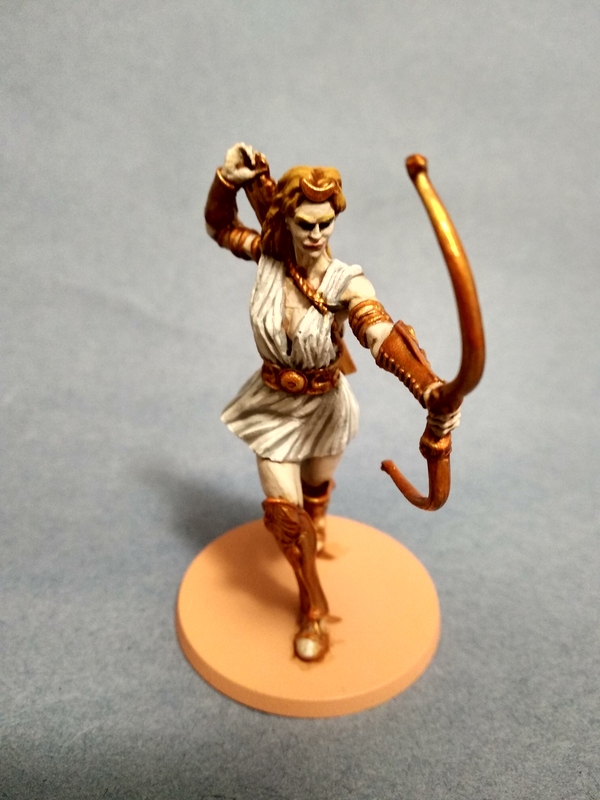 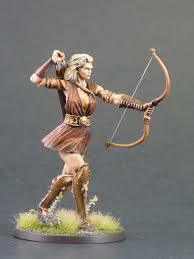 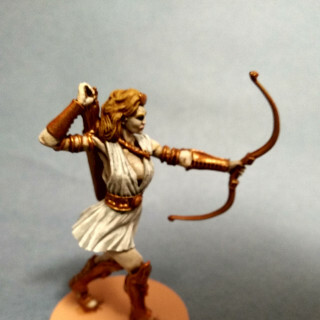 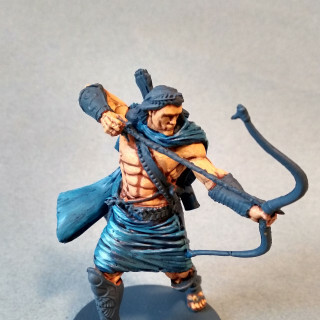 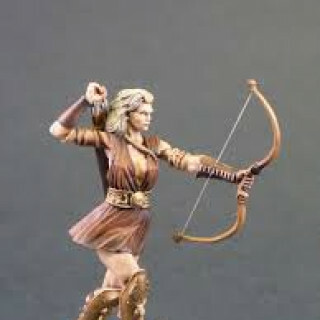 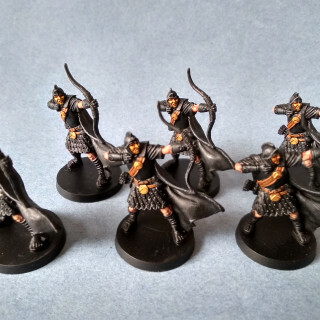 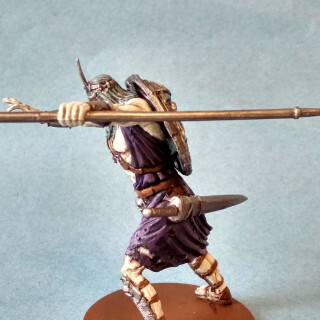 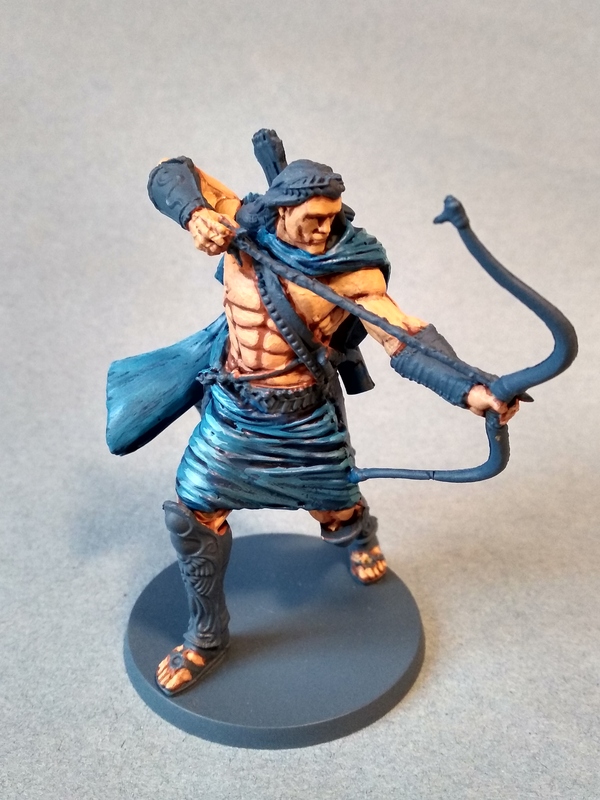 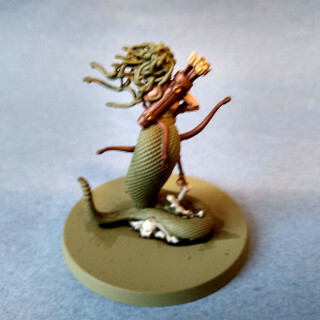 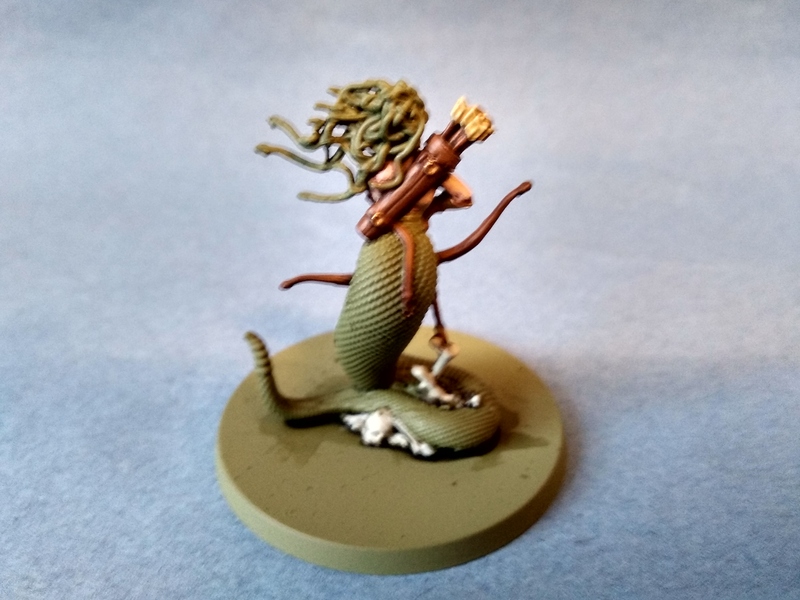 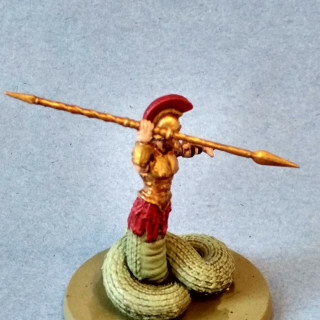 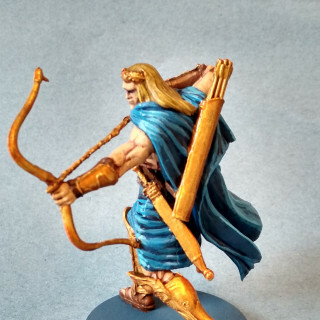 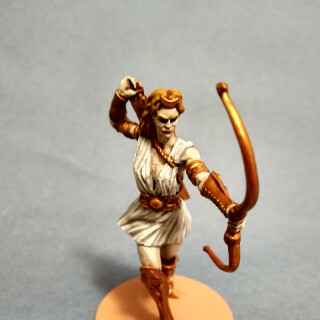 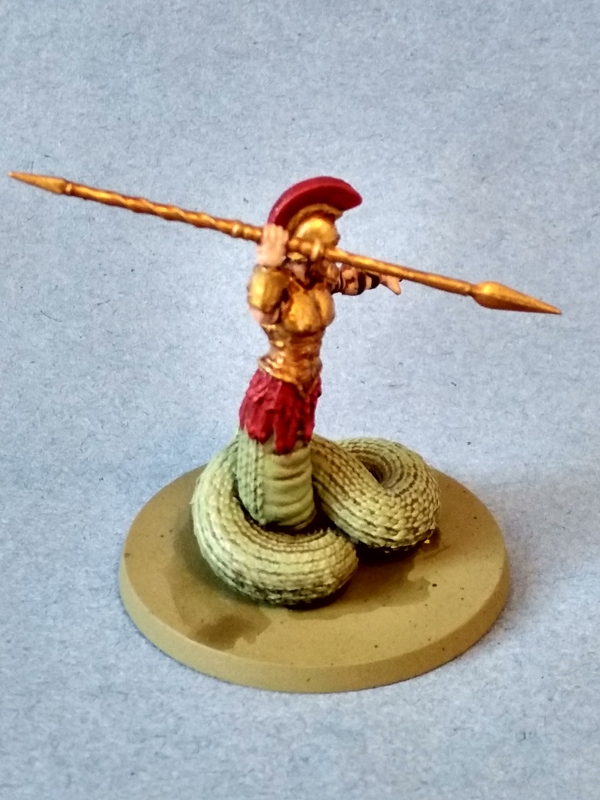 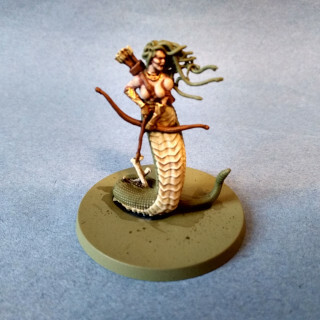 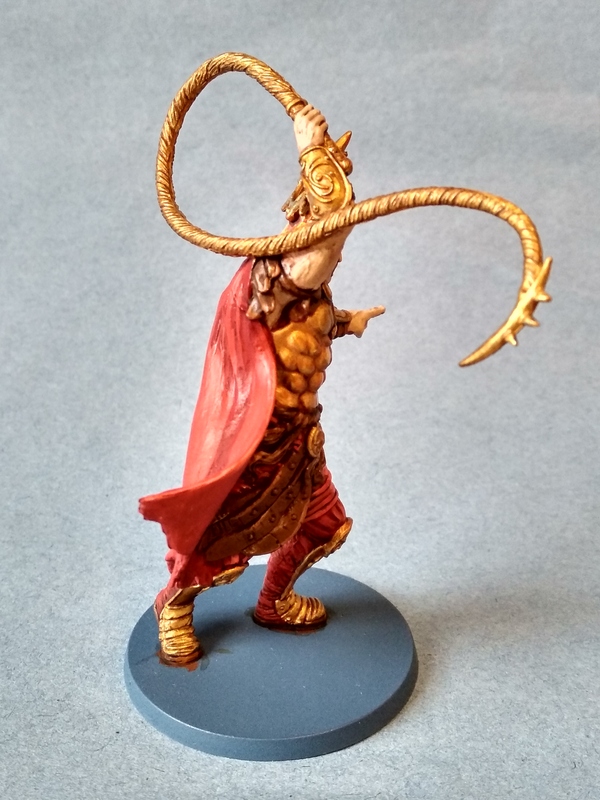 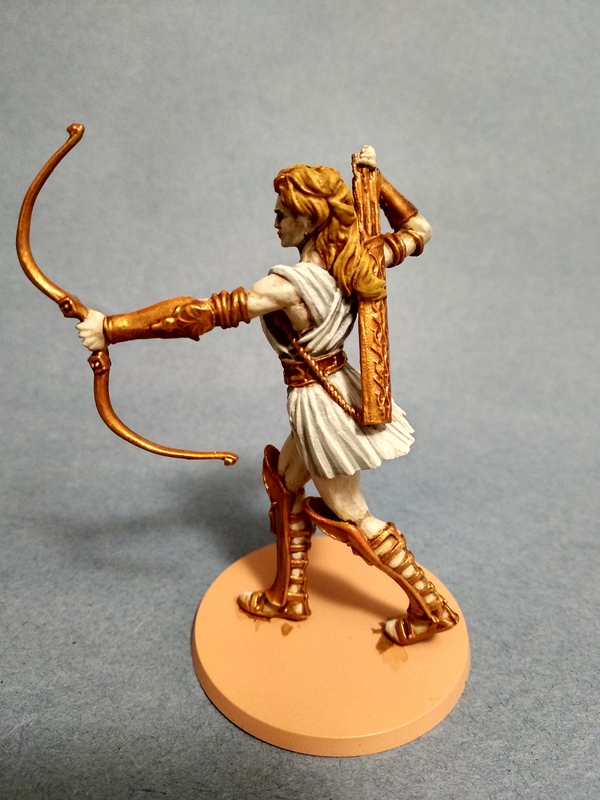 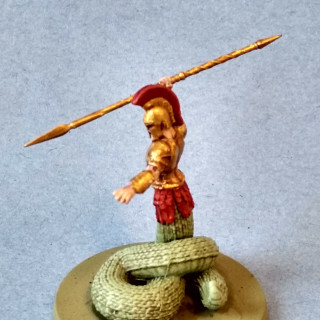 Medusa’s bow, arrow, quiver and leather was basecoated mournefang brown, washed agrax earthshade then highlighted skrag brown. 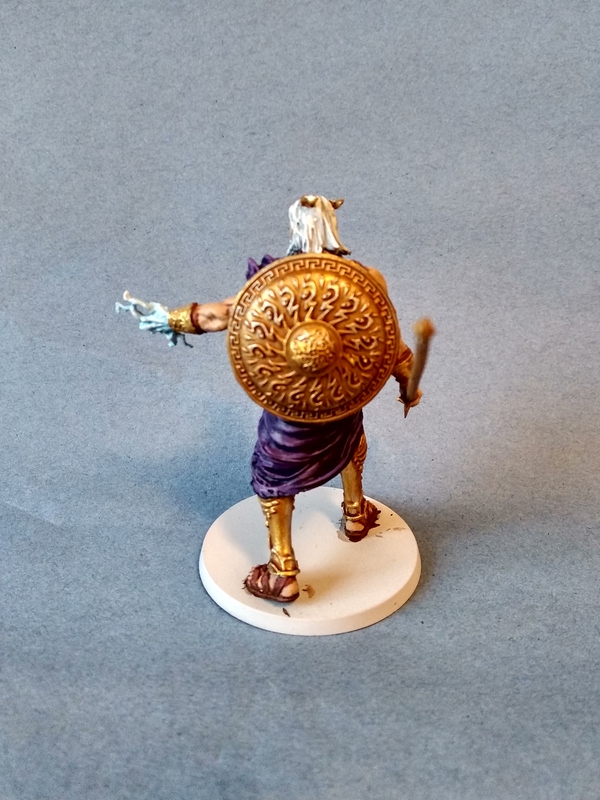 Medusa’r bracers and girdle were painted retributor armour washed reikland fleshshade, then highlighted auric armour gold. 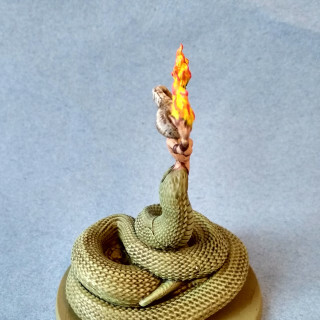 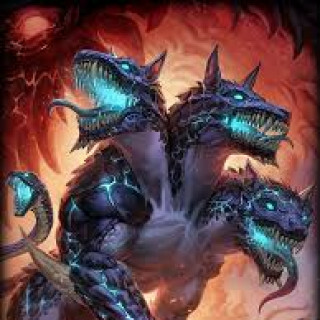 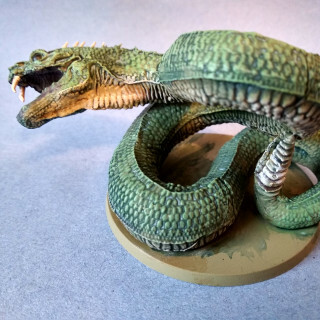 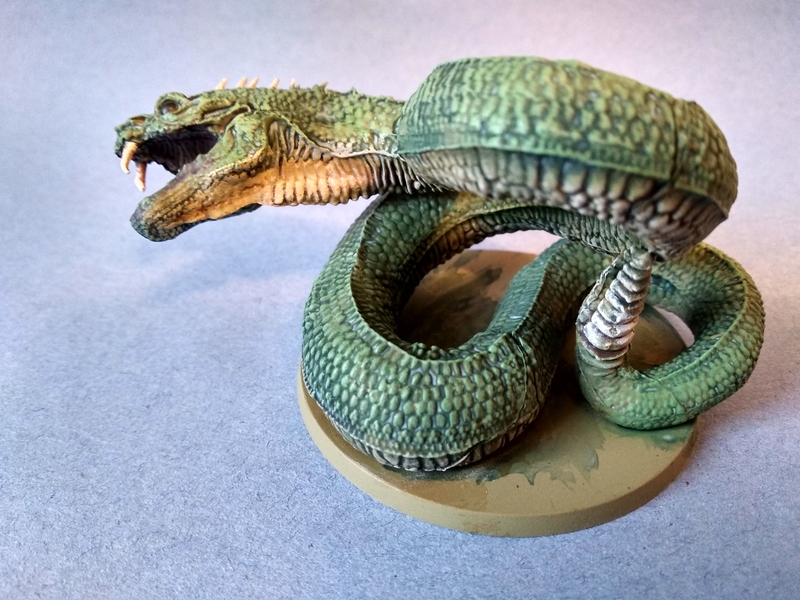 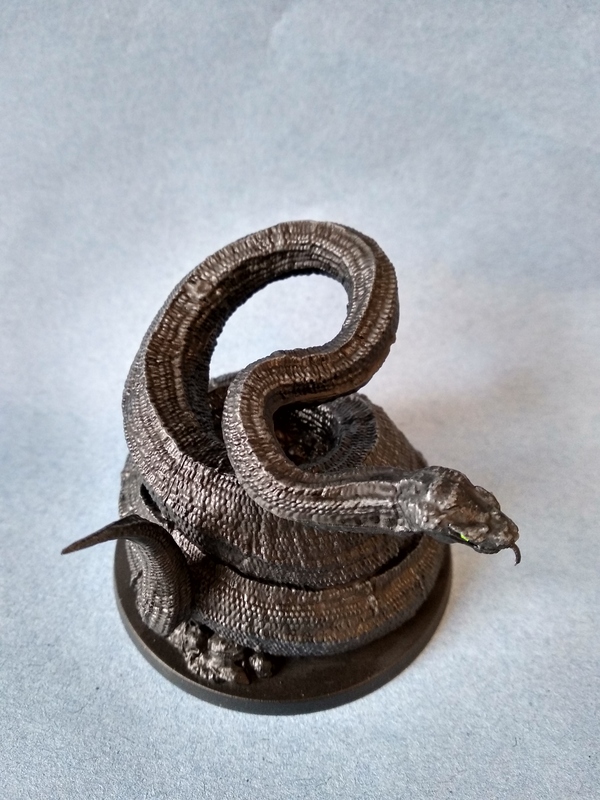 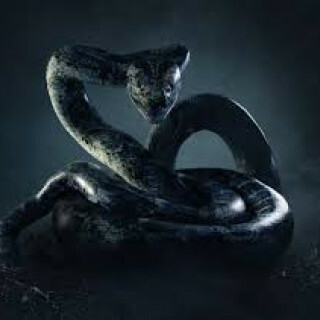 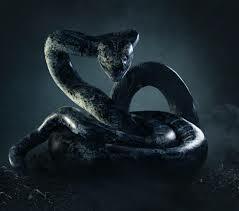 The hydra and basilisk’s eyes were painted abaddon black. 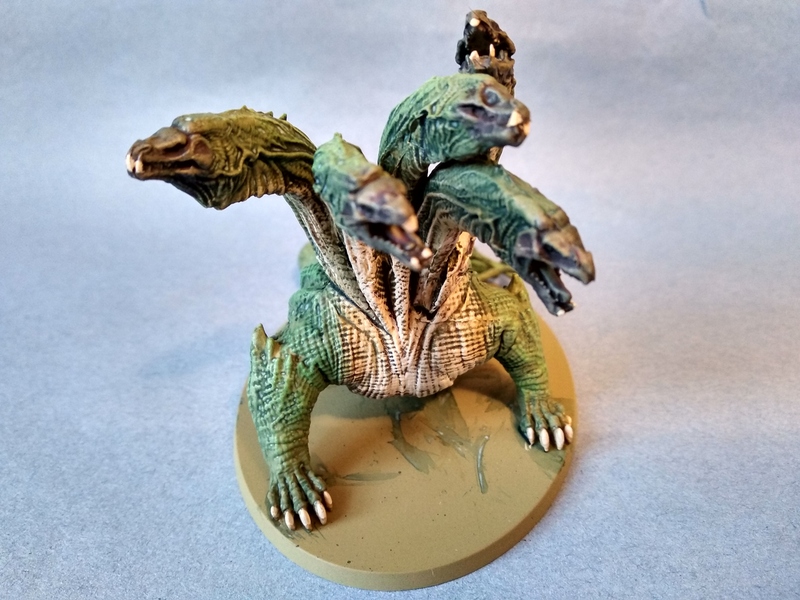 The wolf teeth and piles of skulls under Python were basecoated rakarth flesh and then washed agrax earthshade. 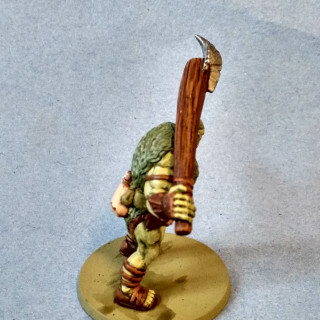 The leather on Cerebus and the toxotoi were basecoated mournefang brown, washed agrax earthshade and then highlighted with skrag brown. 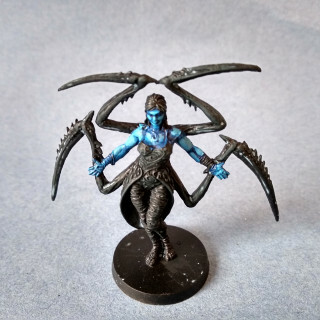 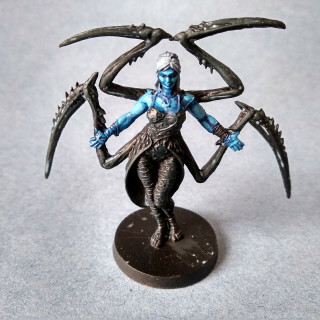 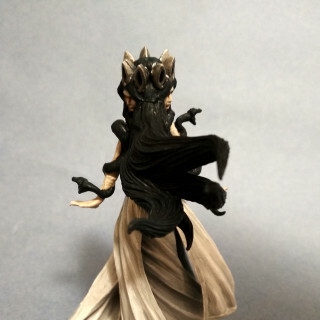 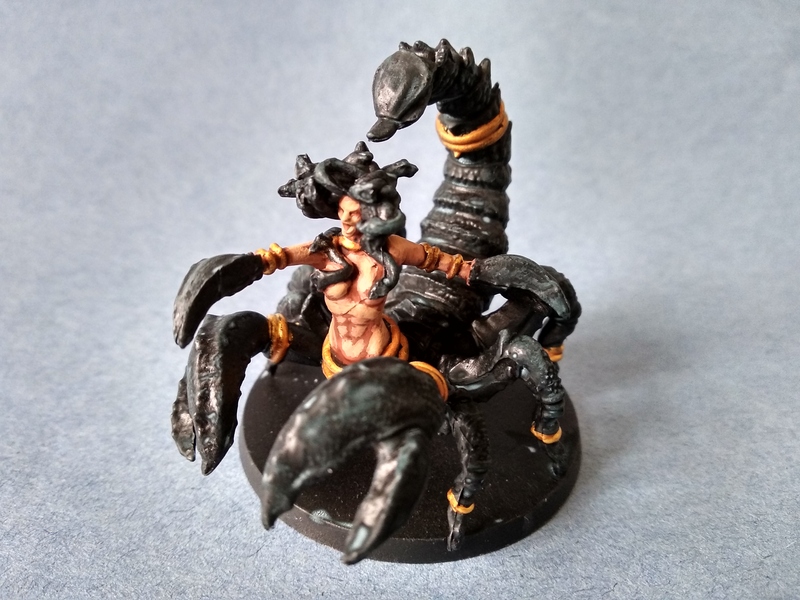 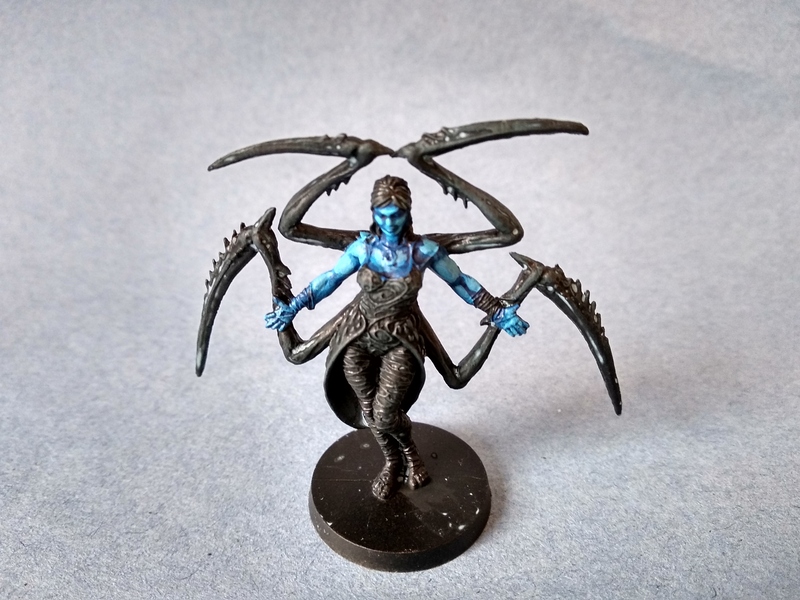 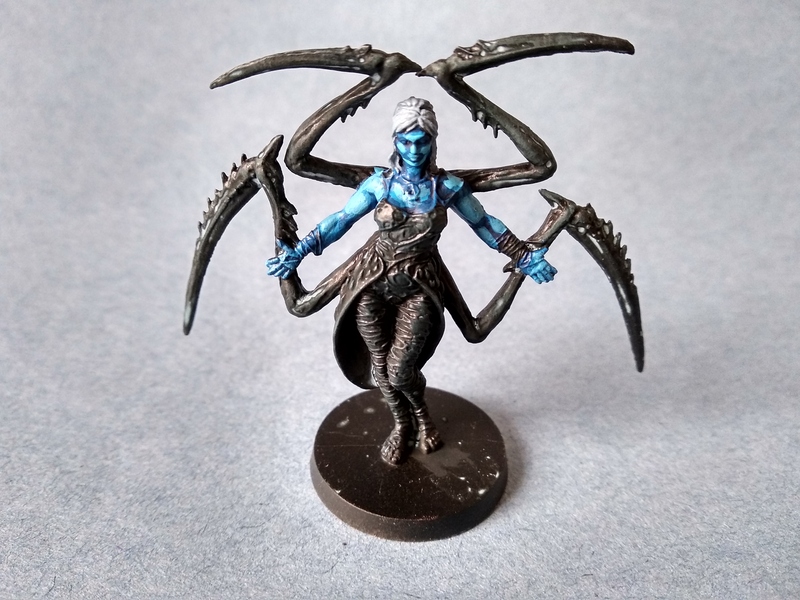 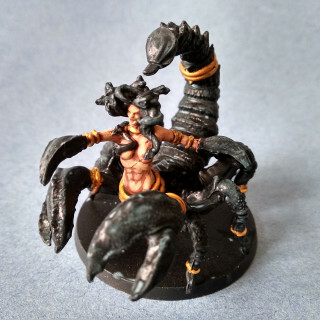 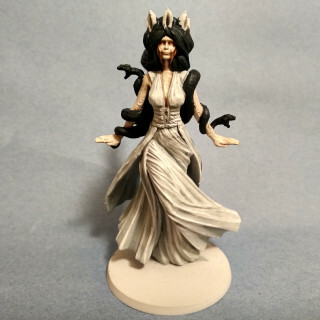 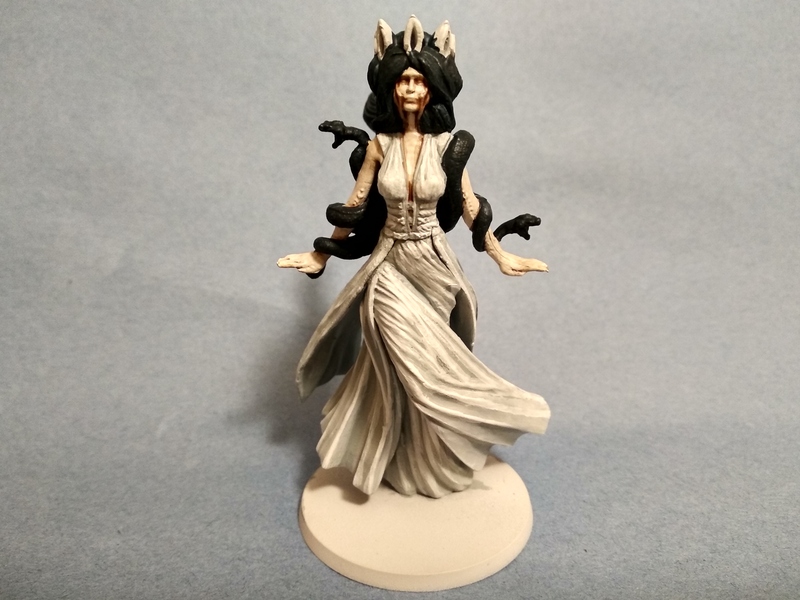 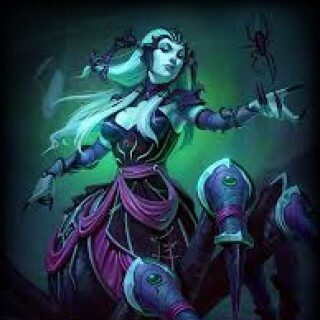 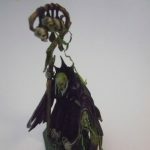 Aracne’s body suite was given an overbrush of incubi darkness to differentiate it subtly from the other areas of the model. 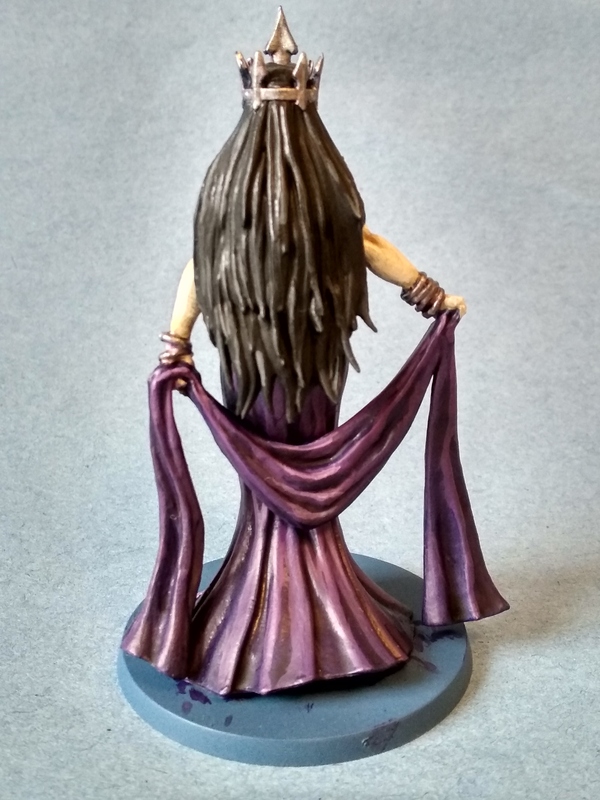 Her hair was bascoated russ grey and then highlighted fenrisian grey. 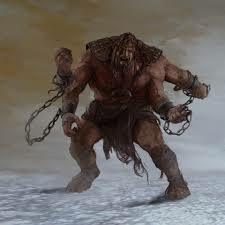 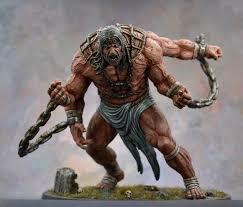 Cerebus’ chains and hooks were basecoated leadbelcher, washed nuln oil then highlighted with ironbreaker. 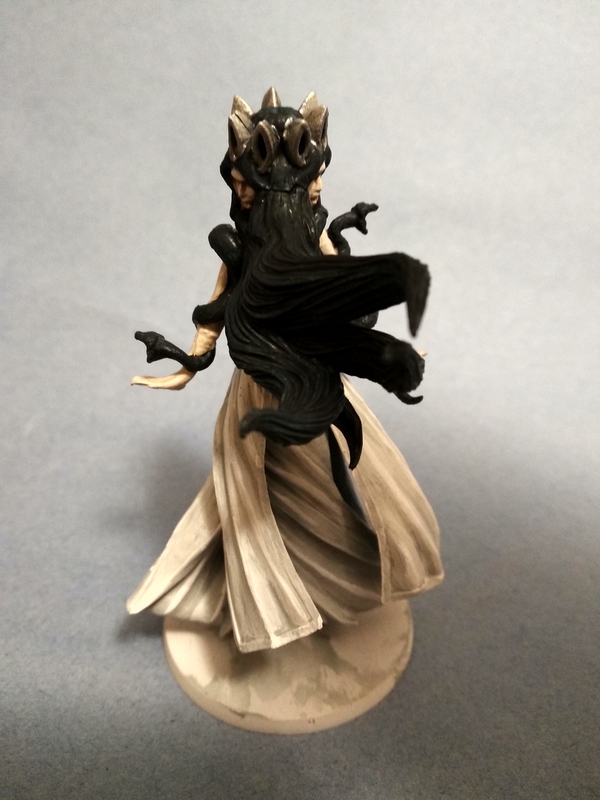 I started by painting all areas of all models abaddon black. 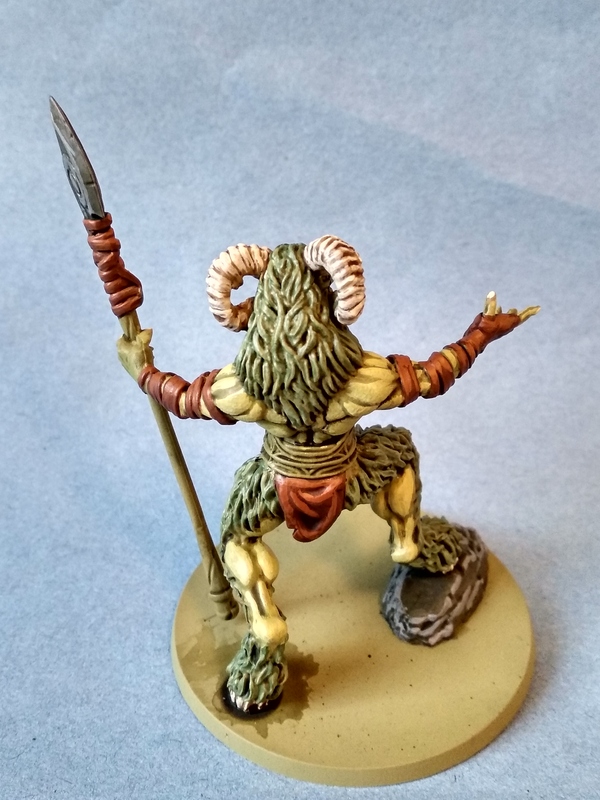 I then lightly drybrushed skavenblight dinge followed by a very light drybrush of dawnstone on prominent areas. 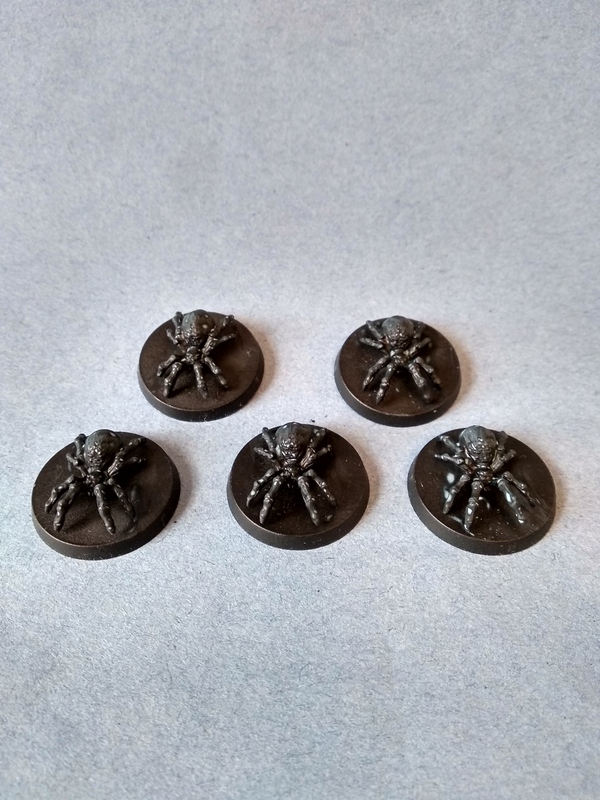 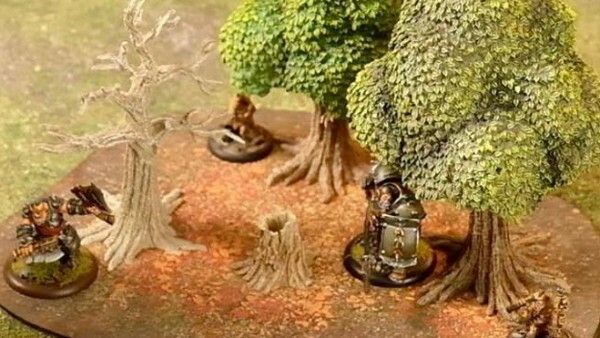 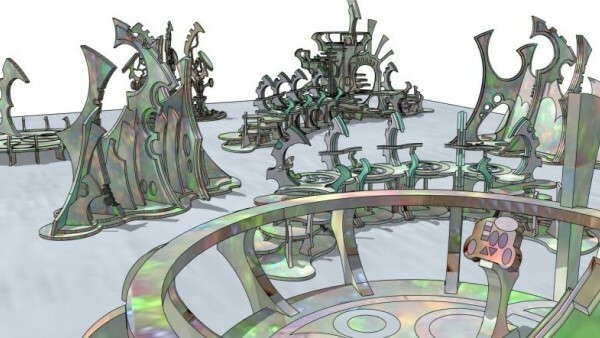 All models were then given an all over wash of either nuln oil (Cerebus, toxotoi, Circe’s wolves, and Python) or coelia greenshade (giant spiders, Arachne, and Campe). 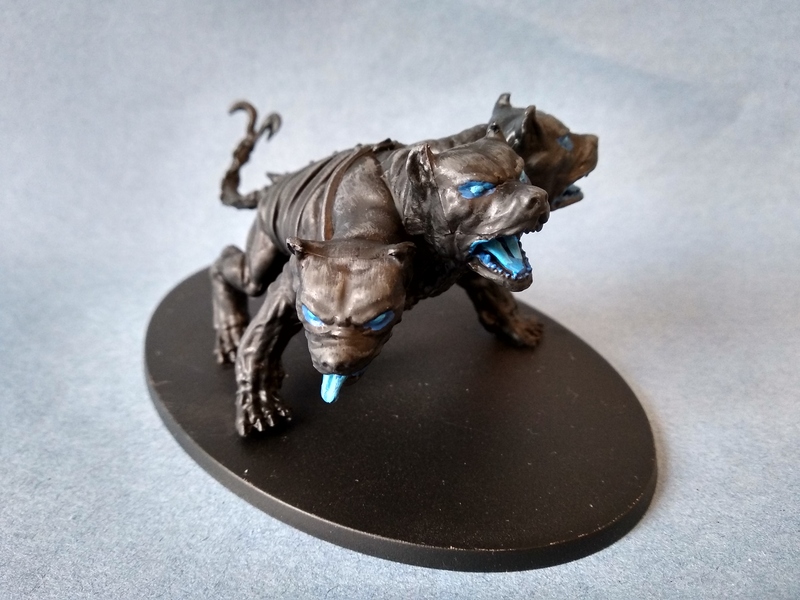 I decided to go with a blue glow effect in Cerebus’ mouths and eyes, so these and Arachne’s skin were all painted as follows: basecoated caledor skin, washed drakenhof nightshade, then highlighted teclis blue followed by lothern blue. 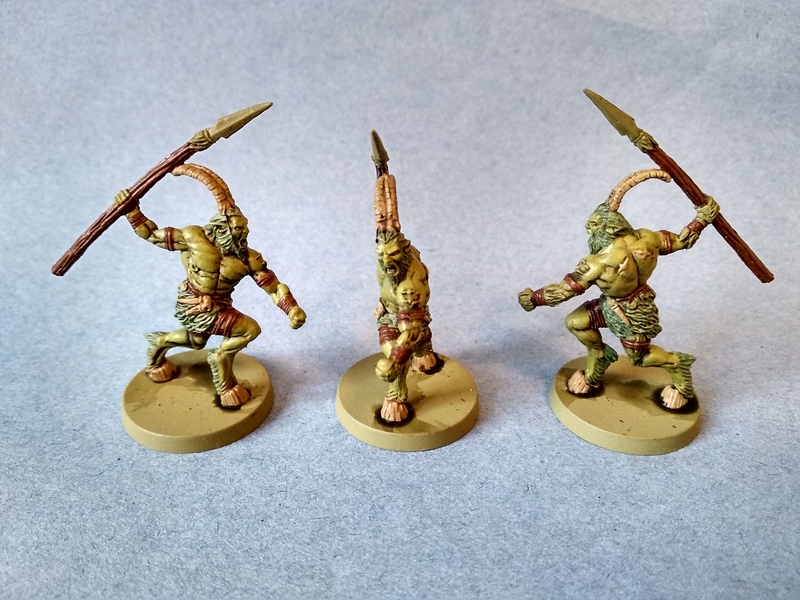 The exposed flesh of the toxotoi and Campe were basecoated bugman’s glow, washed reikland fleshshade, then highlighted cadian fleshtone followed by kislev flesh. 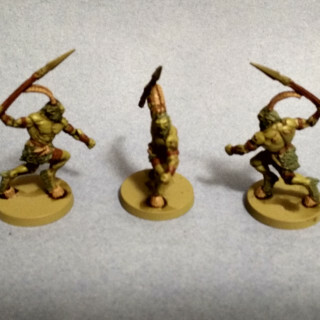 The gold areas on the toxotoi and Campe were basecoated retributor armour, washed reikland fleshshade and then highlighted auric armour gold. 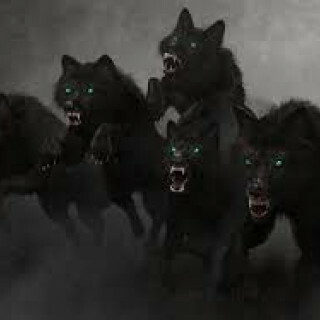 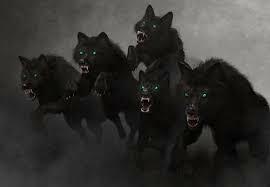 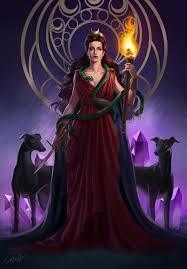 Python and Circe’s wolves had their eyes painted moot green. 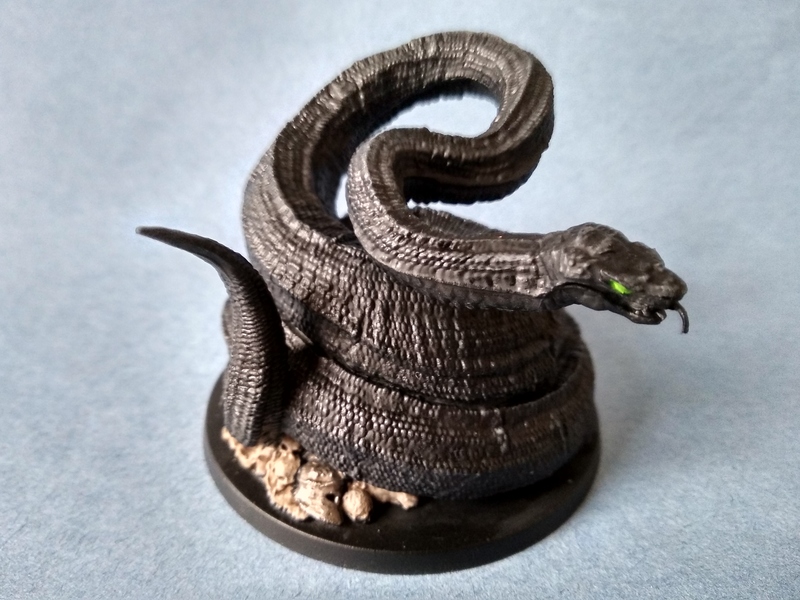 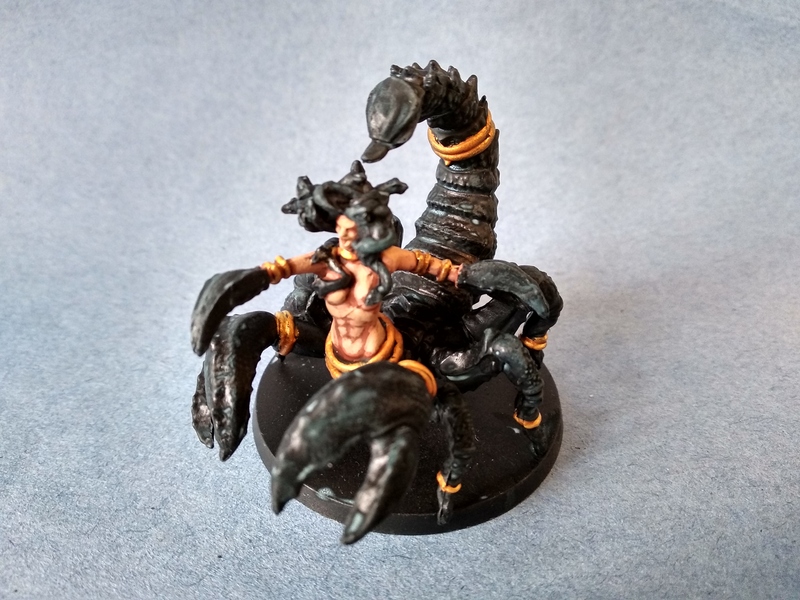 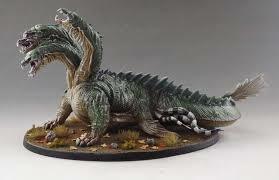 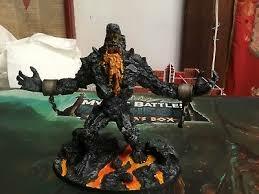 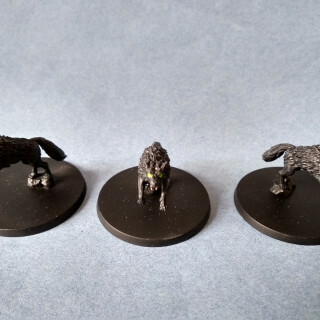 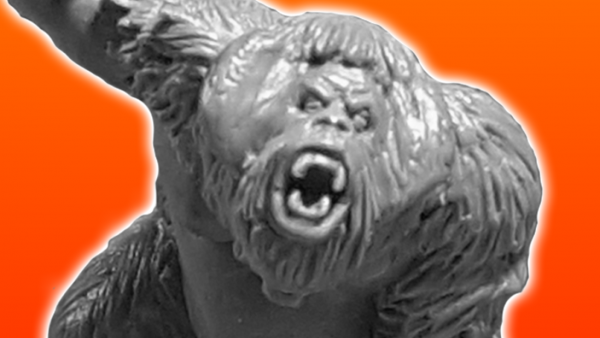 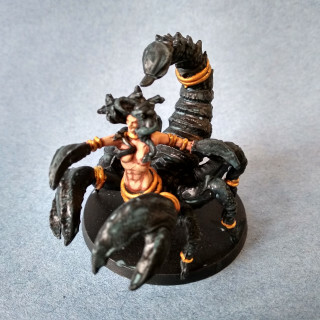 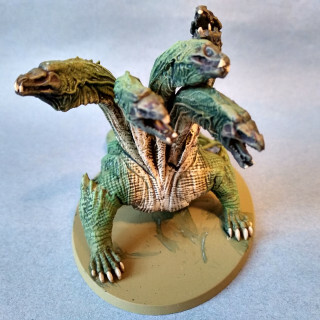 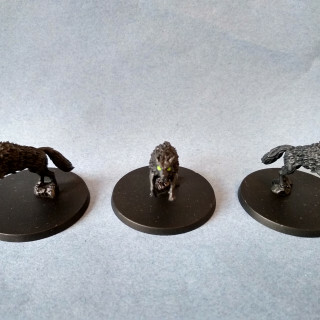 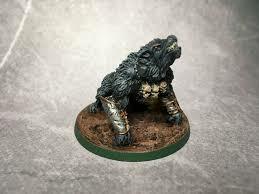 For the next batch of models I’m focusing on black monsters and models with similar colour schemes. 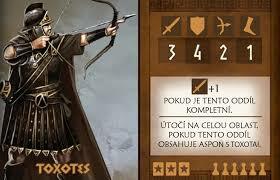 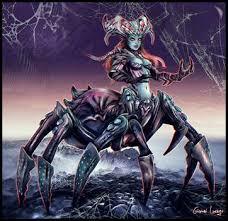 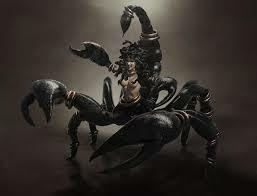 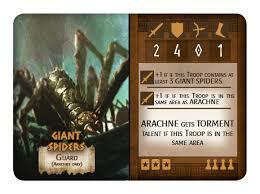 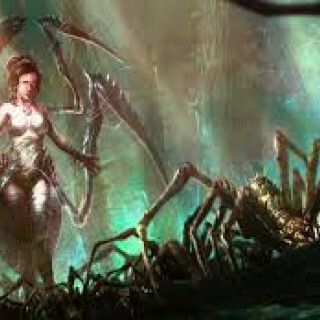 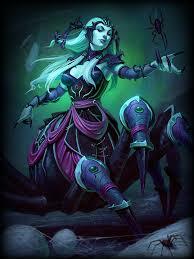 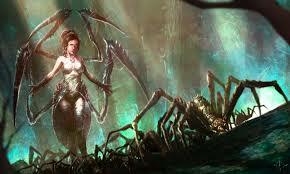 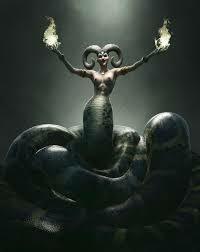 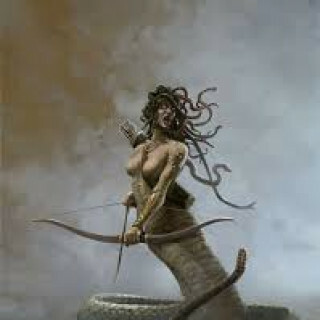 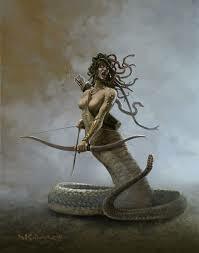 The full list is Cerebus, 6 toxotoi, 5 giant spiders, 3 Circe’s wolves, Arachne, Campe, and Python. 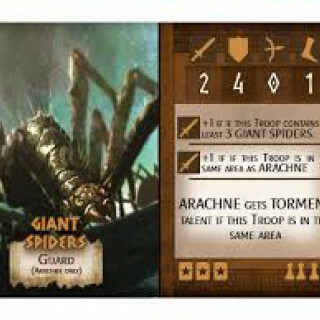 That’s 4 monsters and 14 troops. We’re already a quarter of the way through the year. 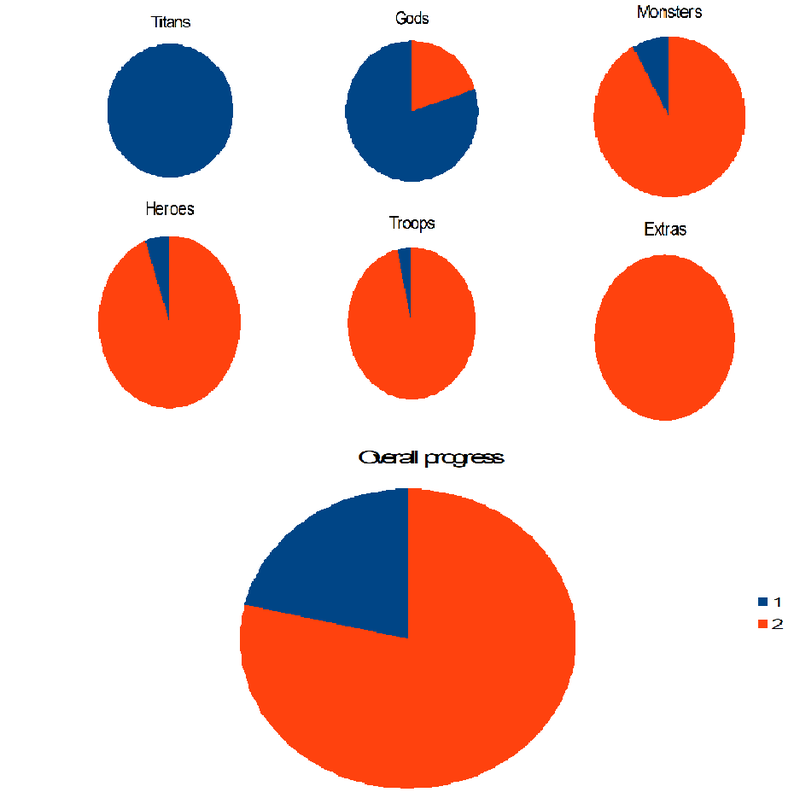 I’ve made up a series of pie charts to show how far I’ve managed to get. 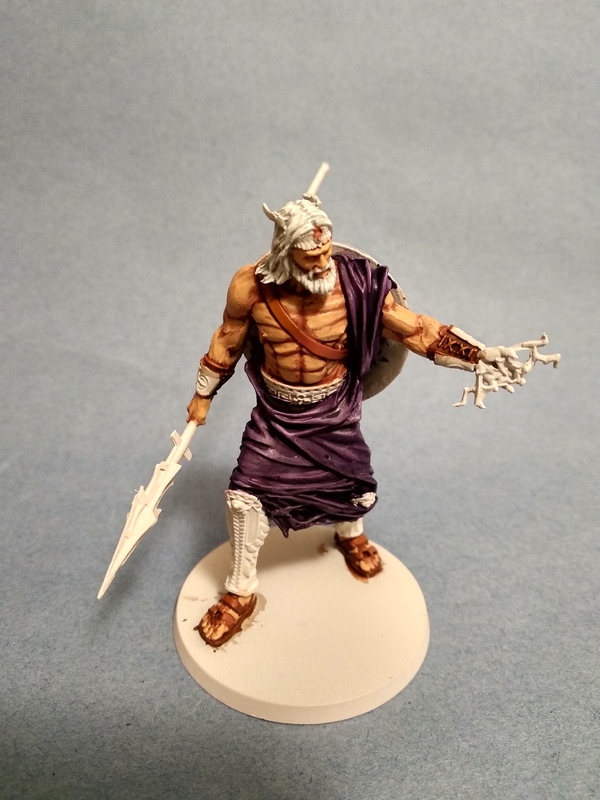 Given the Titans and Gods are a big models I’ve given them a greater weighting in the overall progress, but even so I’m a little behind. 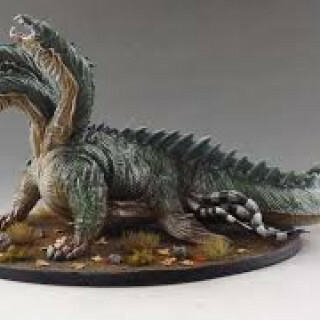 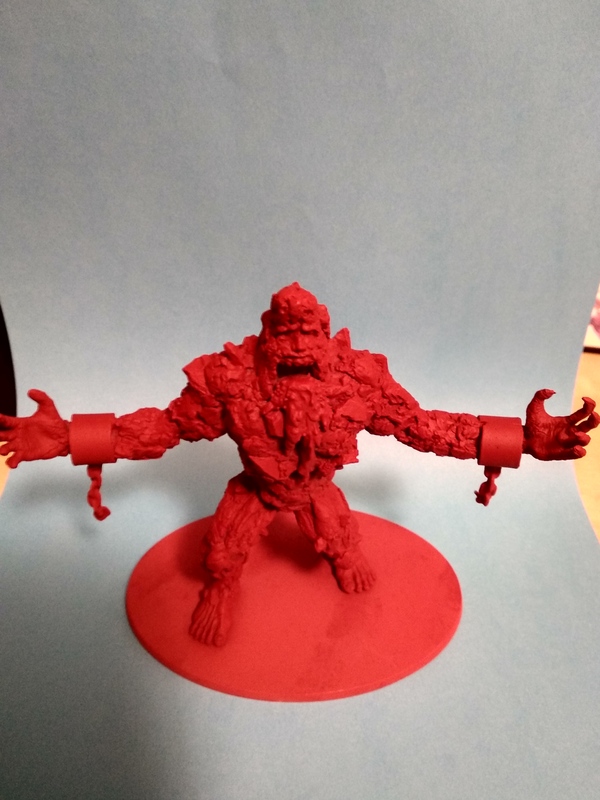 I’m not too worried though as I expect the monsters will generally be easy to paint and will help me make rapid progress. 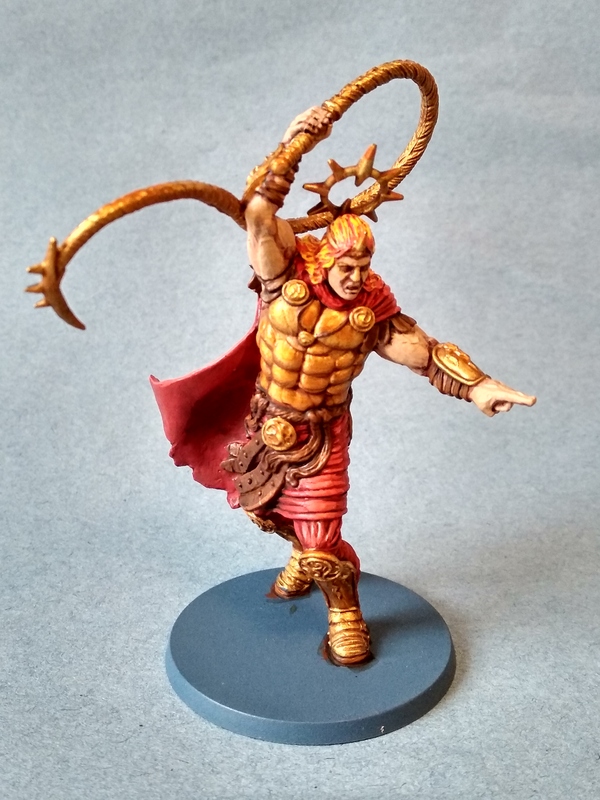 Echidna’s skin was basecoated Bugman’s glow, washed athonian camoshade and then highlighted cadian fleshtone followed by kislev flesh. 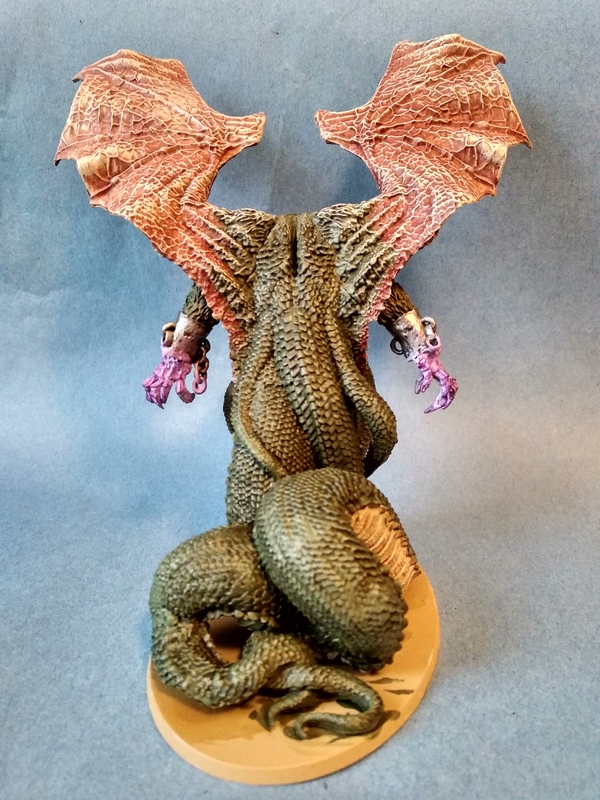 All other “normal” flesh areas were done the same way except with a reikland fleshshade wash rather than athonian camoshade. 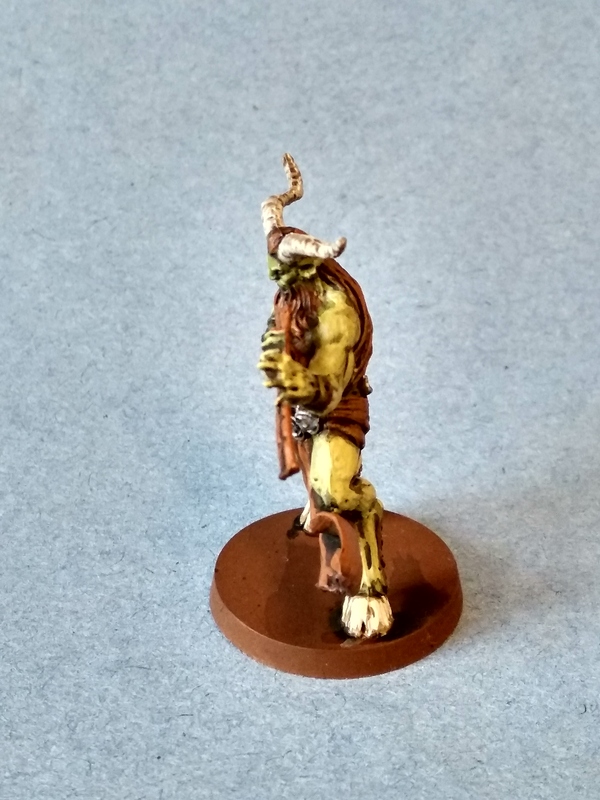 The stone was basecoated skavenblight dinge, washed athonian camoshade and then highlighted with dawnstone. 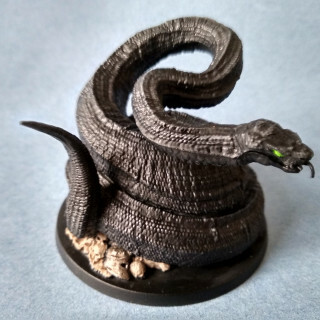 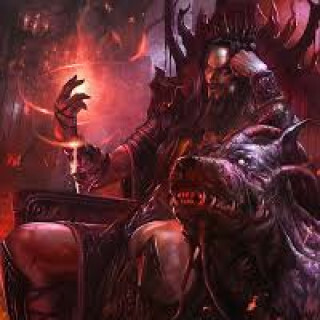 The Colchidian Dragon’s eyes were painted abaddon black. 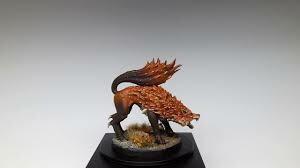 Echidna’s flames were given two basecoats of flash gitz yellow and then successive highlights of fiery orange and wild rider red. 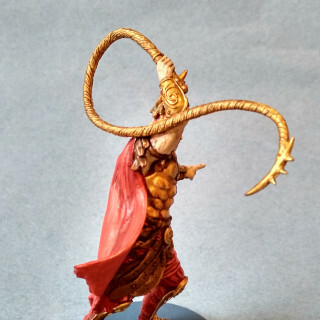 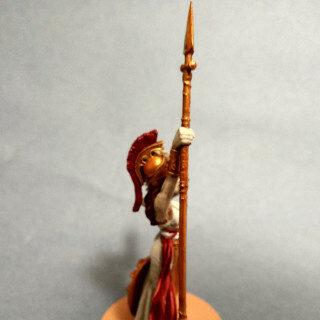 The red on Cecrops was basecoated mephiston red, washed carroburg crimson and then highlighted evil sunz scarlet. 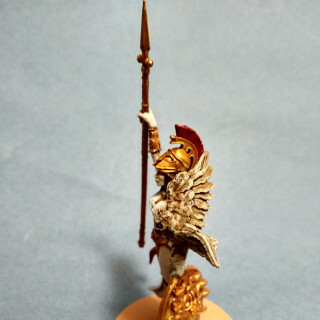 The gold areas were basecoated retributor armour, washed seraphim sepia and then highlighted auric armour gold. 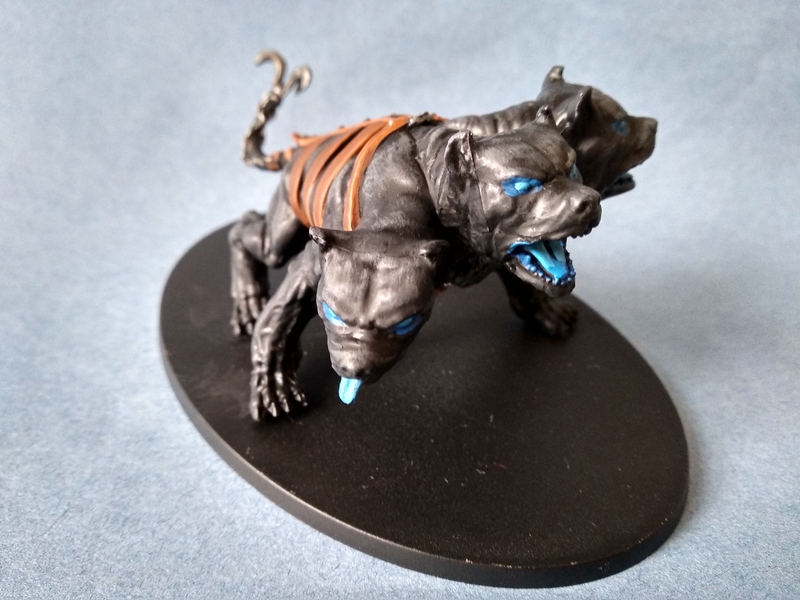 The metallic areas were basecoated Leadbelcher, washed nuln oil and then highlighted with ironbreaker followed by runefang steel. 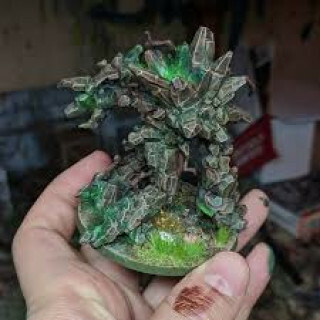 Most of these models began with a Death Guard Green spray basecoat. 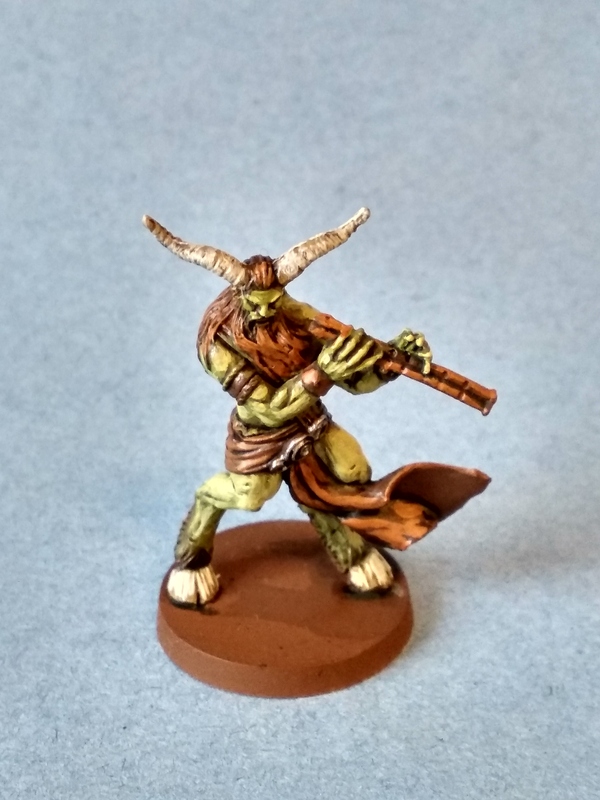 All the green areas were washed with athonian cammoshade. 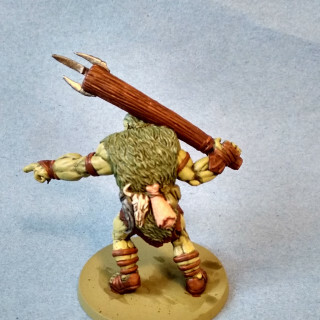 The skin was then then highlighted with elysian green followed by ogryn camo. 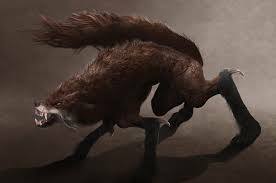 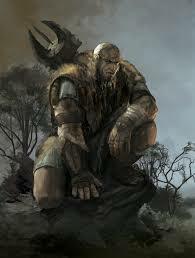 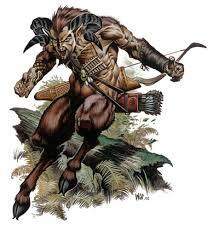 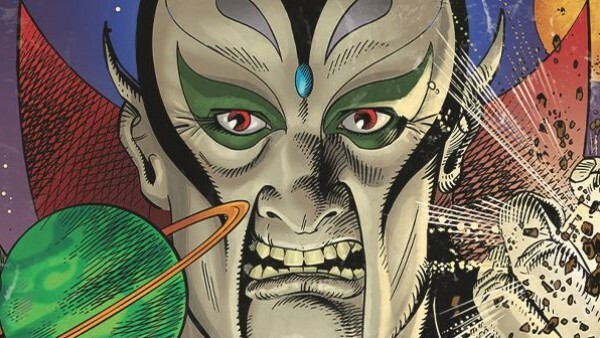 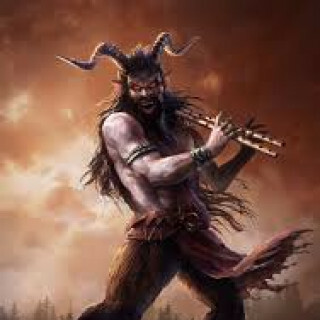 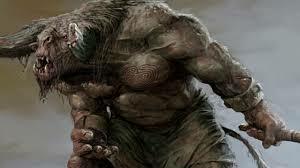 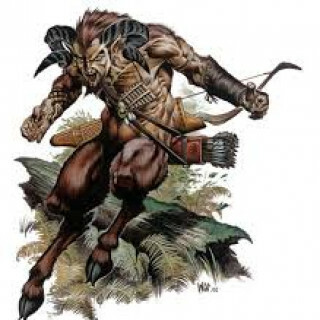 The fur on Pan, Orian and the Satyrs was highlighted loren forest followed by straken green. 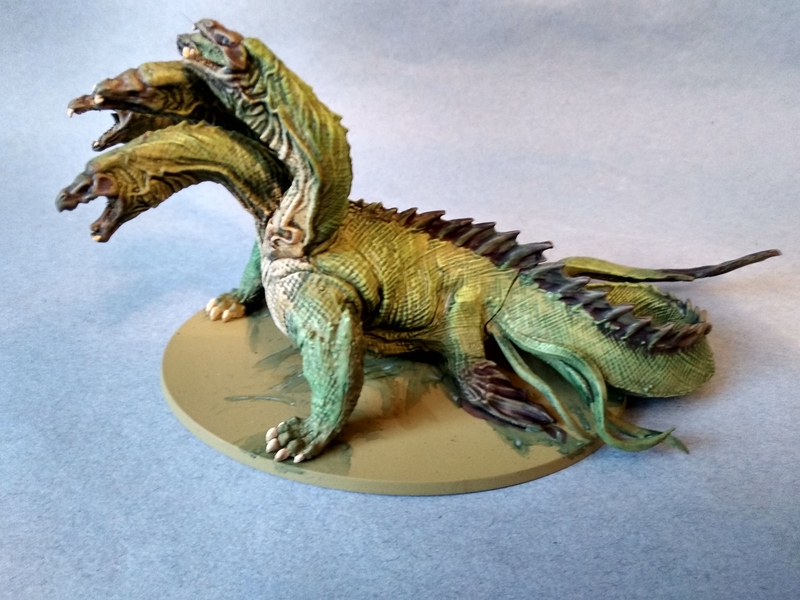 The scales were drybrushed skarsnik green followed by nurgling green. 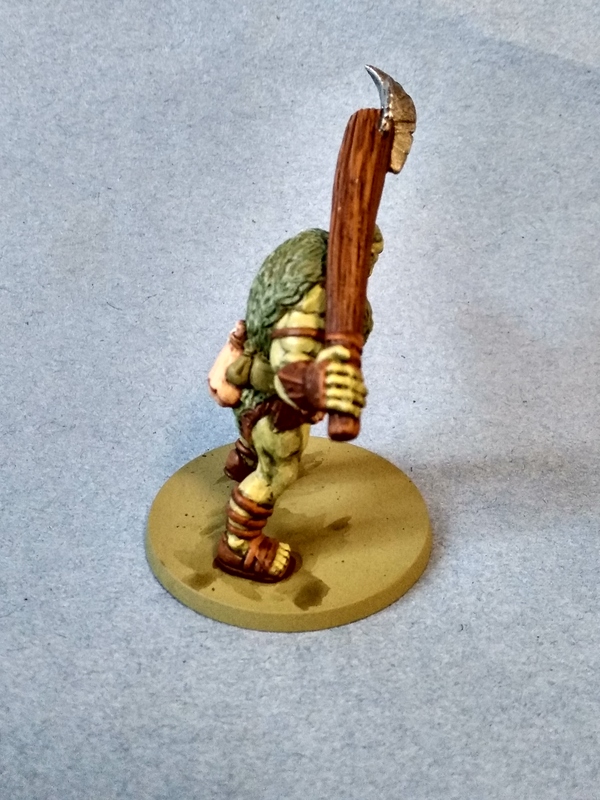 The leather and wood was basecoated mournefang brown, washed agrax earthshade and then highlighted skrag brown. 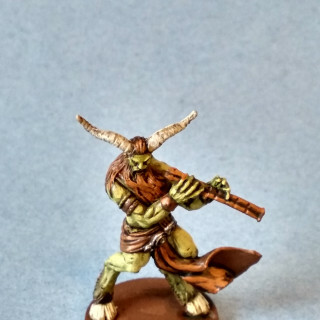 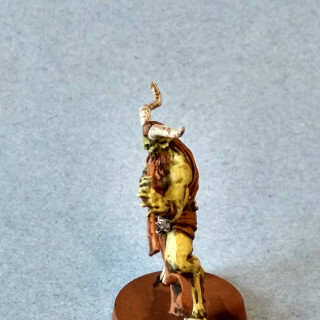 The bone and horns were basecoated zandri dust, washed agrax earthshade and highlighted screaming skull. 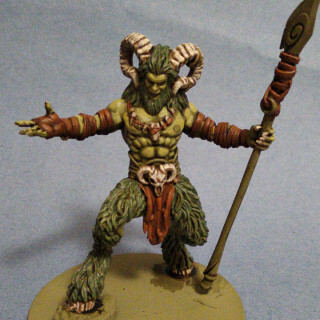 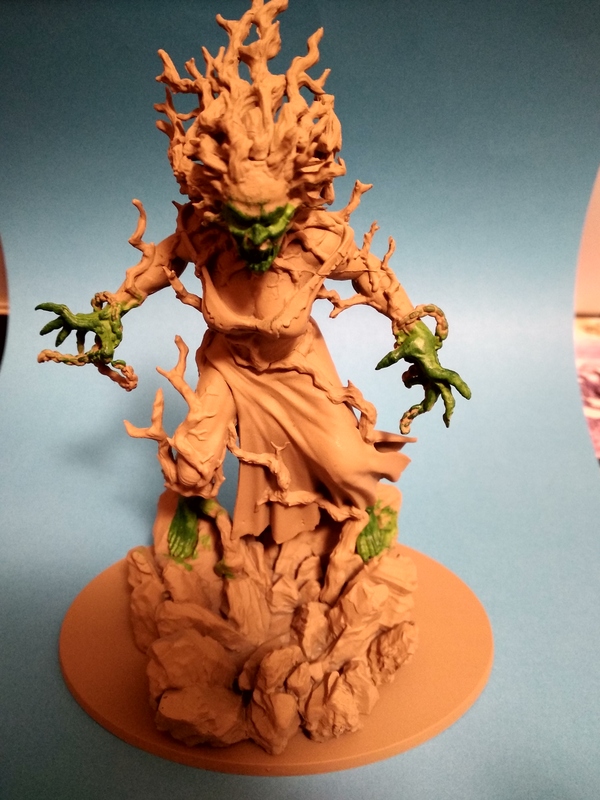 For my next batch of mini’s I’m going to do Pan and other similar nature themed models. 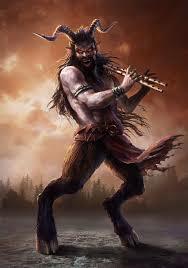 These are Pan, Orion, the Satyrs, Echidna, the Colchidian Dragon, Cecrops, and Marsyas. 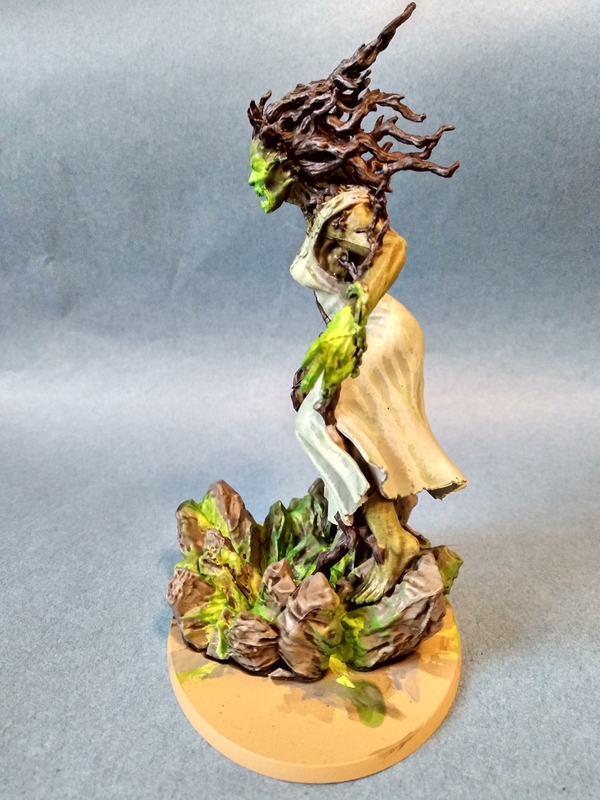 I struggled to find cool artwork to inspire these guys, but I plan to stick to natural looking greens and browns across the lot of them to tie them in to nature and to allow me to paint them all simultaneously. 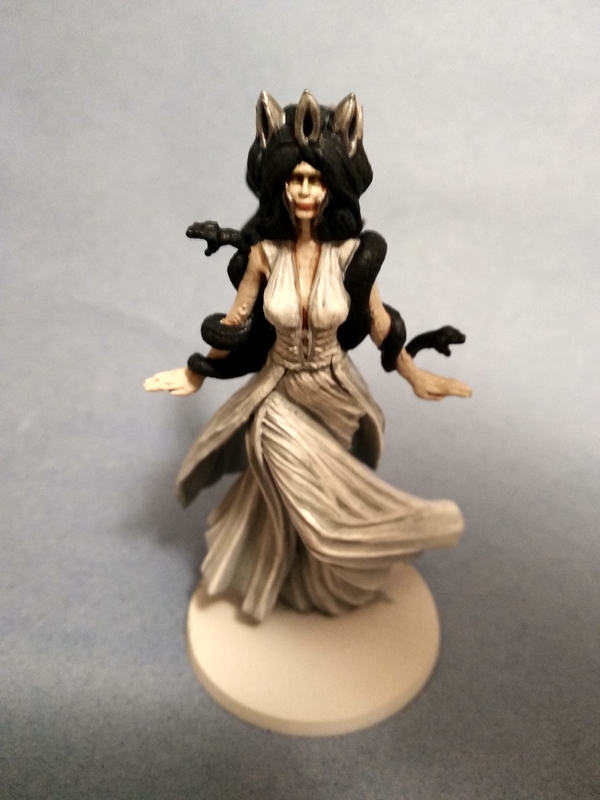 Persephone’s hair was basecoated abaddon black, highlighted with mechanicus standard grey and then washed with nuln oil. 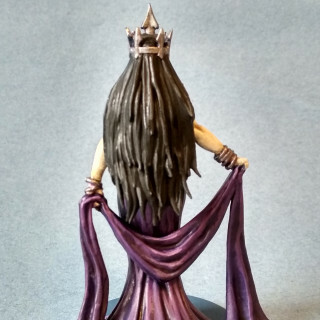 Hades’ hair and beard were basecoated mechanicus standard grey and then highlighted celestra grey. 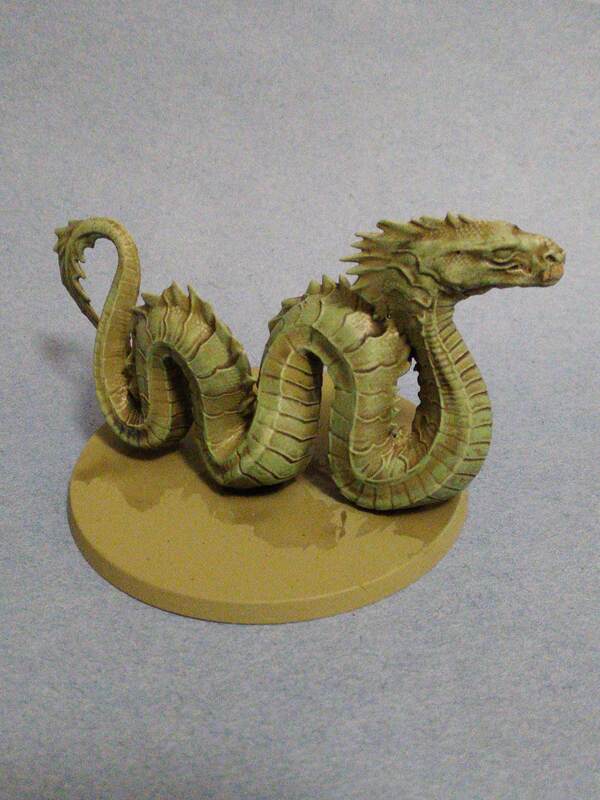 The leather areas were basecoated mournefang brown, washed agrax earthshade and then highlighted skrag brown. 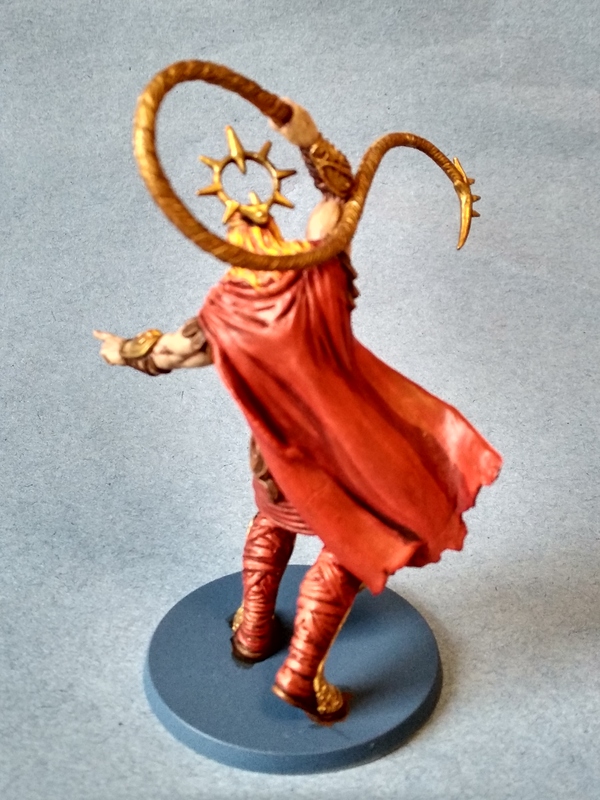 Helios’ hair was basecoated wild rider red and then highlighted fiery orange followed by flash gitz yellow. 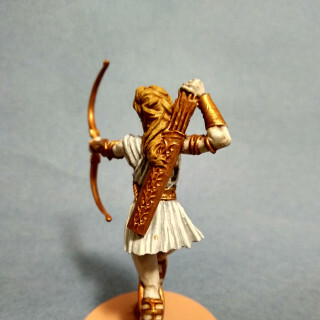 Apollo’s hair was basecoated xv-88 then highlighted with bubonic brown. 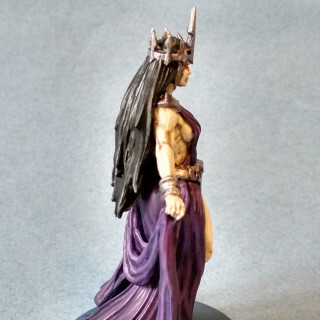 The metal areas on Hades and Persephone were basecoated leadbelcher, washed druchii violet, and then highlighted ironbreaker followed by runefang steel. 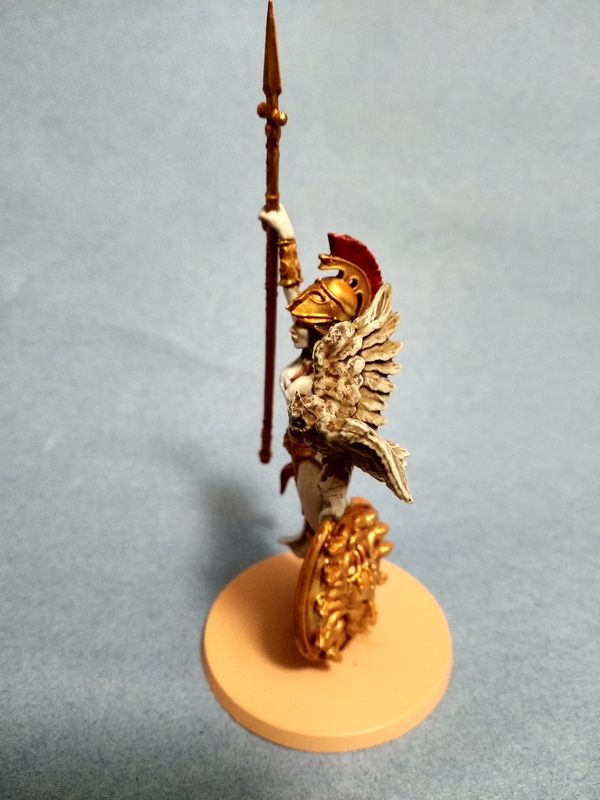 The gold areas were basecoated retributor armour, washed with seraphim sepia, then highlighted with auric armour gold followed by liberator gold. 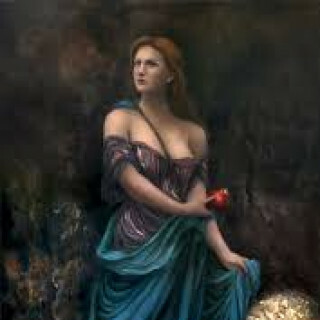 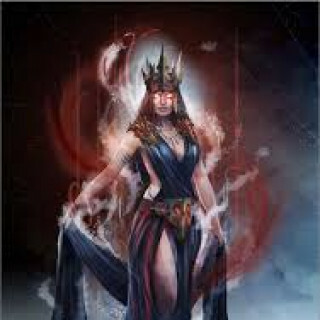 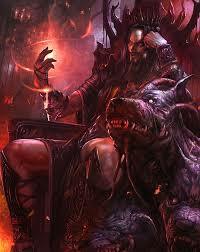 Hades’ and Persephone’s eyes were given a glaze of bloodletter. 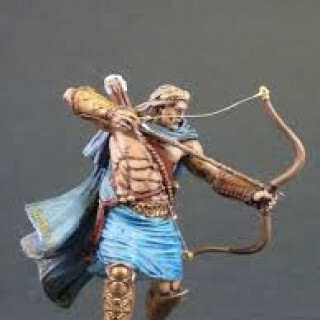 Apollo and Hermes’ eyes were given guilliman blue glazes. 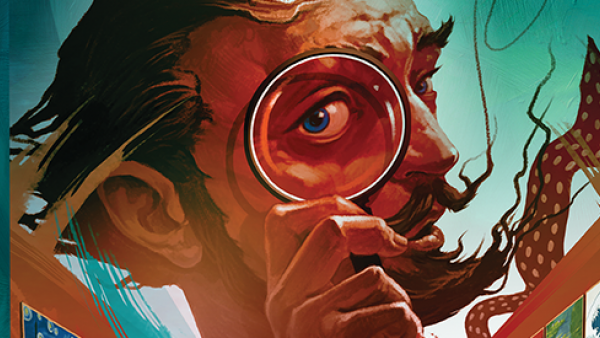 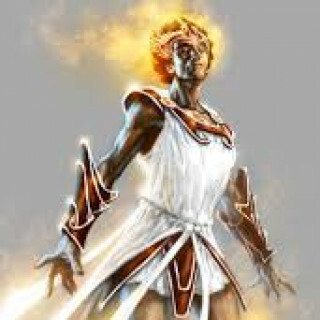 Helios’ eyes were glazed lamenters yellow mixed with bloodletter to give and orange glaze. 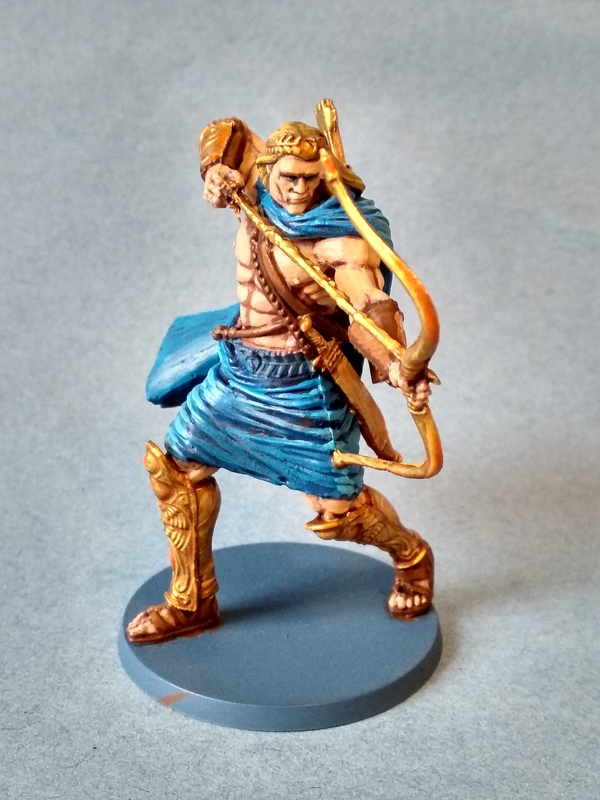 The plan of doing more models in a batch seems to have worked as I’ve managed to paint five gods this time and I still finished the batch in two weeks. 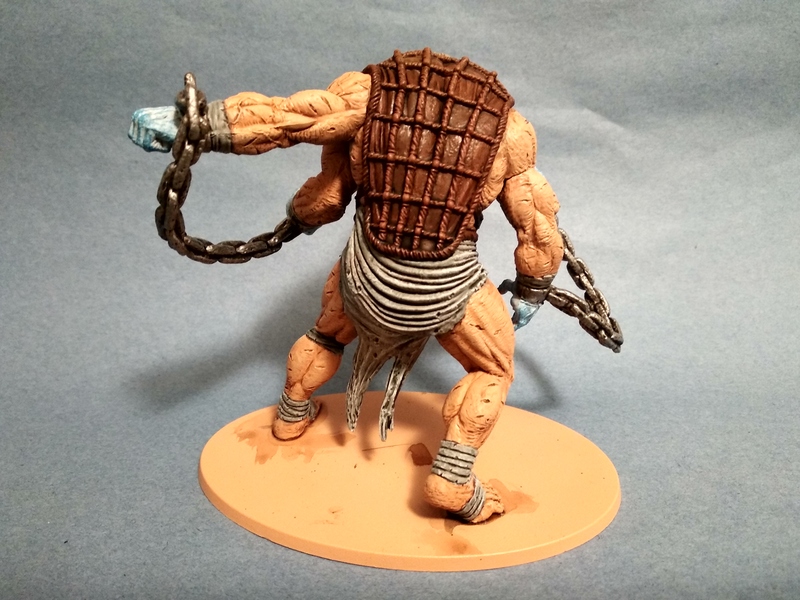 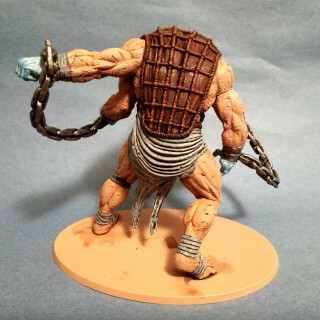 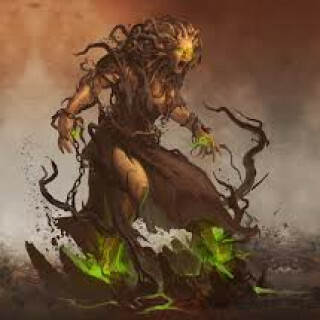 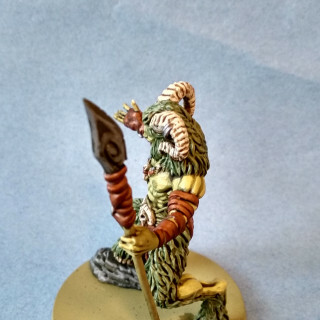 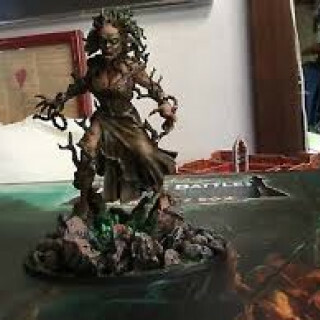 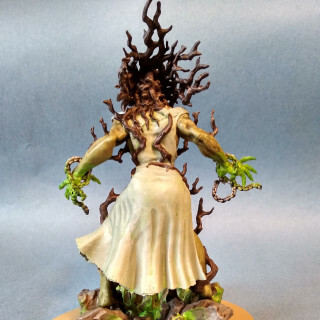 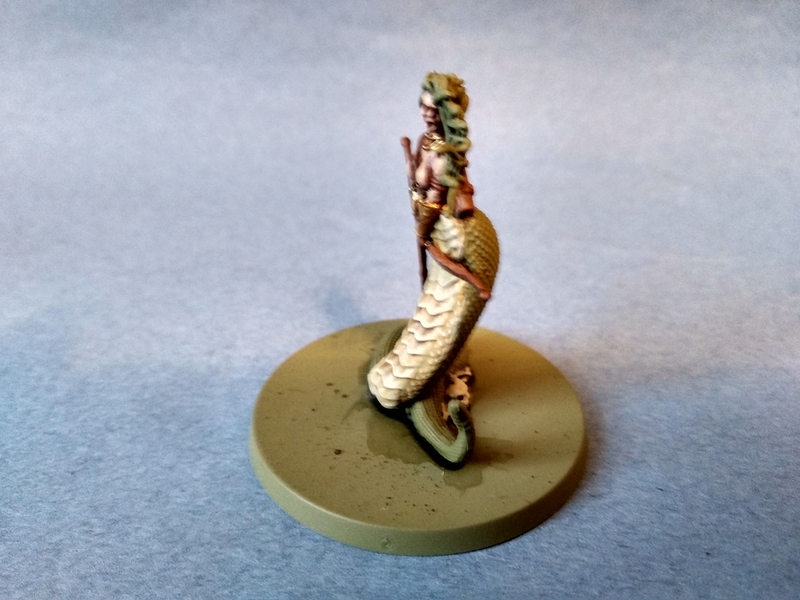 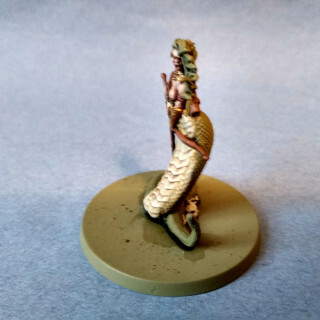 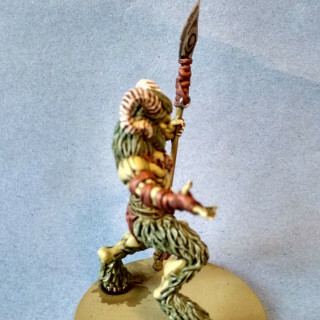 Hade’s and Persephone’s skin started with a rakarth flesh base, was then washed reikland fleshshade and then highlighted with flayed one flesh followed by pallid wych flesh. 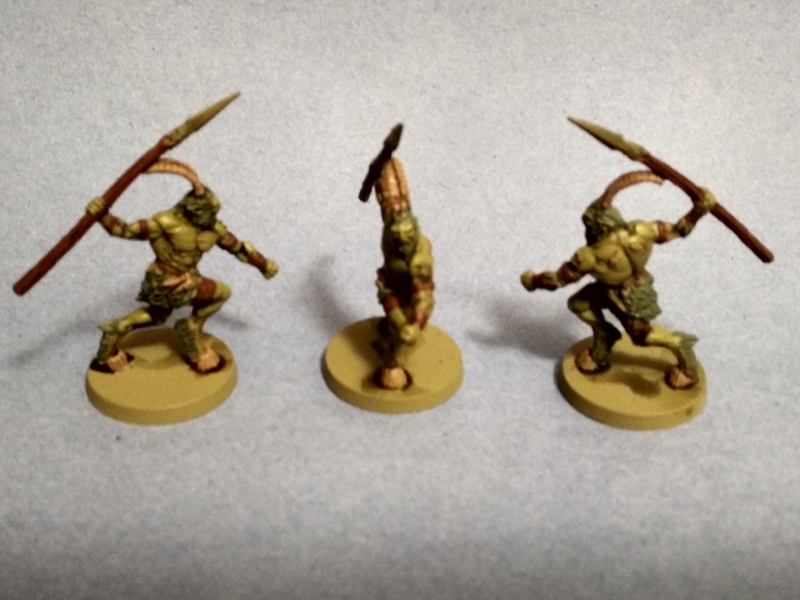 The skin of the other gods was basecoated bugman’s glow, washed reikland fleshshade and then highlighted cadian fleshtone followed by kislev flesh. 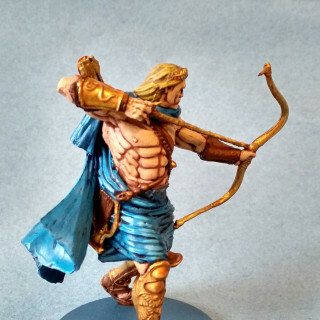 I did start to paint Helios’ chest this way but then I realised he’s actually wearing armour. 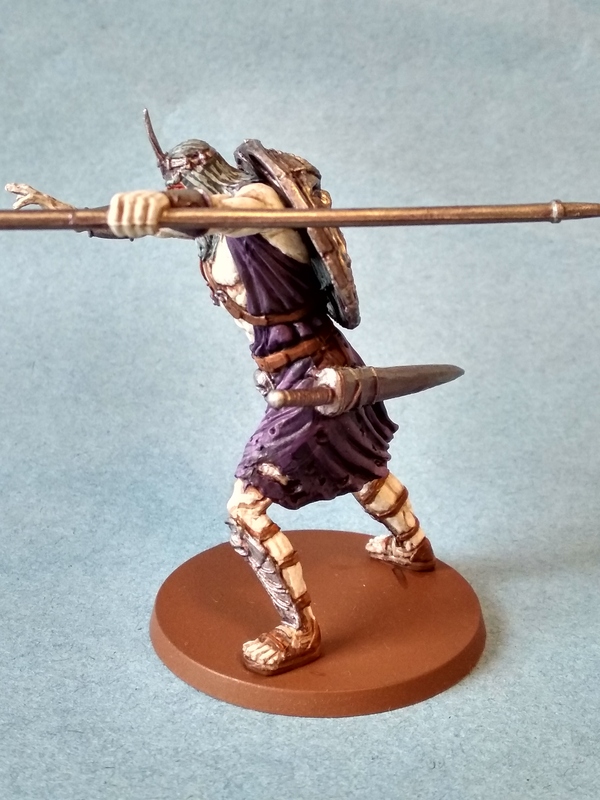 The purple clothes were painted naggaroth night, washed druchii violet and then highlighted with xereus purple followed by genestealer purple. 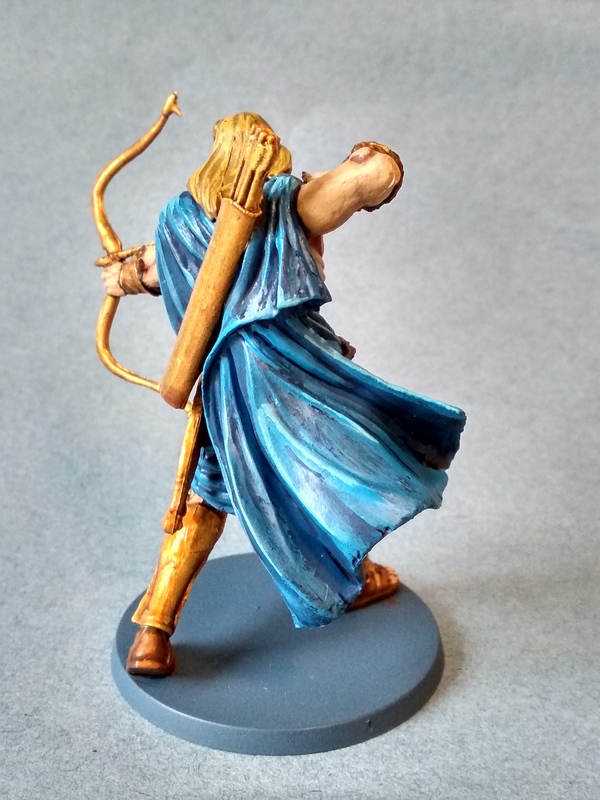 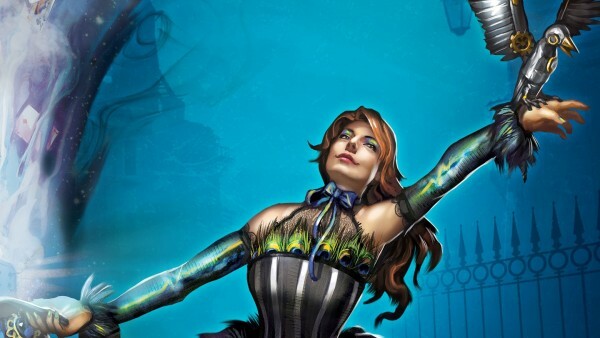 The blue clothes were painted caledor sky, washed drakenhof nightshade, and then highlighted teclis blue followed by lothern blue. 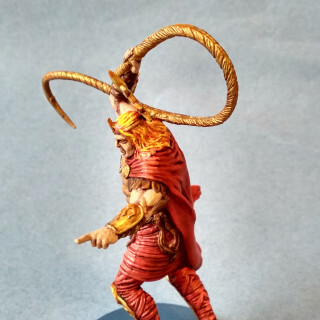 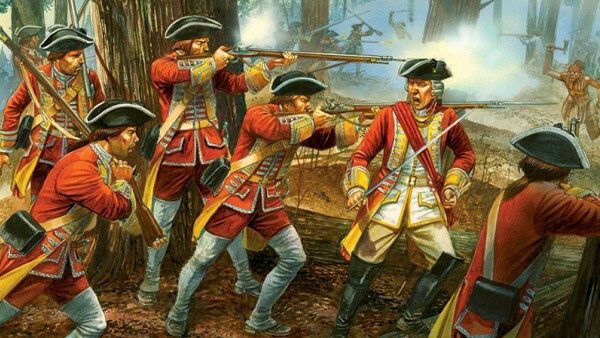 The red clothes were painted mephiston red, washed carroburg crimson, then highlighted evil sunz scarlet followed by wild rider red. 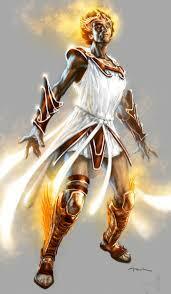 The only exception was Helios’ skirt (?) 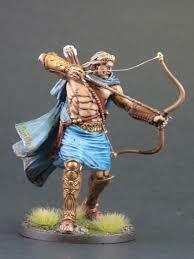 which was washed druchii violet to make it look slightly different from his leggings and cape. 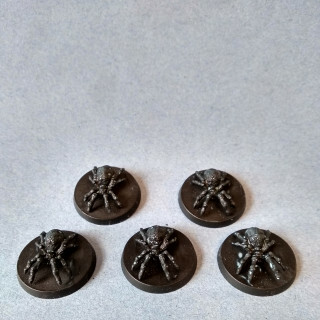 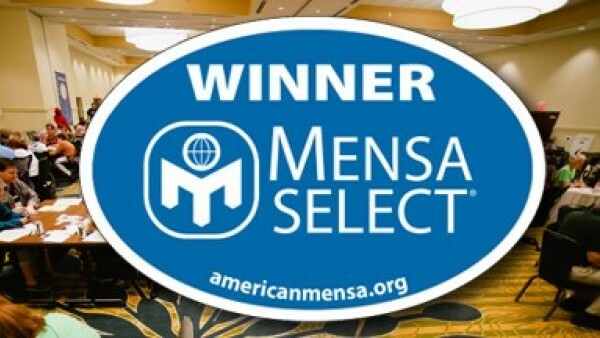 It seems each batch of mini’s takes me two weeks. 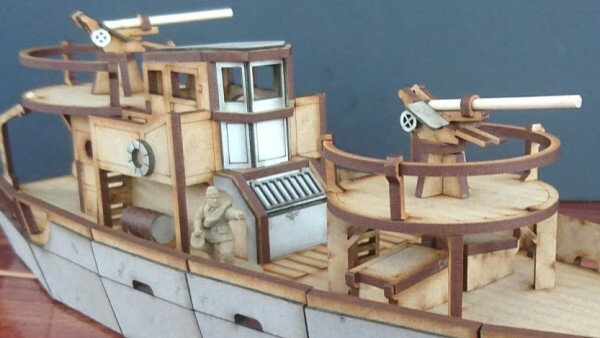 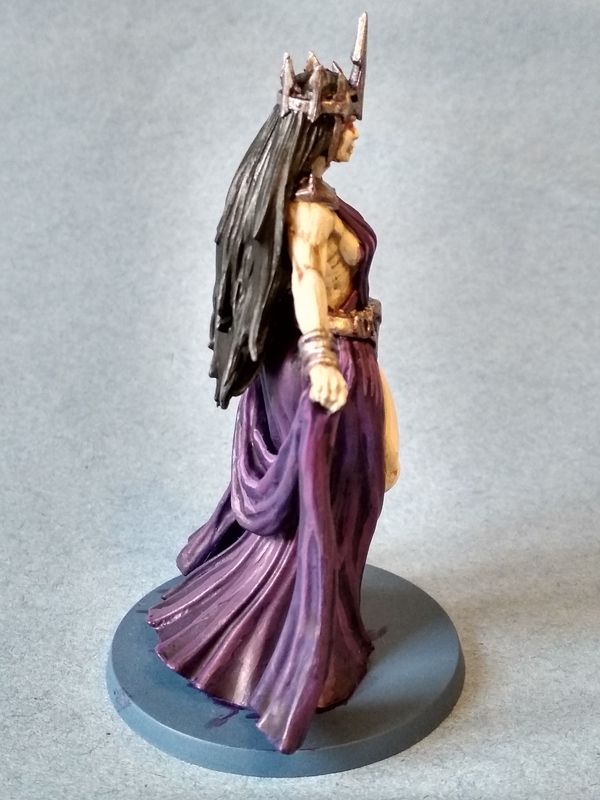 I think this is because I tend to paint a certain number of colours per session, rather than a certain number of models. 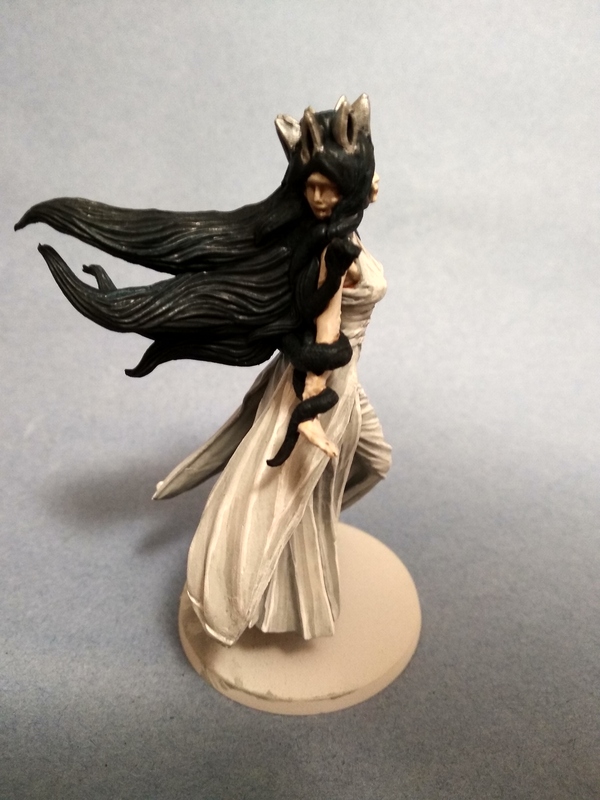 So this time I’ll tackle five models at once to see if I can speed up my progress a bit. 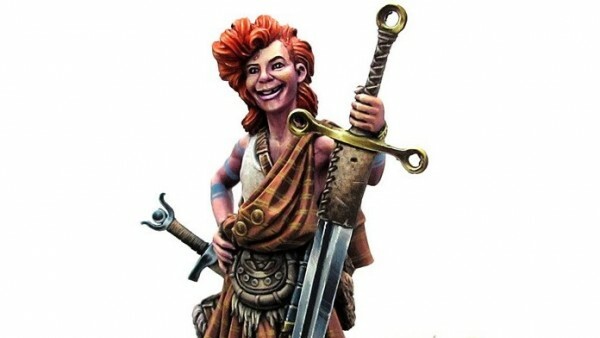 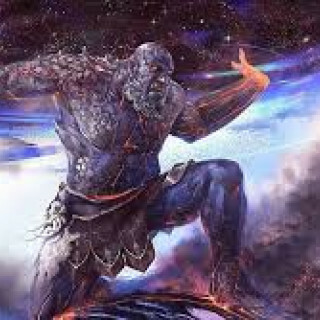 It was a lot harder to find cool reference images for some of these gods. 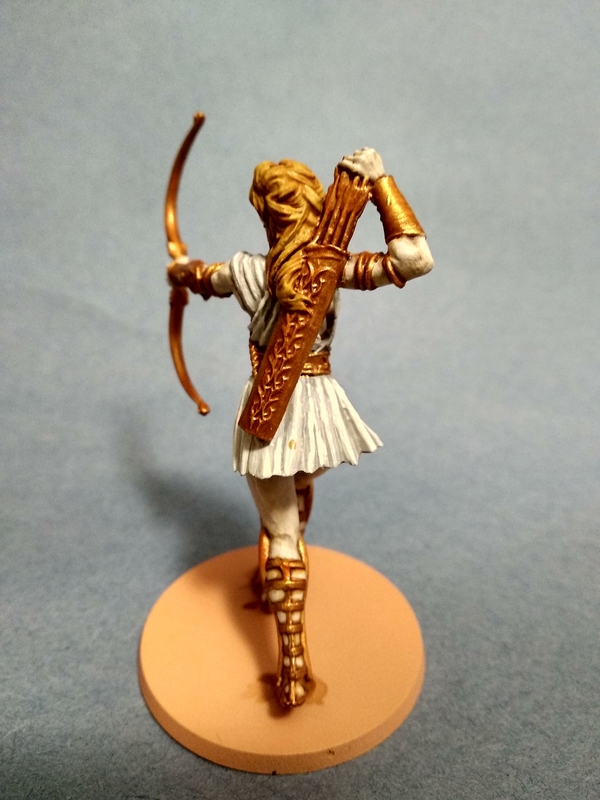 Nothing really inspires me about Hermes or Apollo so I guess they will end up much like the “standard” colour schemes. 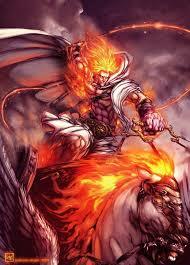 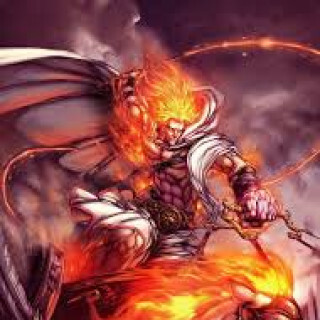 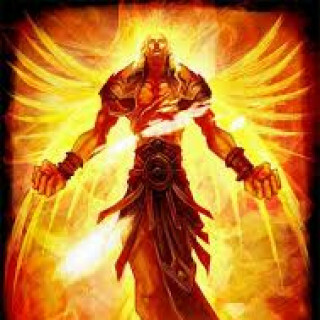 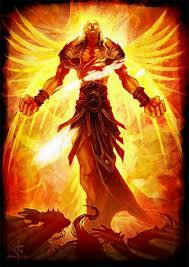 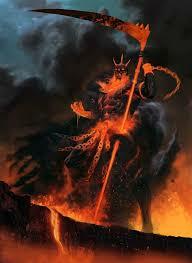 As god of the sun, Helios needs to come across as blazing hot. 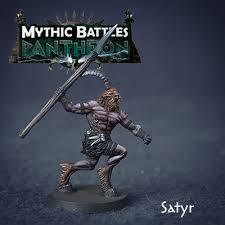 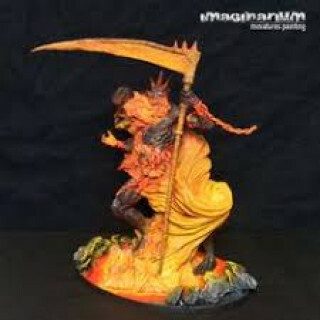 The “standard” mythic battles colour scheme doesn’t capture that at all. 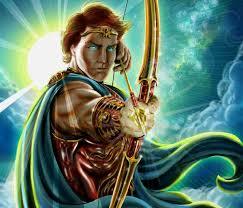 At the very least I will paint his hair and perhaps the halo as if they are red hot. 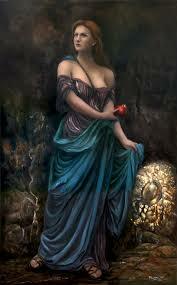 Both Persephone and Hades spend most of their time in the underworld so I’ll paint them with pale skin. 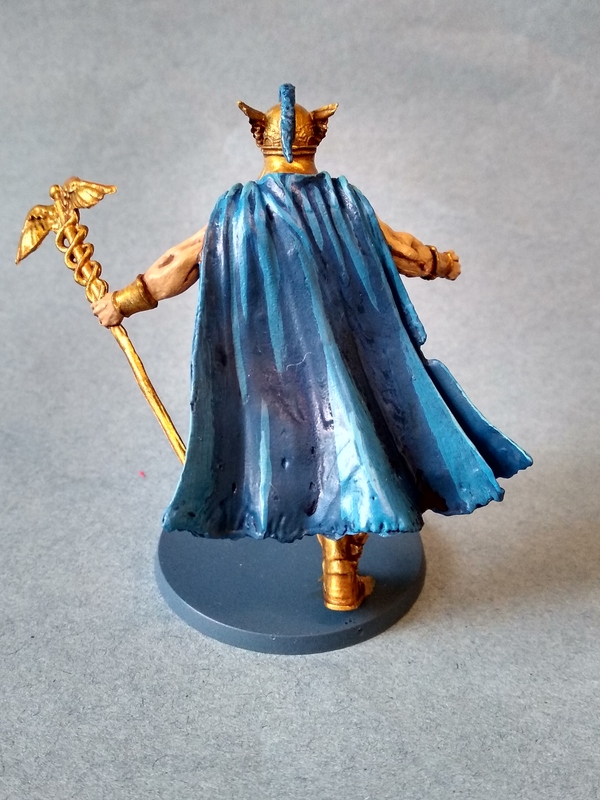 For these two gods I also think I’ll avoid gold and paint their metallic areas silver instead. 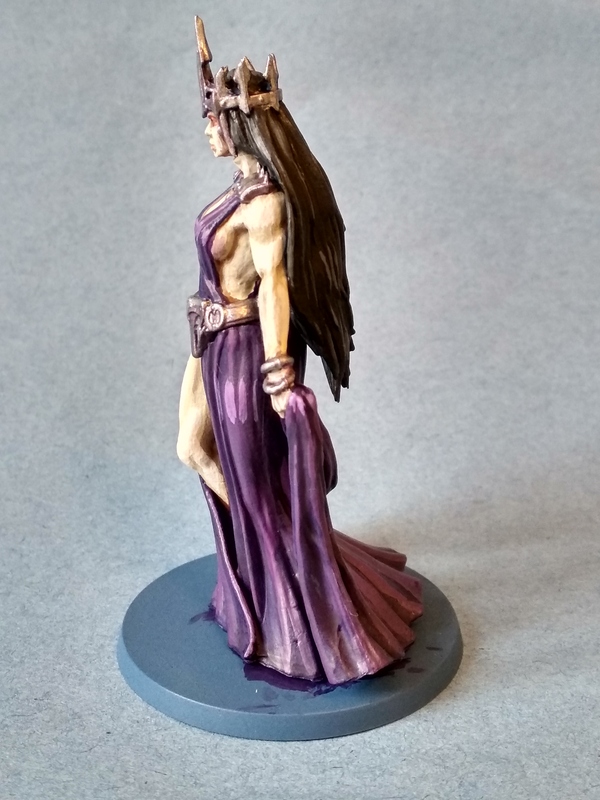 This will leave both models looking very pale so I’ll contrast that with black or dark purple clothing. 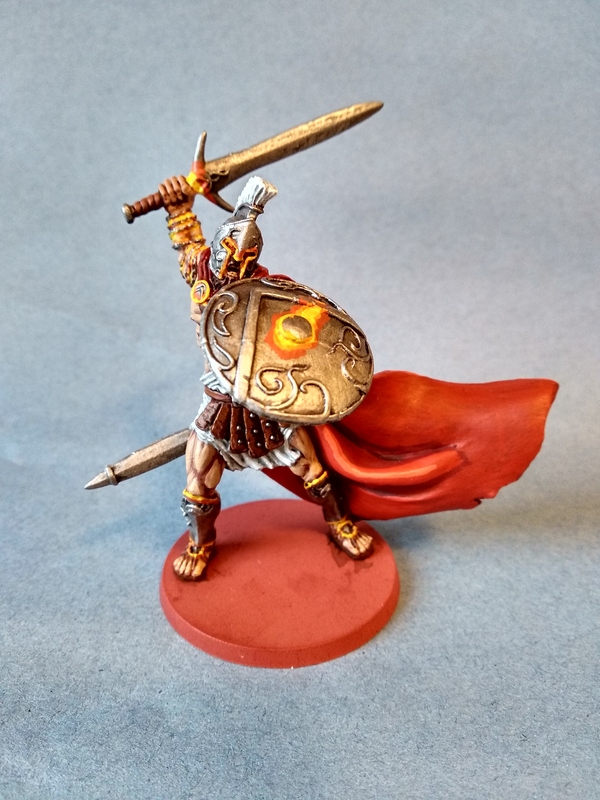 The red areas of Athena were basecoated mephiston red, washed carroburg crimson and then highlighted evil sunz scarlet followed by wild rider red. 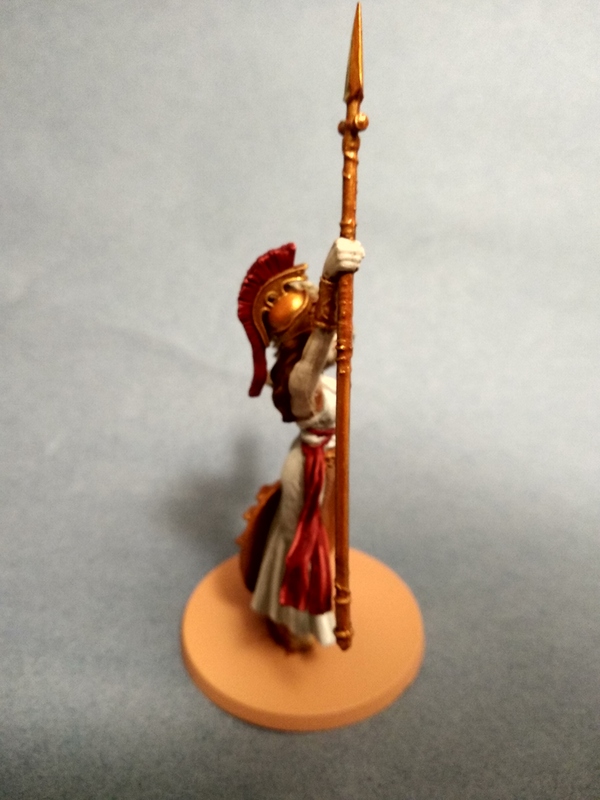 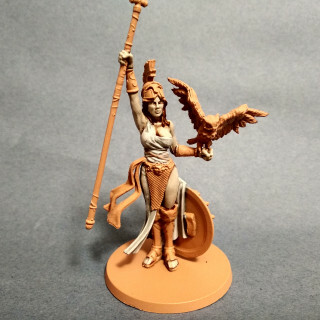 Athena’s owl was basecoated zandri dust. 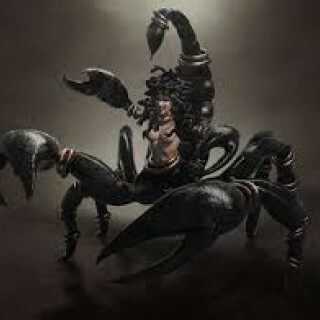 I then stipled it with mournefang brown. 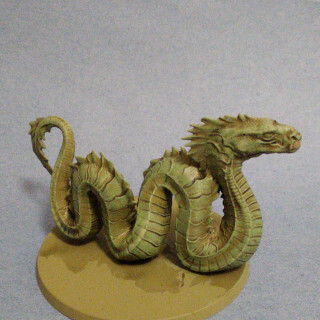 Then it was washed agrax earthshade and drybrushed ushabti brown followed by screaming skull. 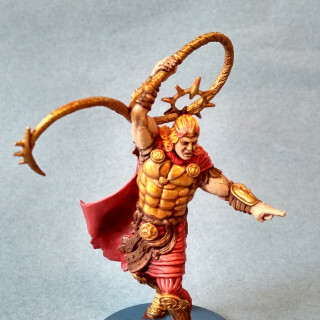 All the gold was basecoated retributor armour, washed with seraphim sepiaand then highlighted with auric armour gold followed by liberator gold. 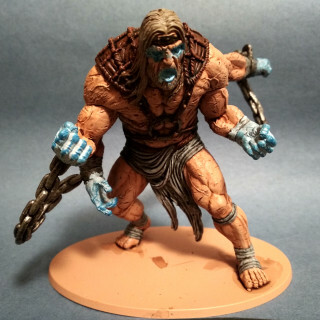 All the silver areas were basecoated ironbreaker. 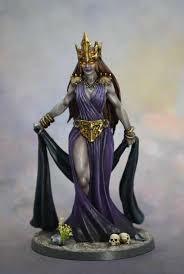 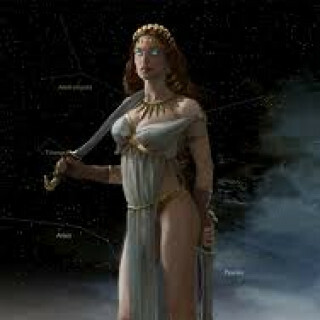 Aphrodite’s swords were given a light wash of drakenhof nightshade, while the silver on Hecate was washed with nuln oil. 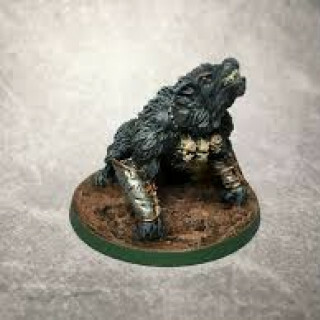 All silver areas were then highlighted with runefang steel. 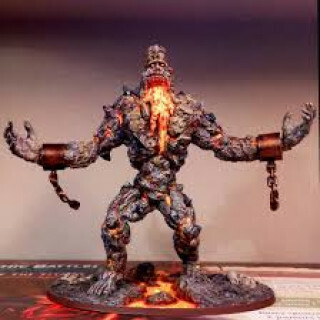 All their lips were given a bloodletter glaze. 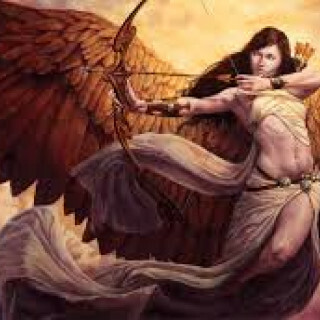 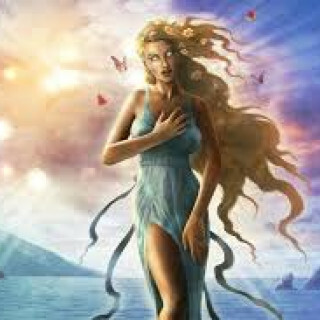 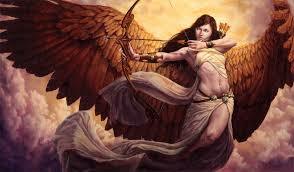 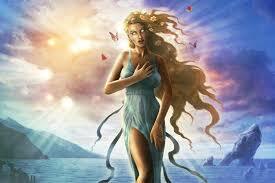 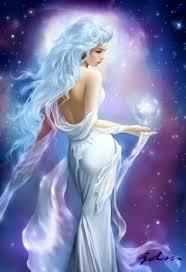 To give the impression of magical auras each goddess had their eyes glazed a different colour. 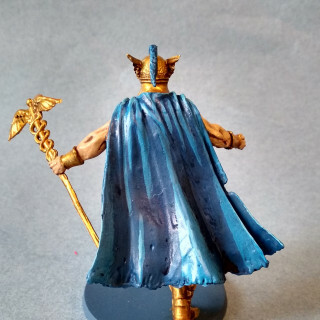 Guilliman blue for Artemis, lamenters yellow for Athena and Aphrodite, and waywatcher green for Hecate. 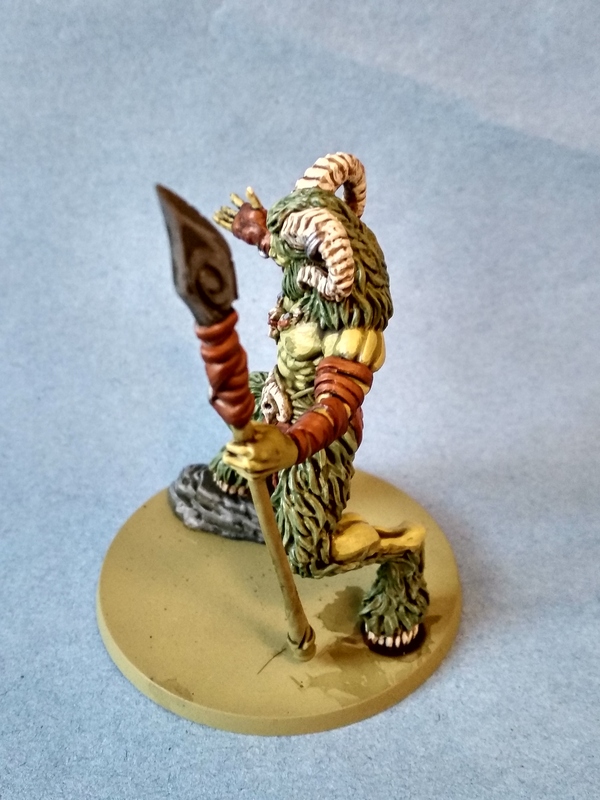 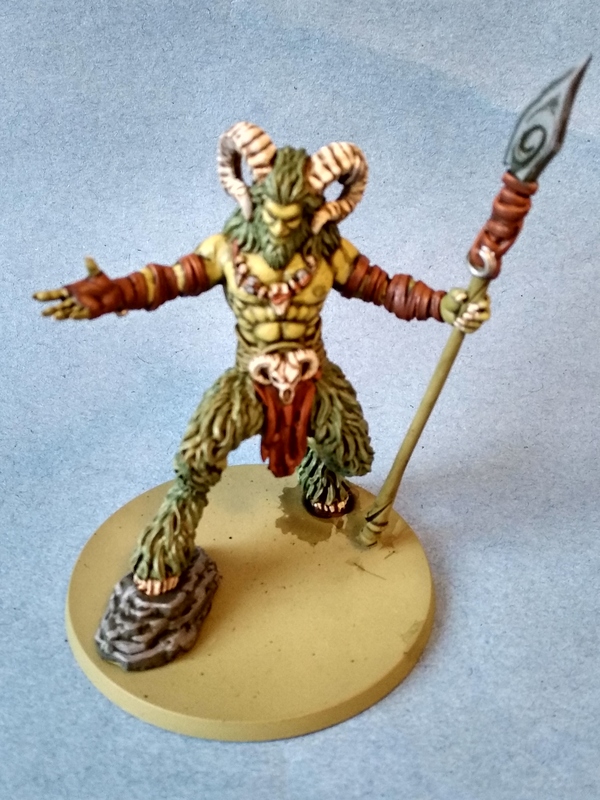 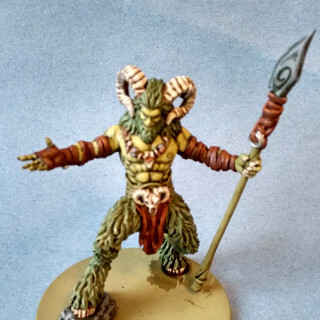 All the skin was basecoated in rakarth flesh, washed with reikland fleshshade, and then highlighted with flayed one flesh and then pallid wych flesh. 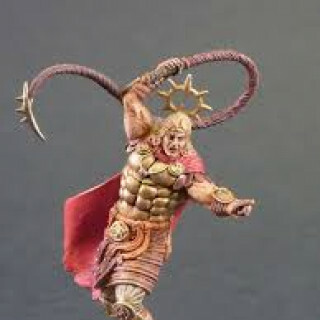 The white clothes were basecoated celestra grey and then highlighted ulthuan gey followed by white scar. 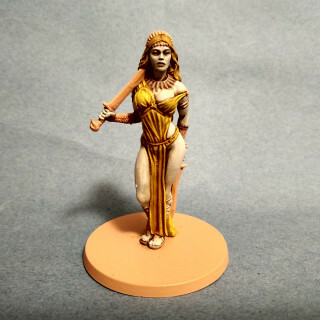 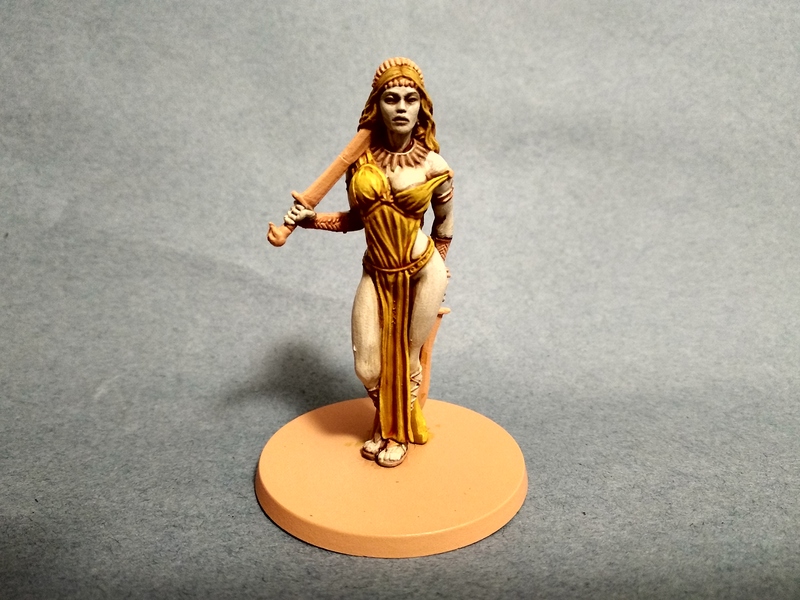 Aphrodite’s yellow dress was base coated iyanden darksun, washed casandora yellow and then highlighted flash gitz yellow. 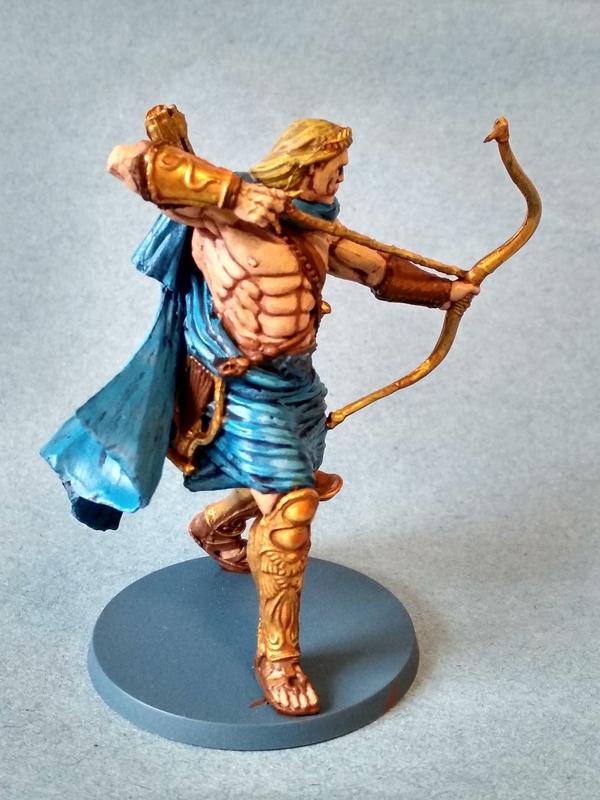 The blond hair was basecoated tausept ochre, washed seraphim sepia and then highlighted bubonic brown. 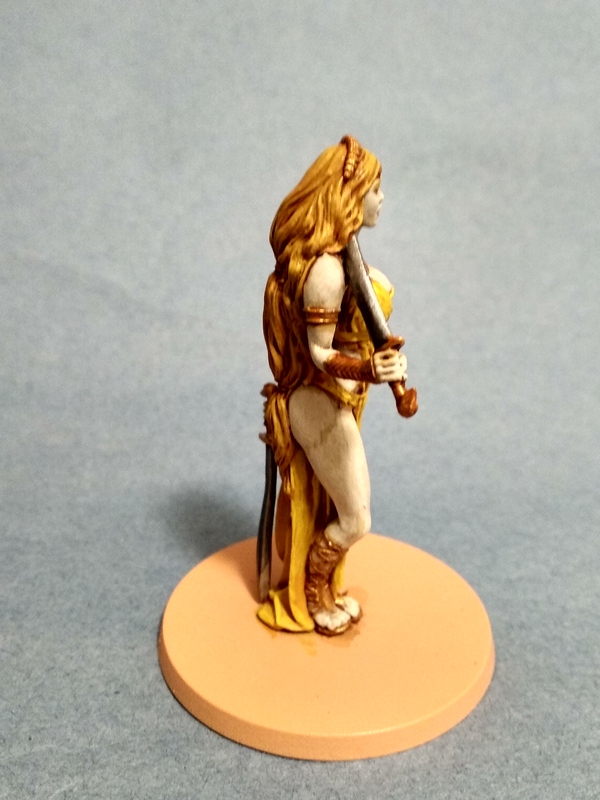 The brunette hair was basecoated mournefang brown, washed agrax earthshade and finished with a skrag brown highlight. 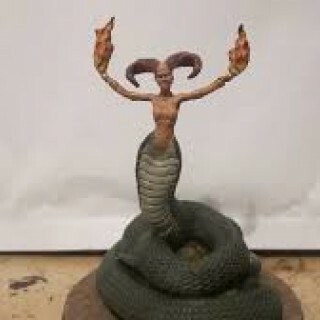 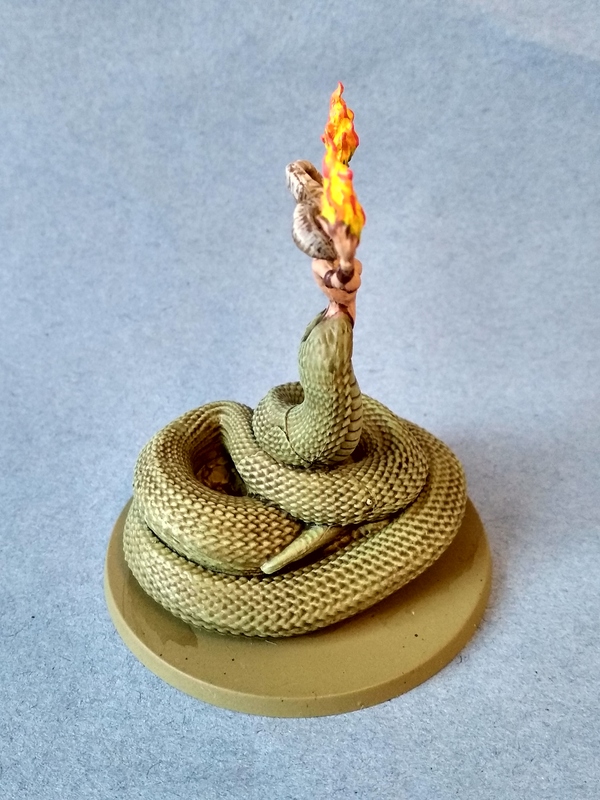 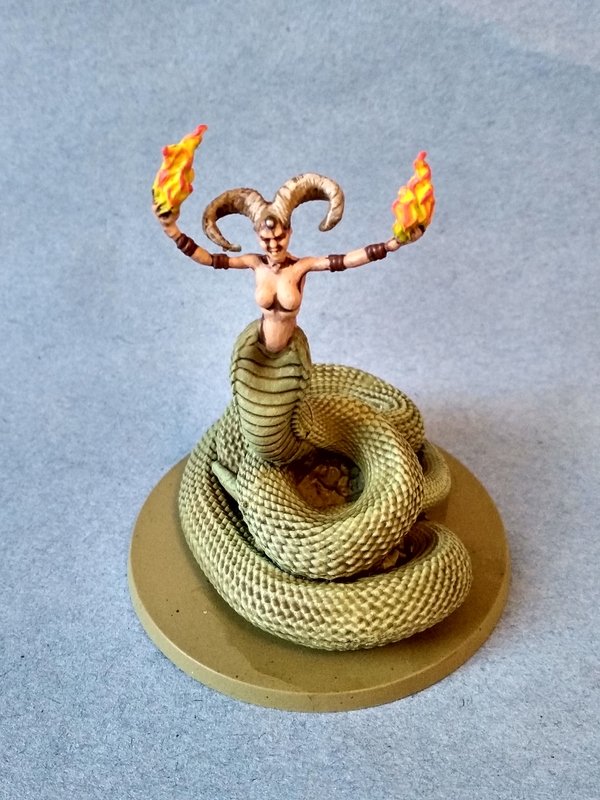 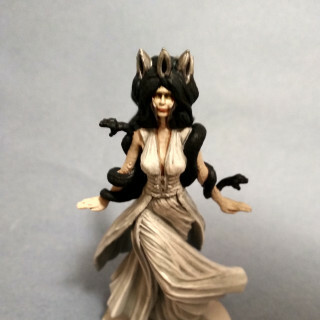 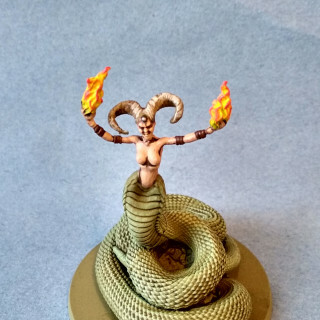 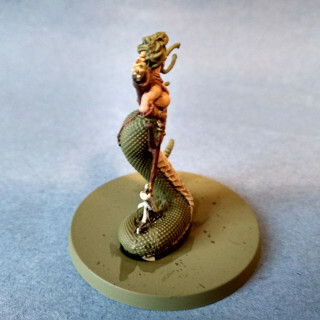 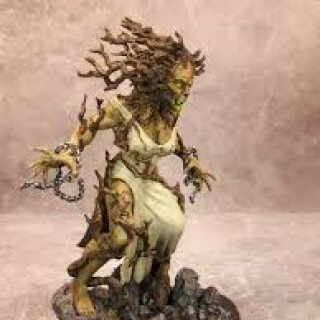 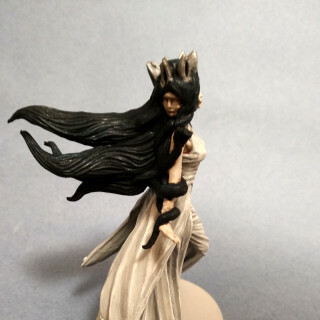 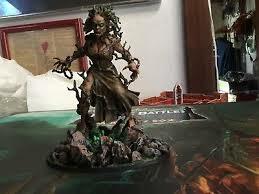 Hecate’s hair and snakes were painted incubi darkness and then washed nuln oil. 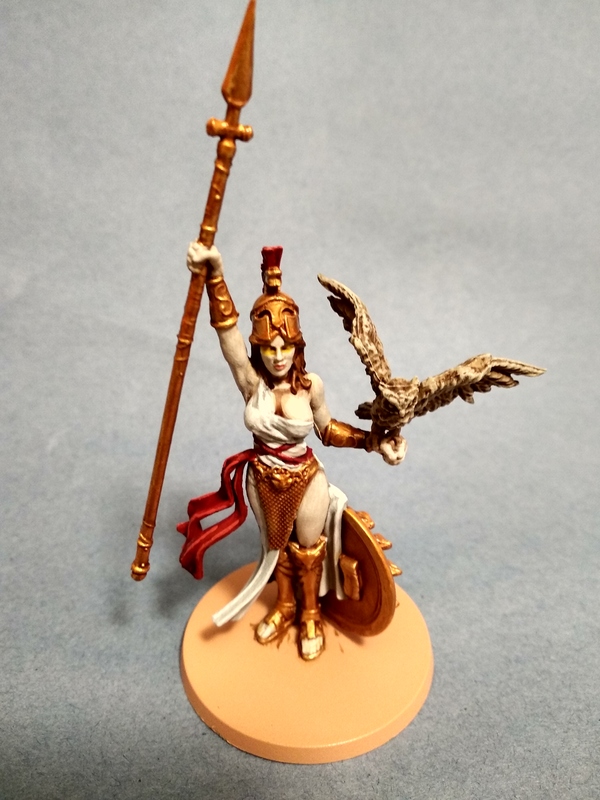 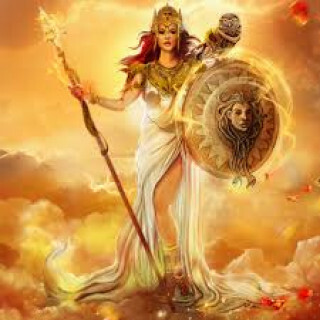 For Athena I quite like the image with all the gold – it makes her look divine and powerful. 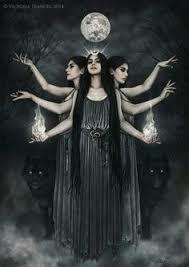 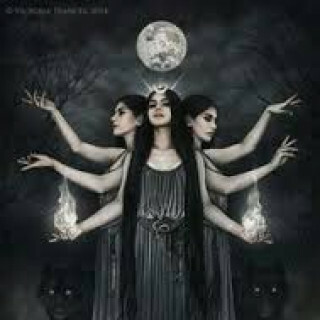 For Hecate I like the all black/dark grey colour scheme. 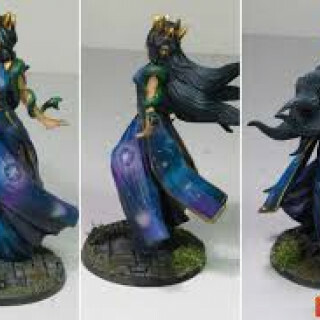 Although I also like the purple dress with the star patterns. 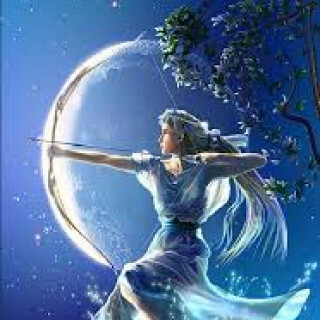 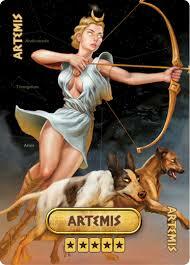 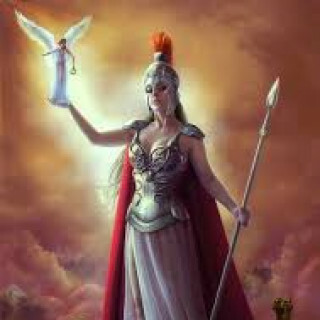 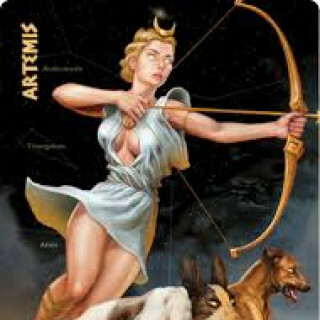 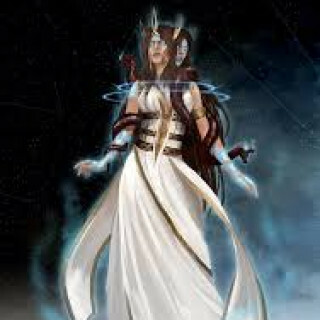 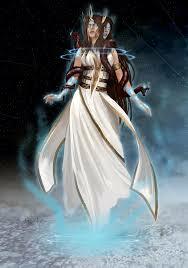 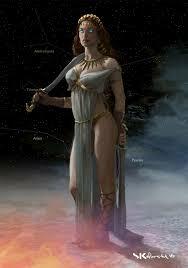 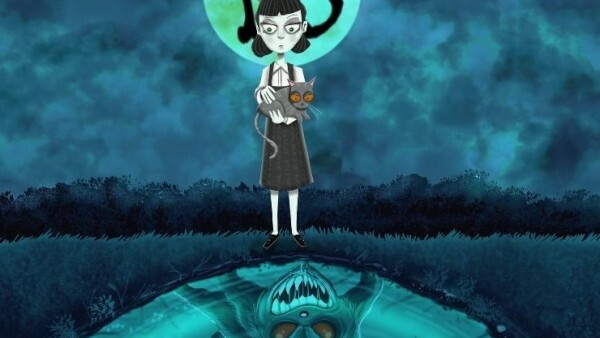 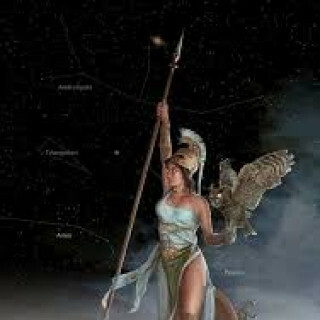 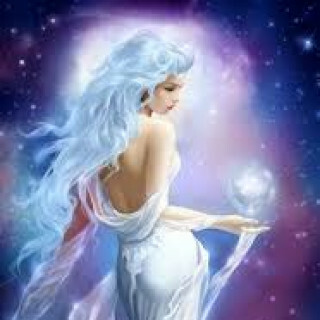 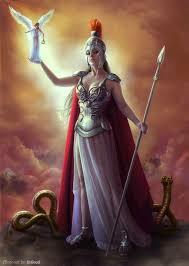 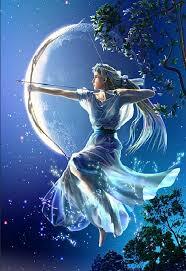 With Artemis I like the image of her with the translucent white dress and the moon. 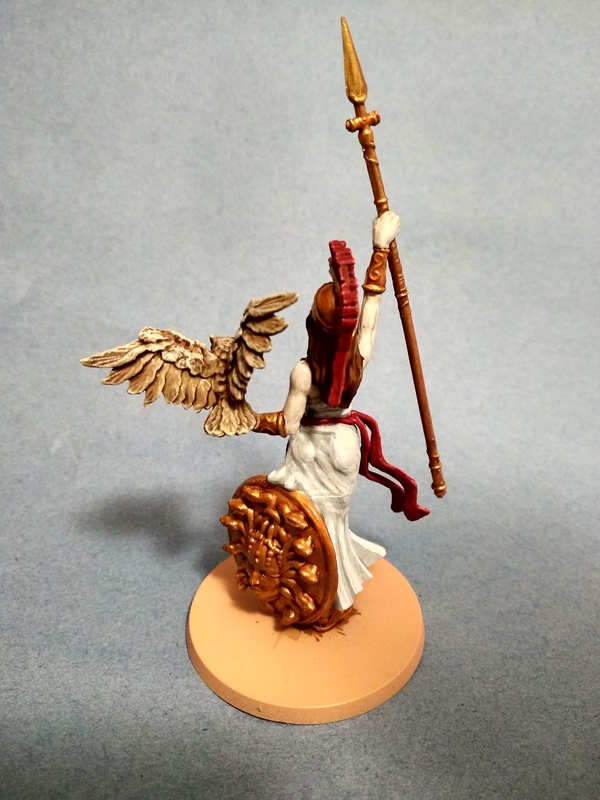 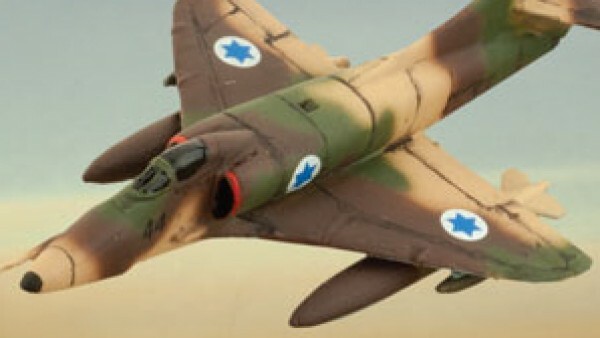 The winged picture also looks cool but I’m not going to convert the model. 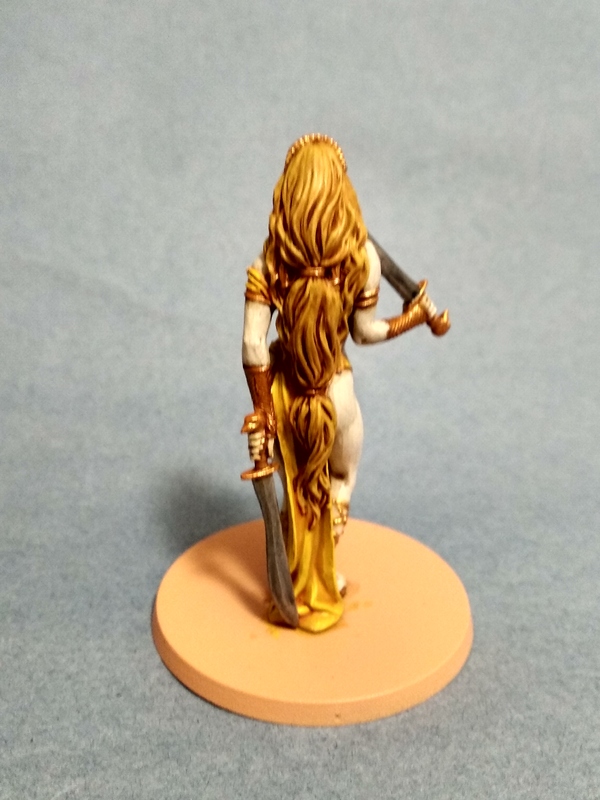 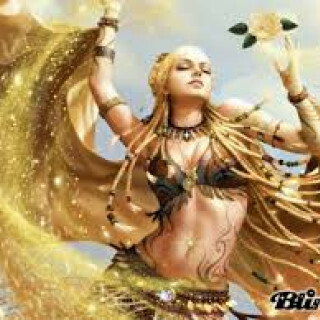 For Aphrodite the all gold appearances looks very different, but then again a white dress with white hair and some sort of glow effect would also look good. 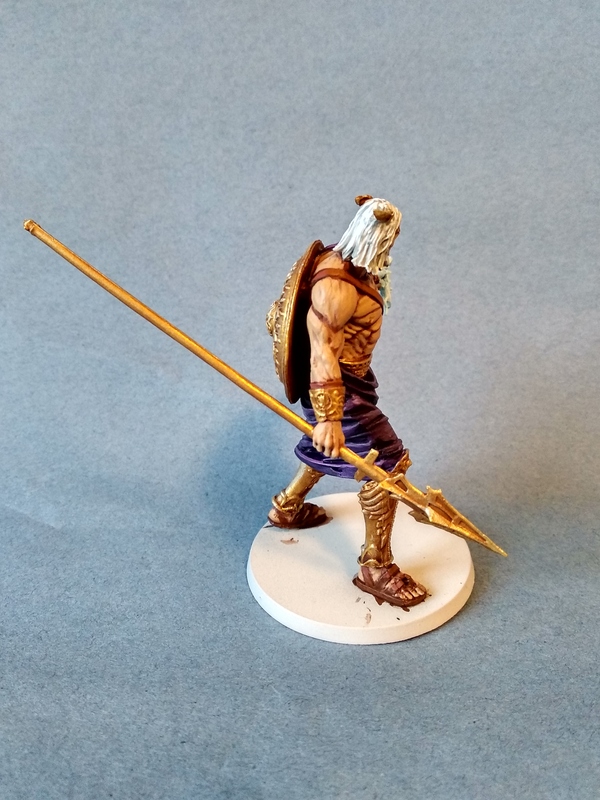 That’s Zeus and Ares finished. 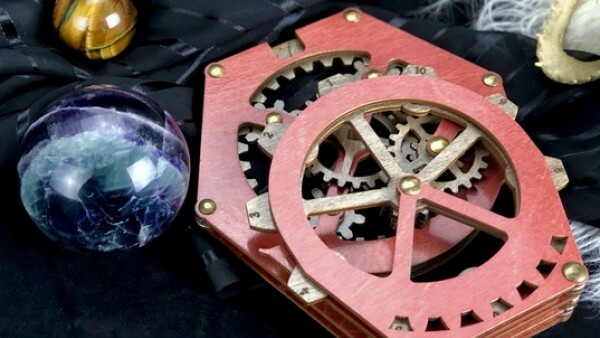 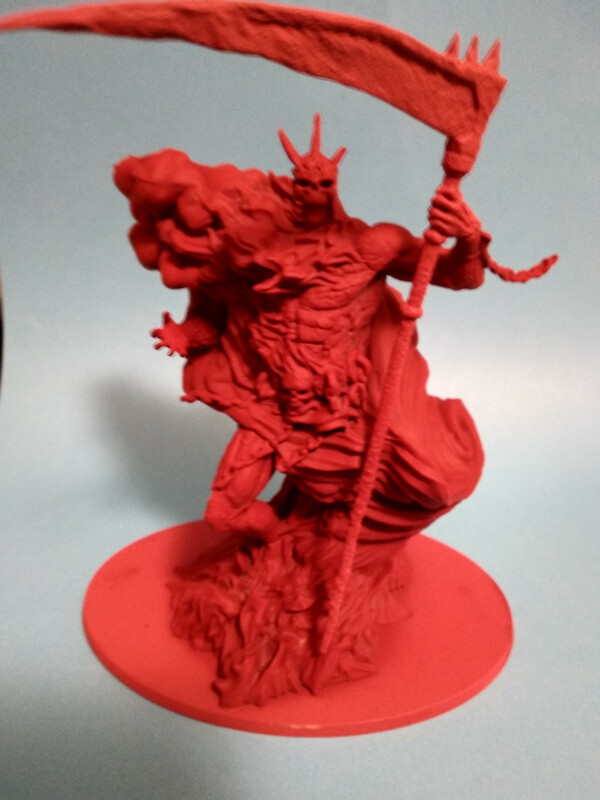 Two weeks for two models is too slow so I’ll try to speed up the next batch. 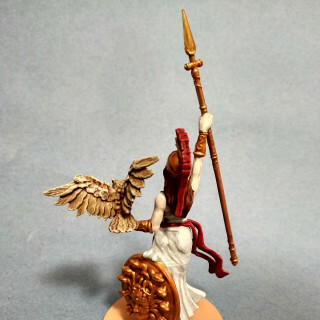 The gold areas were basecoated retributor armour washed seraphim sepia and then highlighted with auric armour gold followed by liberator gold. 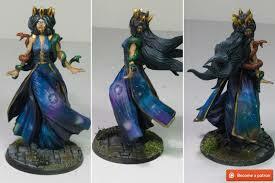 These last two paints are very prone to separating so you need to give them a thorough mixing before you uses them. 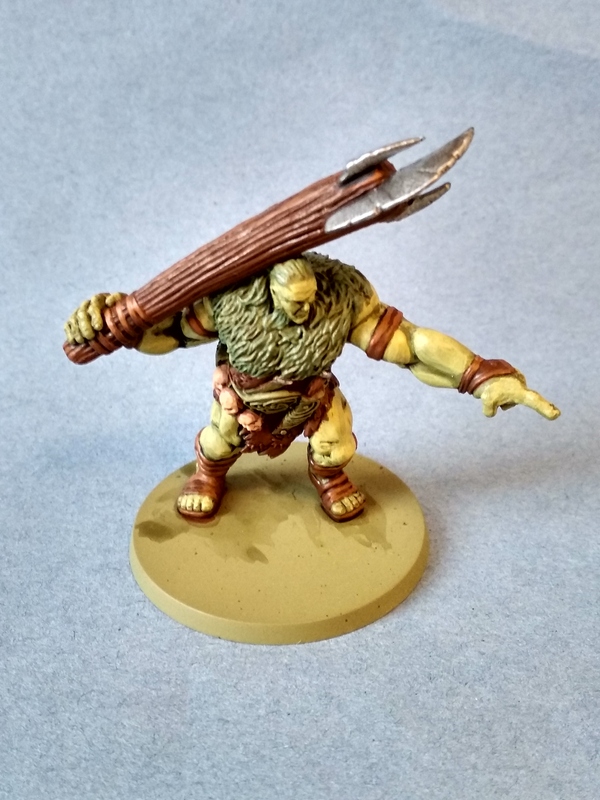 The iron areas were basecoated leadbelcher, washed nuln oil and then highlighted with ironbreaker followed by runefang steel. 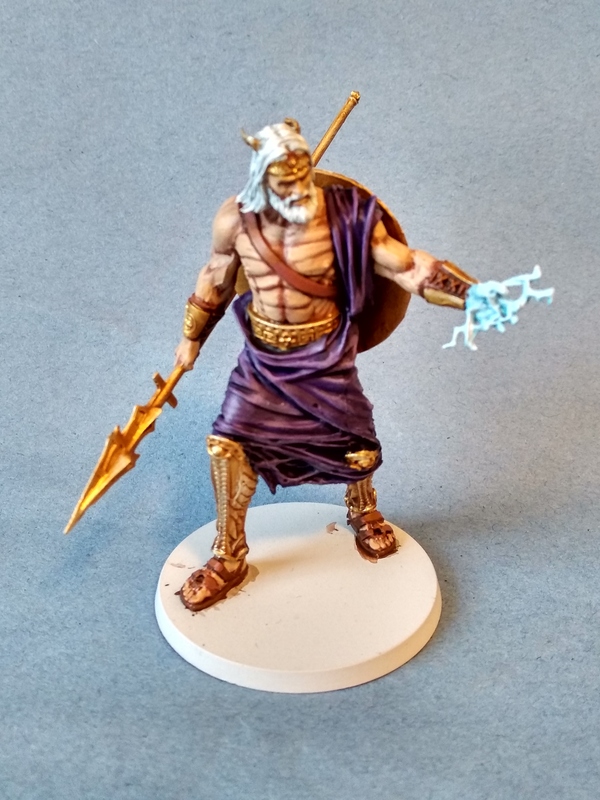 Zeus’ lightning effect started with a 3:1 white scar to lothern blue basecoat. 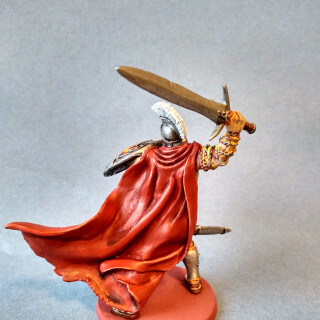 I then added a highlight of this mix with more white scar added. 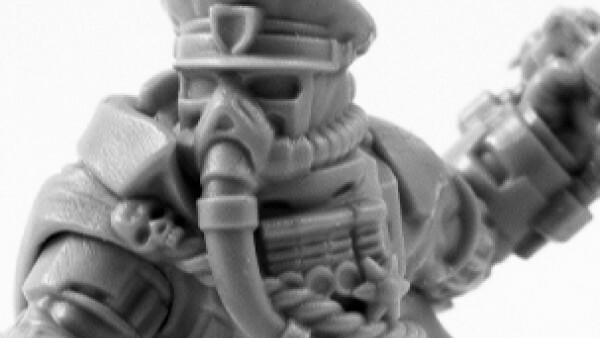 The final highlight was pure white scar. 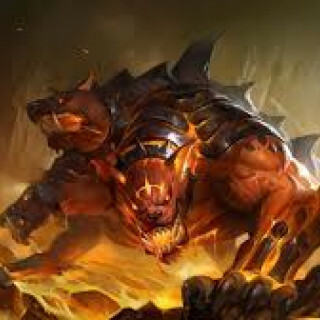 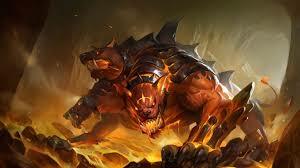 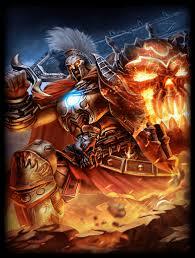 The heat effect on Ares started with wild rider red painted in all the areas where Ares skin comes into contact with iron. 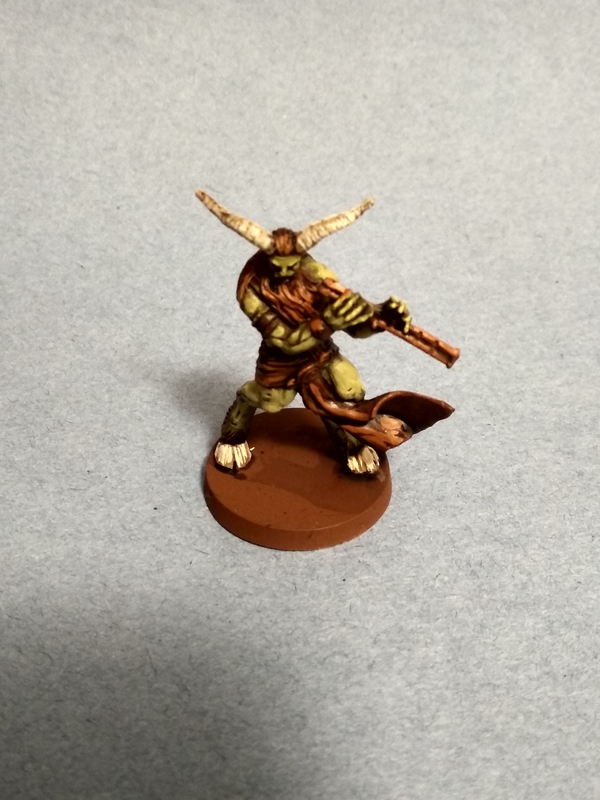 I then painted a think line of fiery orange on to that, followed by the thinnest line of flash gitz yellow that I could manage. 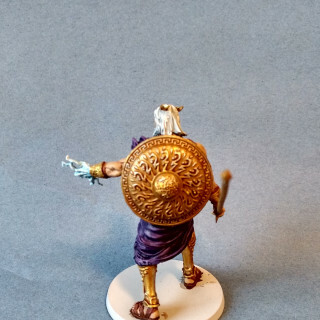 Ares’ toga and Zeus’ hair were basecoated celestra grey and then highlighted ulthuan grey followed by white scar. 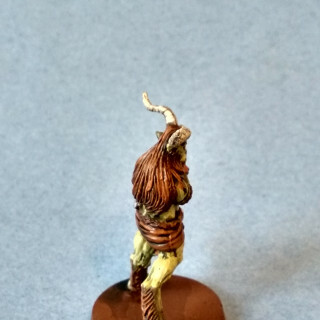 All the leather was basecoated mournefang brown, washed agrax earthshade and then highlighted tuskgor fur followed by skrag brown. 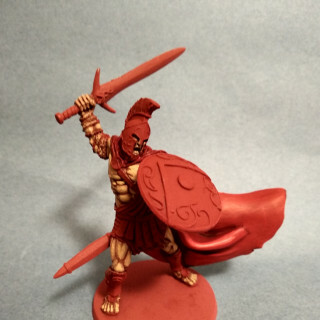 Ares’ bar was basecoated rhinox hard, washed agrax earthshade and then highlighted doombull brown. 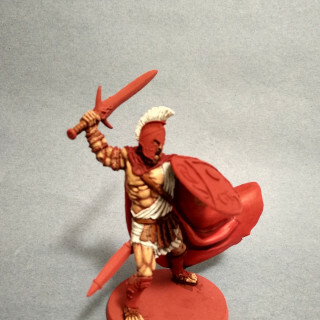 Zeus was sprayed with a white basecoat and Ares a red one. 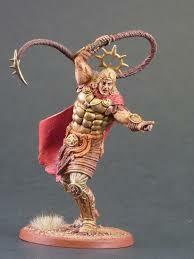 Both God’s skin was painted the same: the basecoat was Bugman’s glow, they were washed with reikland fleshshade and then highlighted with cadian fleshtone followed by kislev flesh. 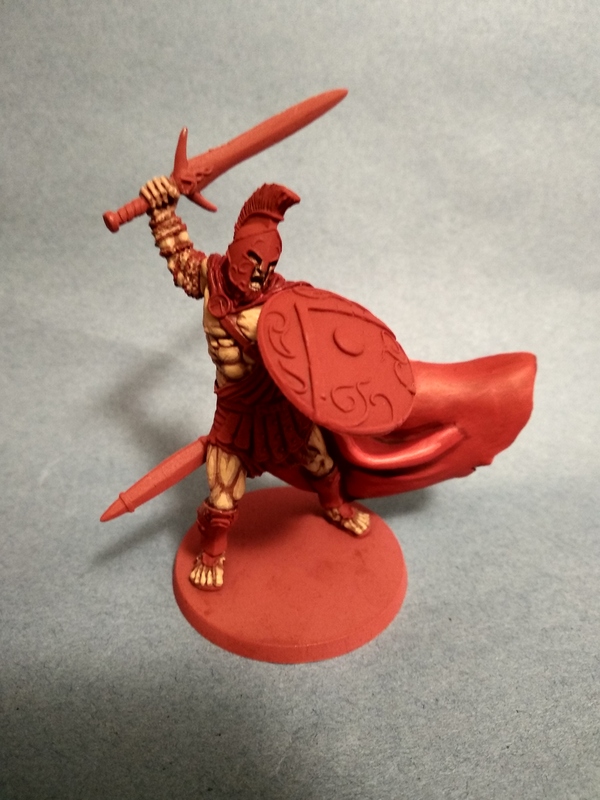 Ares’ cape was basecoated mephiston red, washed carroburg crimson and then highlighted with evil sunz scarlet followed by wild rider red. 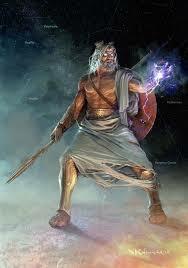 Zeus’ purple toga(?) 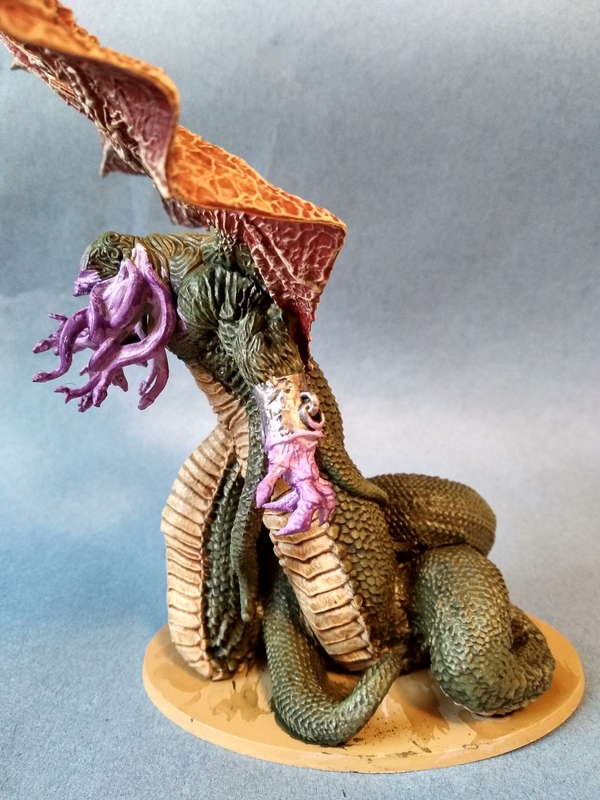 was basecoated naggaroth night, washed druchii violet, and then highlighted with xereus purple followed by genestealer purple. 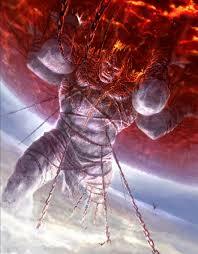 With the Titans I used the glow effects to try and give the impression of immense raw power. 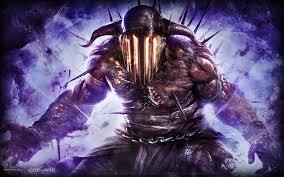 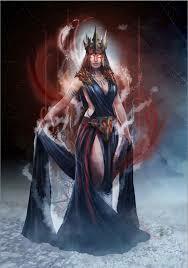 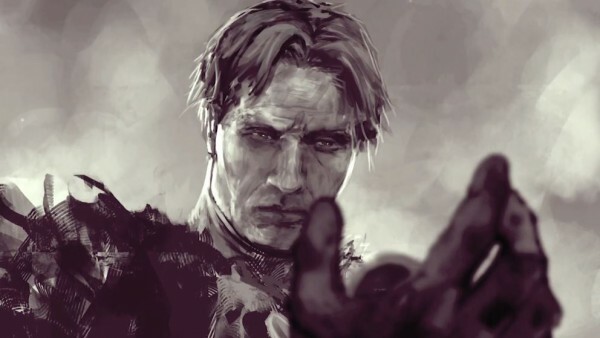 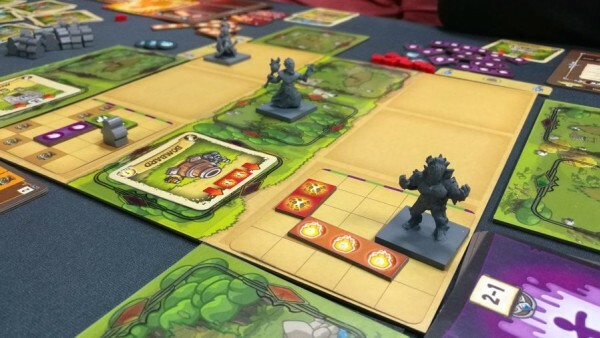 With the Gods I still want to give the impression of power, but a more refined power. 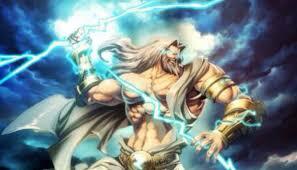 For Zeus his lightning will probably portray the desired effect nicely. 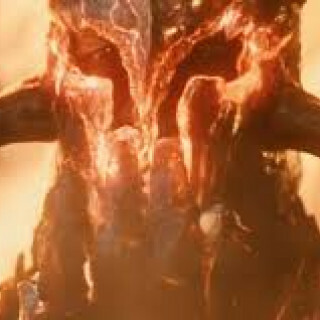 For Ares I quite like the effect in the Wonder Woman movie where he gets hot enough to melt his armour into shape. 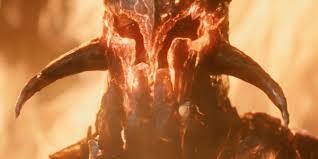 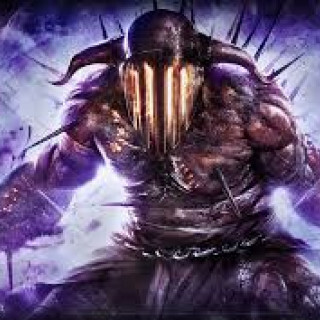 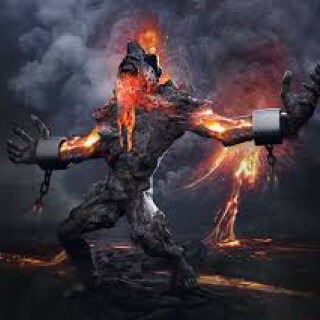 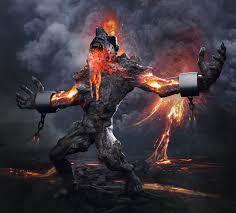 I imagine Are’s rage being hot enough to melt the armour he is wearing. 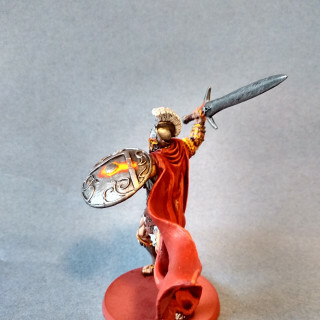 I think a red/yellow heat effect around the edges of his helmet and other armour pieces should work. 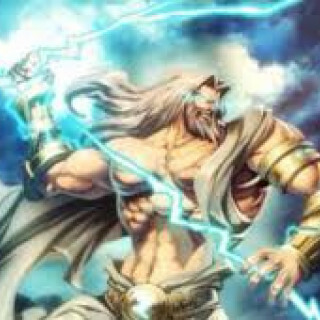 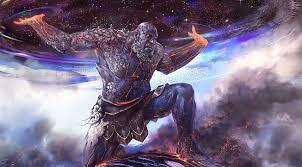 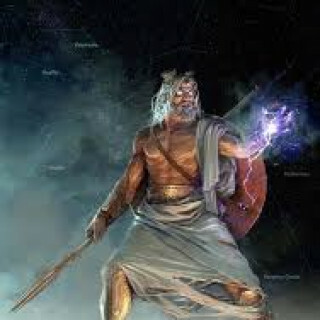 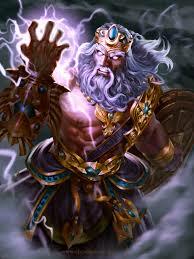 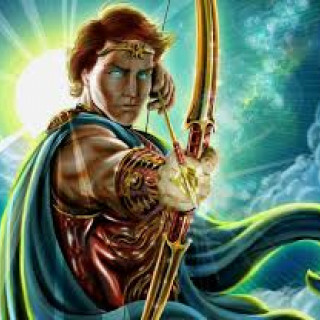 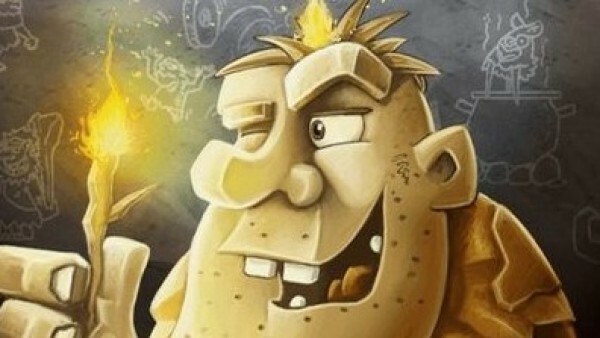 I also like the image of Zeus that I found where all his metal is bright gold with blue gems. 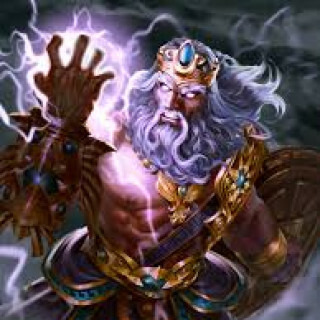 I think this looks very regal and is suitable for the King of the Gods. 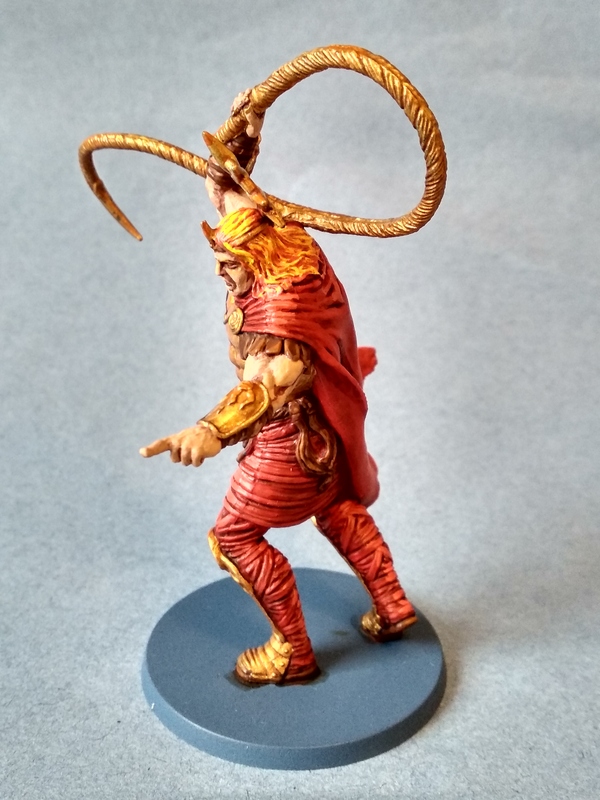 By now I am ahead of schedule. 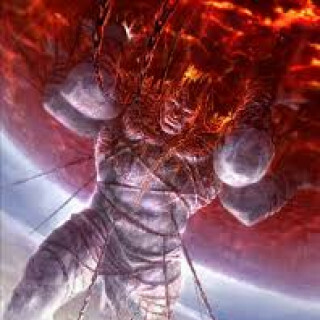 I have finished all five titans (I thought there were 6 but I was mistakenly counting Prometheus as a titan when in fact he is a monster). 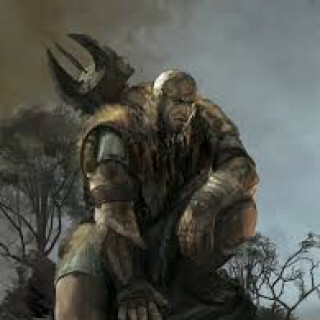 Next I will move on to the Gods. 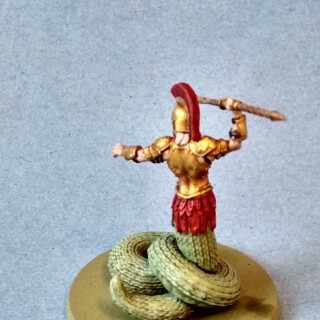 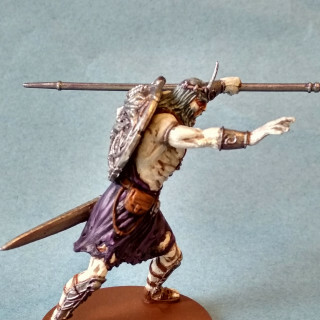 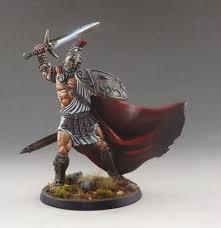 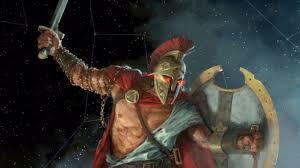 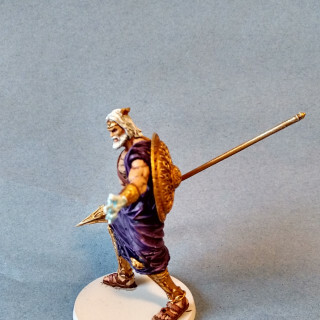 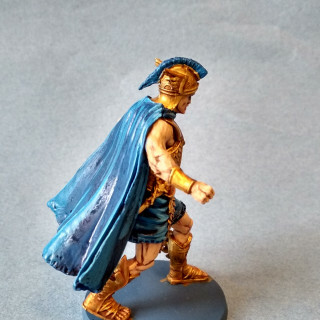 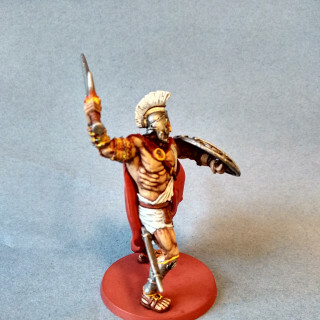 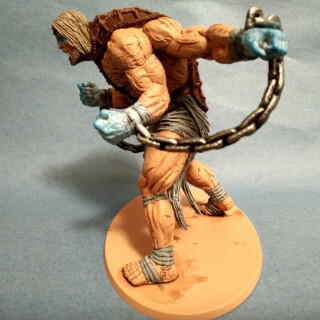 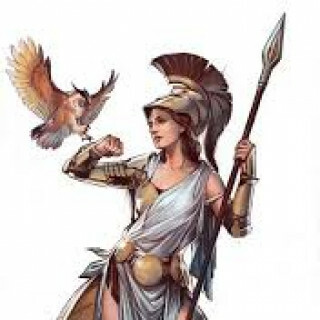 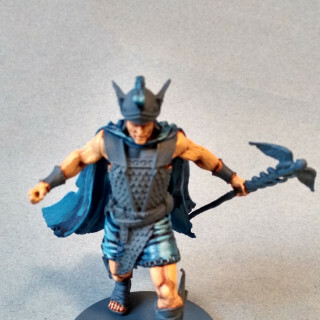 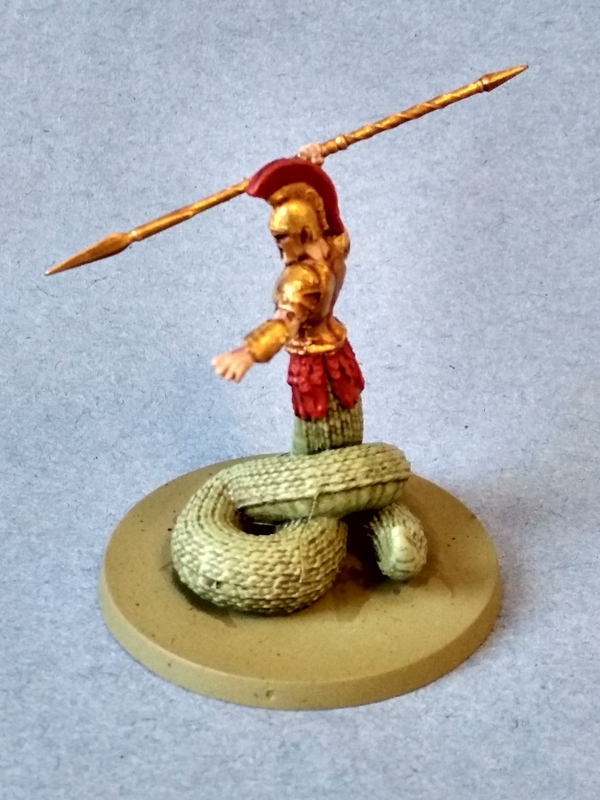 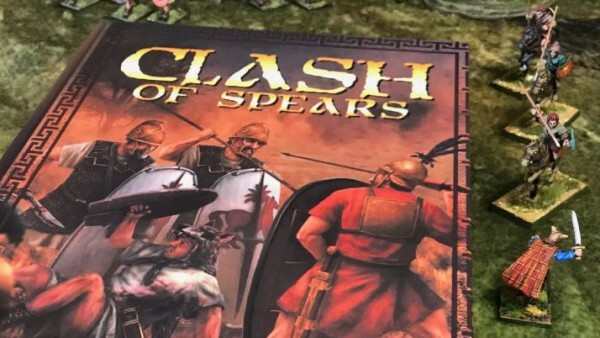 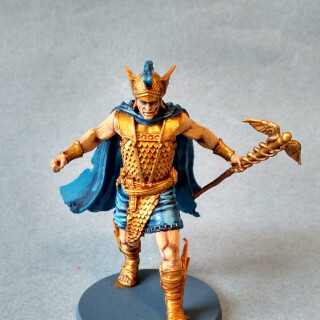 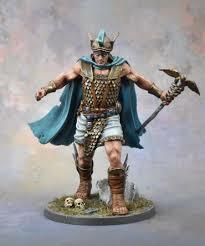 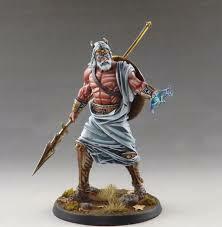 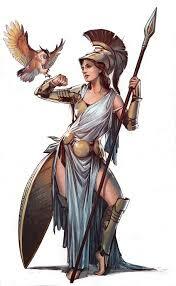 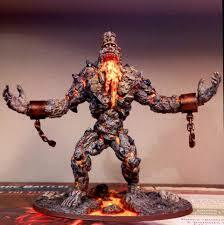 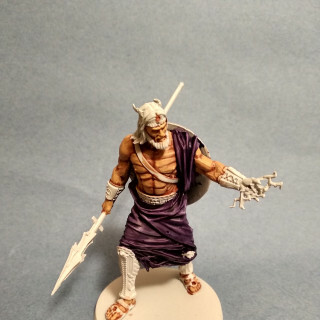 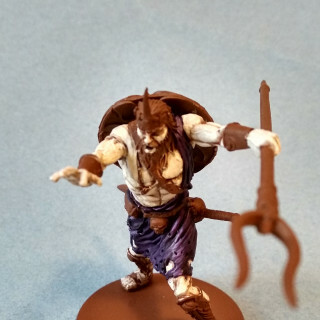 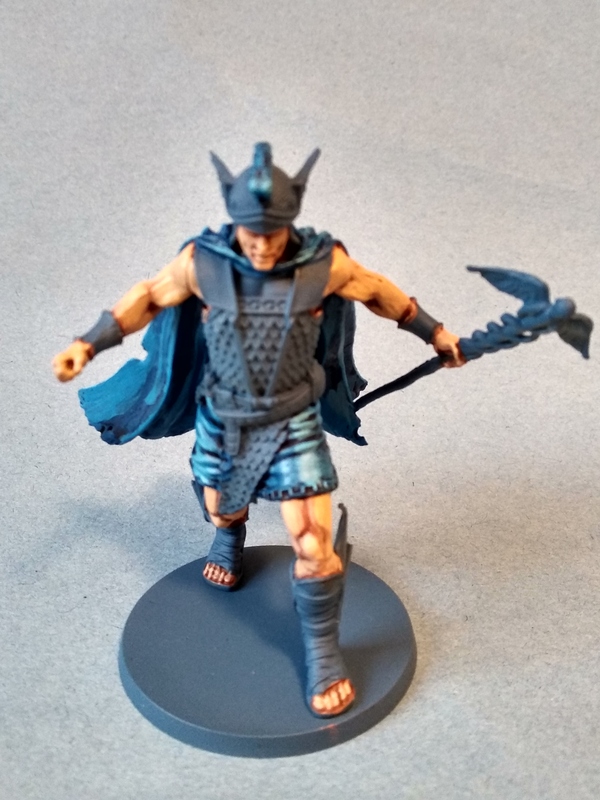 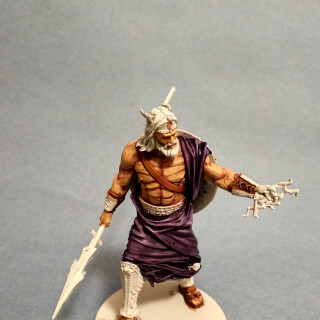 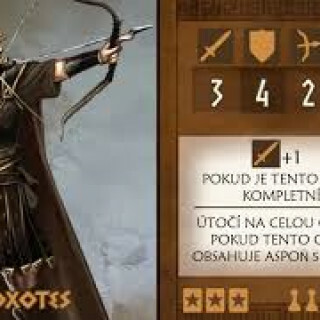 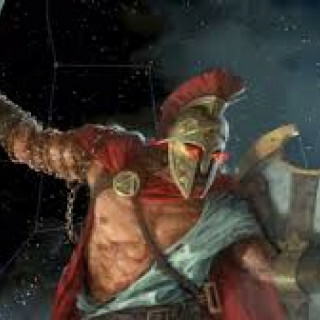 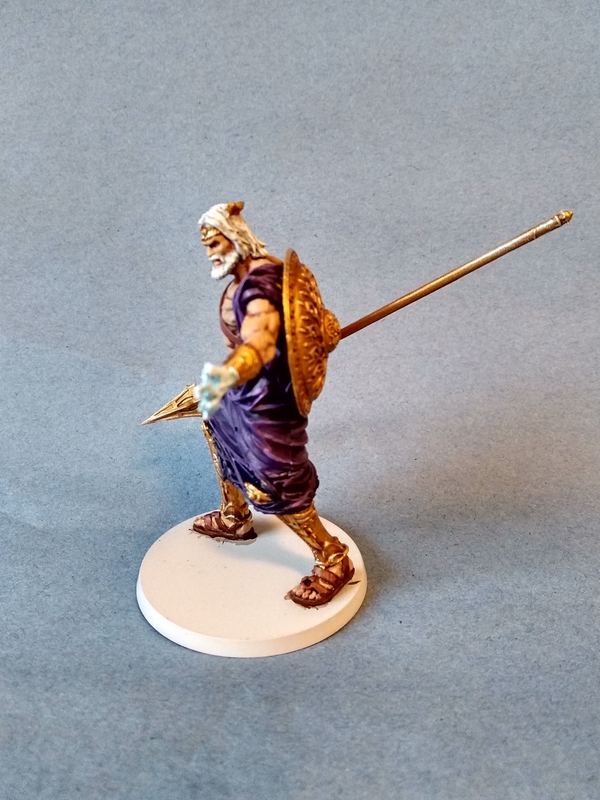 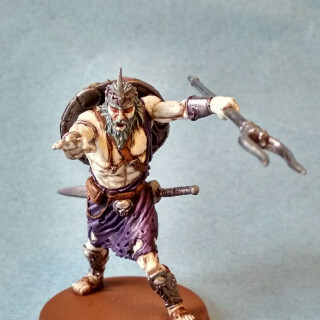 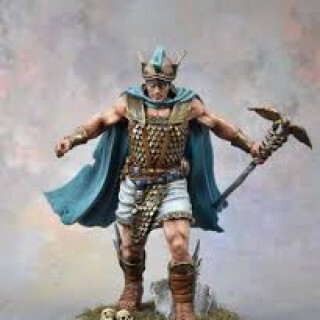 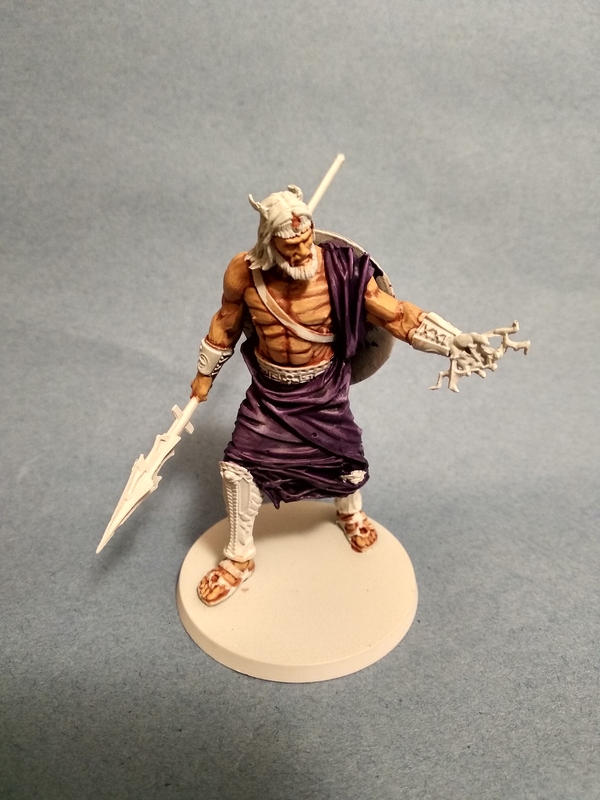 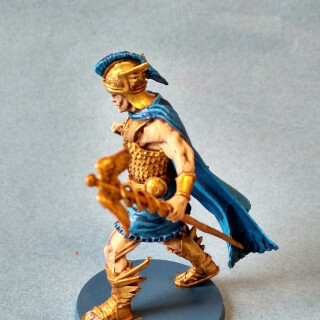 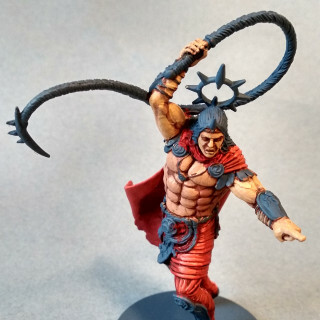 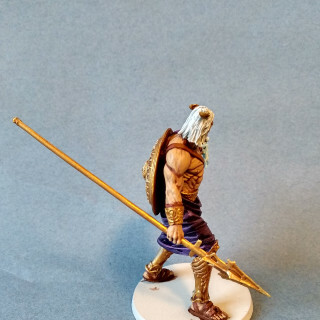 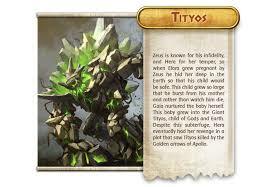 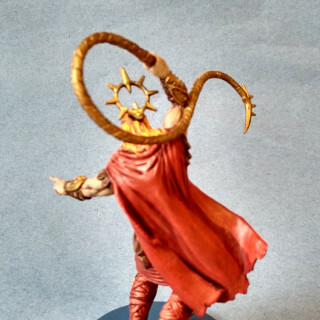 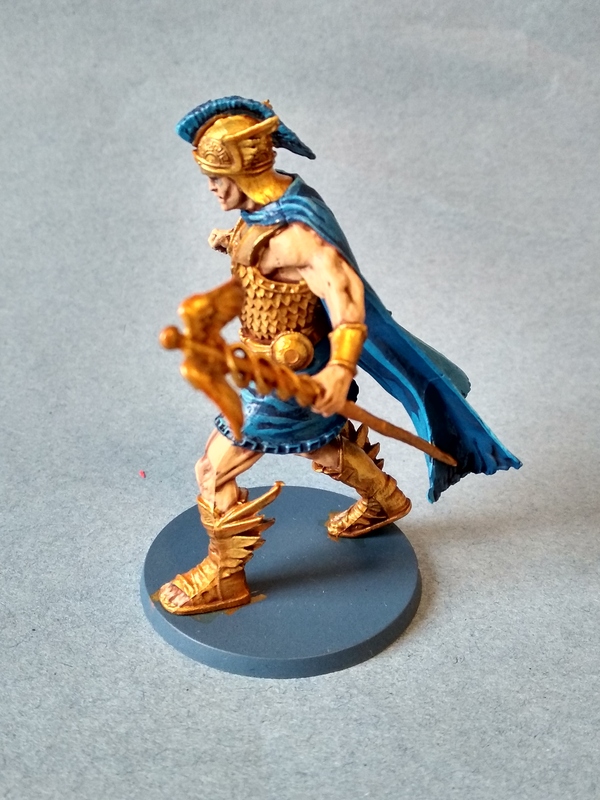 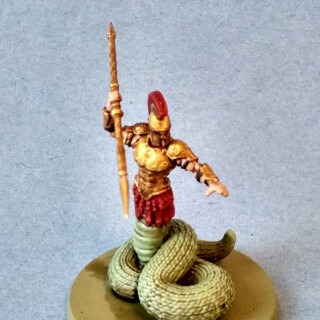 I have a game arranged for the 26th so I will paint Zeus and Ares first so they can be used in the starter game. 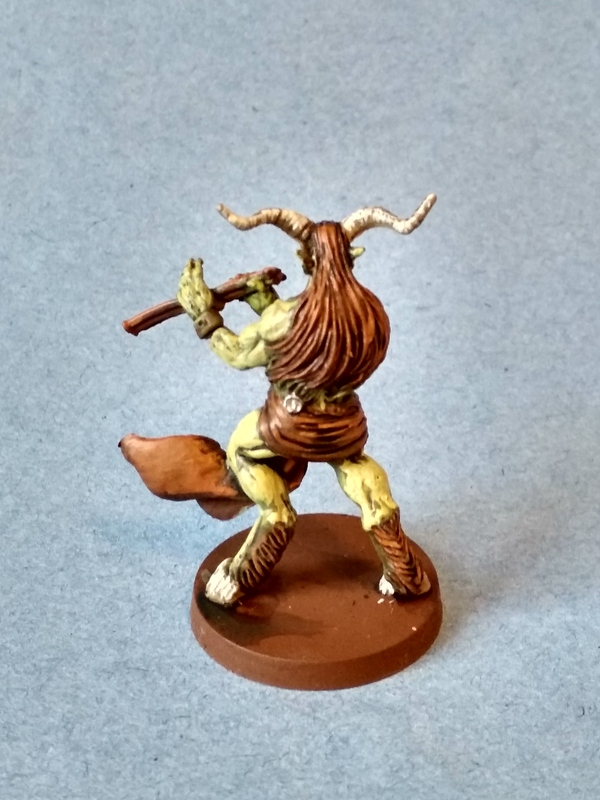 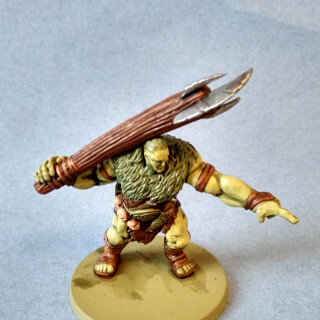 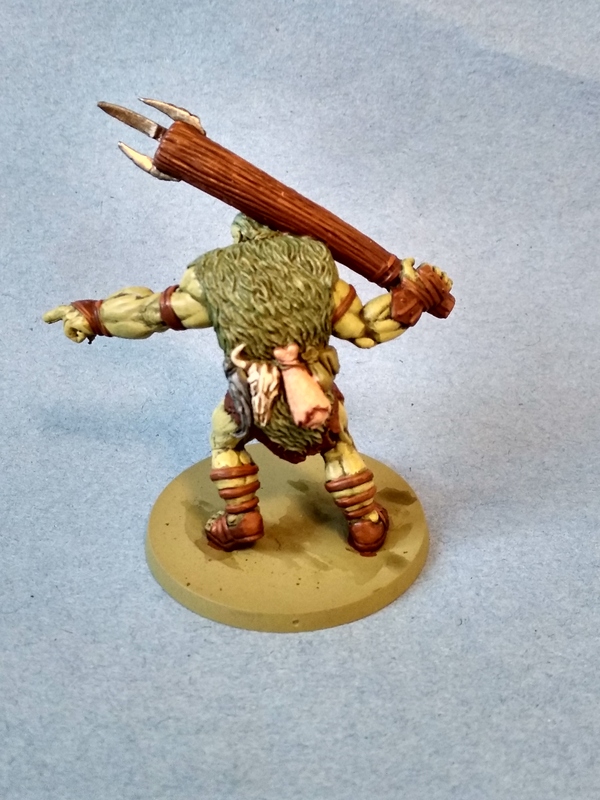 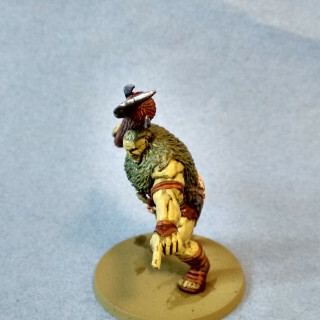 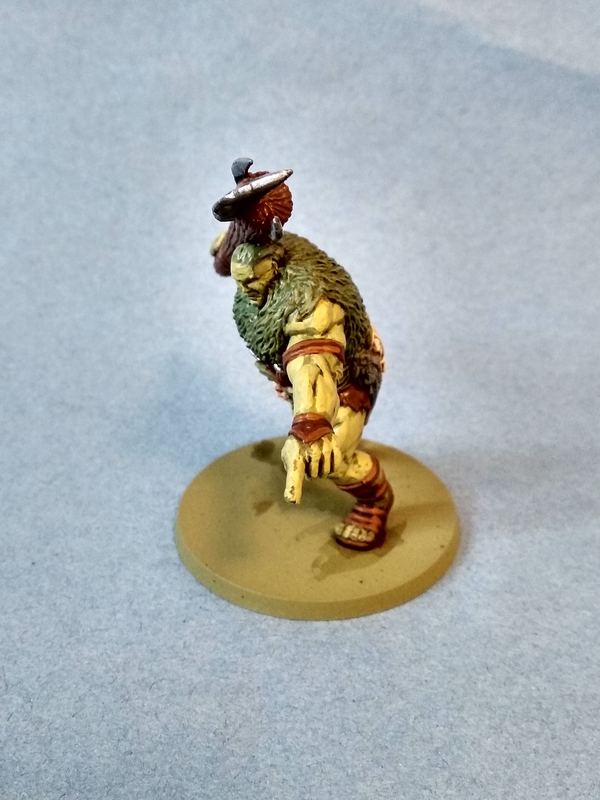 The model started off basecoated with barbarian flesh (an army painter spray). 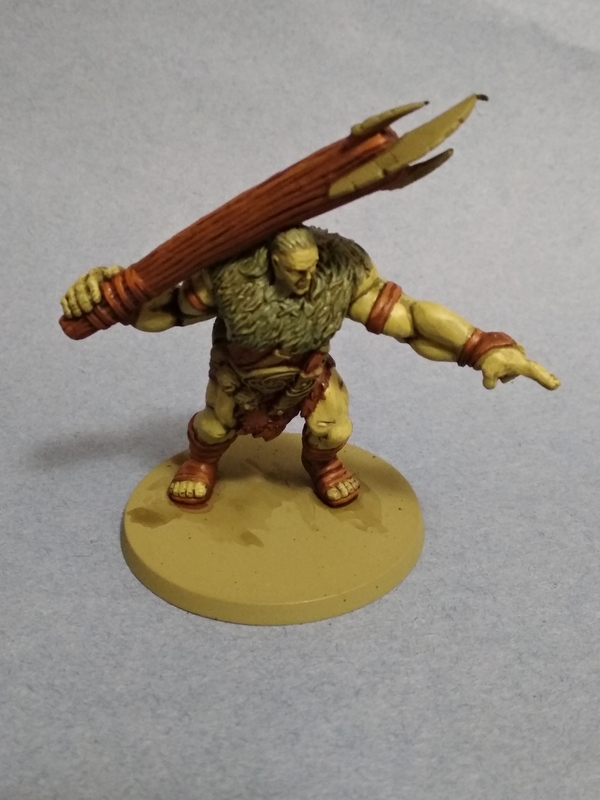 The skin was washed with reikland fleshshade and then drybrushed with cadian fleshtone followed by kislev flesh. 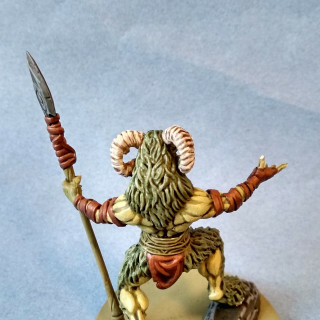 The leather on Atlas’ back was base coated mournefang brown, washed agrax earthshade, then drybrushed tuskgor fur followed by skrag brown. 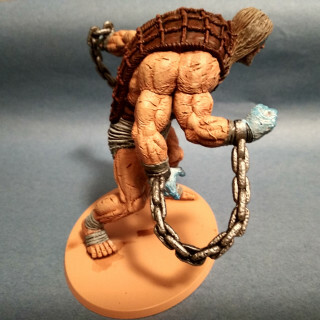 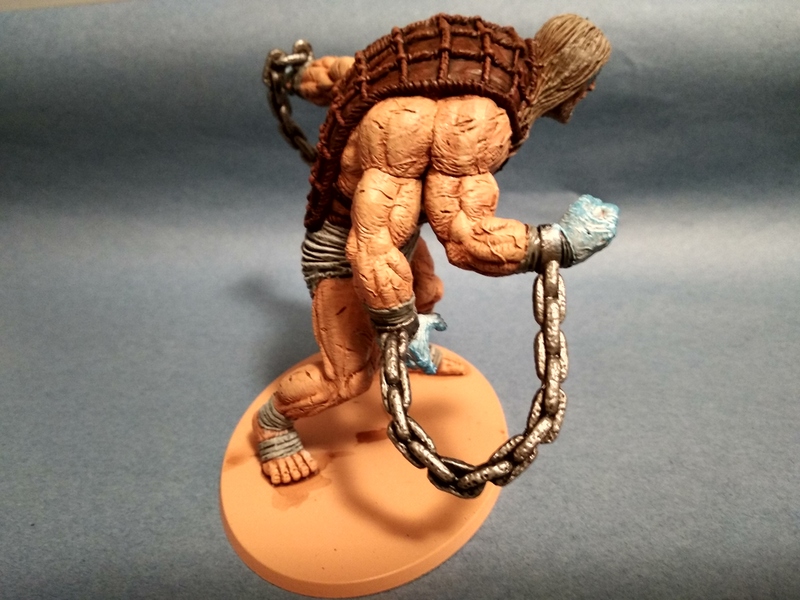 The leather straps were base coated rhinox hide, washed with agrax earthshade, and then highlighted with doombull brown followed by deathclaw brown. The loincloth and cloth bandages were base coated celestra grey, washed nuln oil and then drybrushed ulthuan grey. 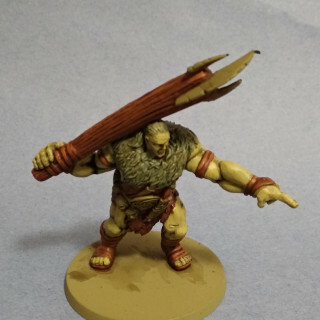 Atlas’ hair and beard were base coated baneblade brown, washed seraphim sepia and then drybrushed rakarth flesh. 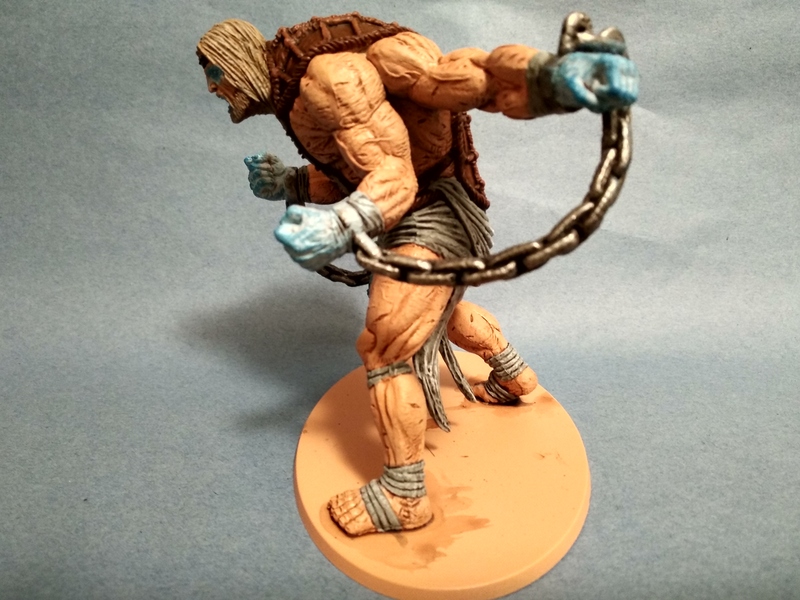 The chains were basecoated leadbelcher, washed with nuln oil and then drybrushed with ironbreaker followed by runefang steel. 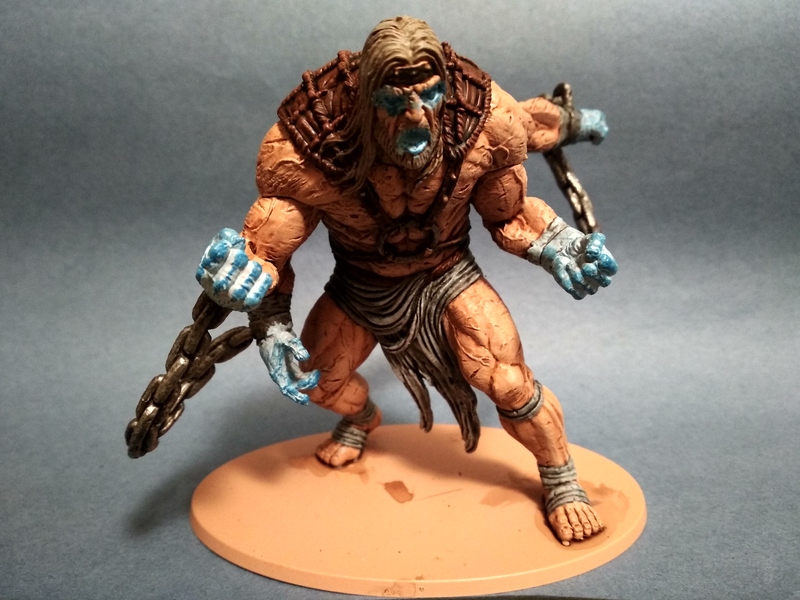 Finally the fists, eyes and mouth were painted with a 3:1 mix of white scar: lothern blue. 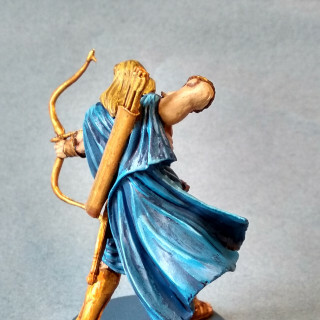 They were then drybrushed with lothern blue followed by a very light drybrush of teclis blue. 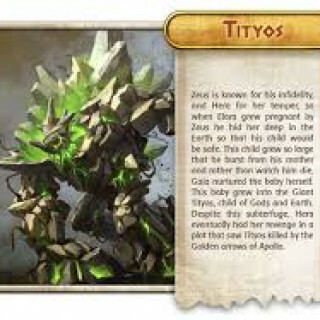 Up next is Atlas. 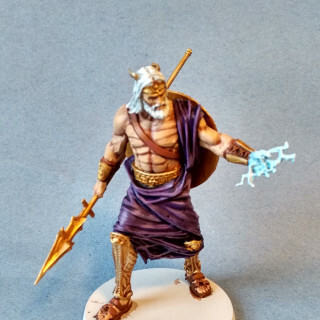 Not sure how to do the primal energy glow or which colour it should be. 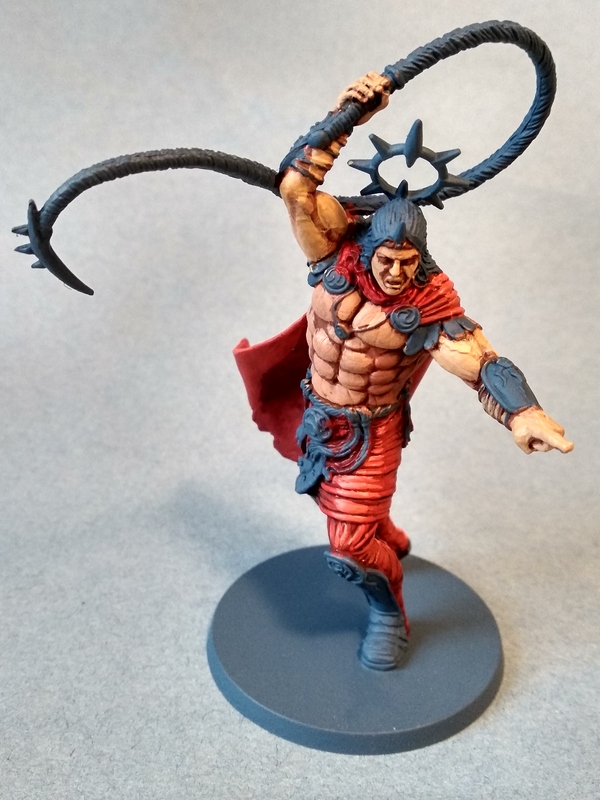 My first thoughts were a blue but the red in these pictures look good. 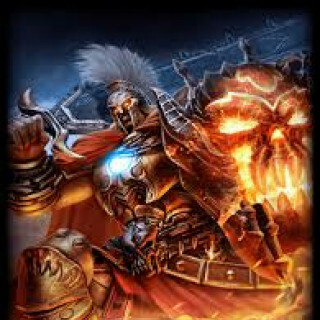 Then again I’ve already done two titans with a red glow. 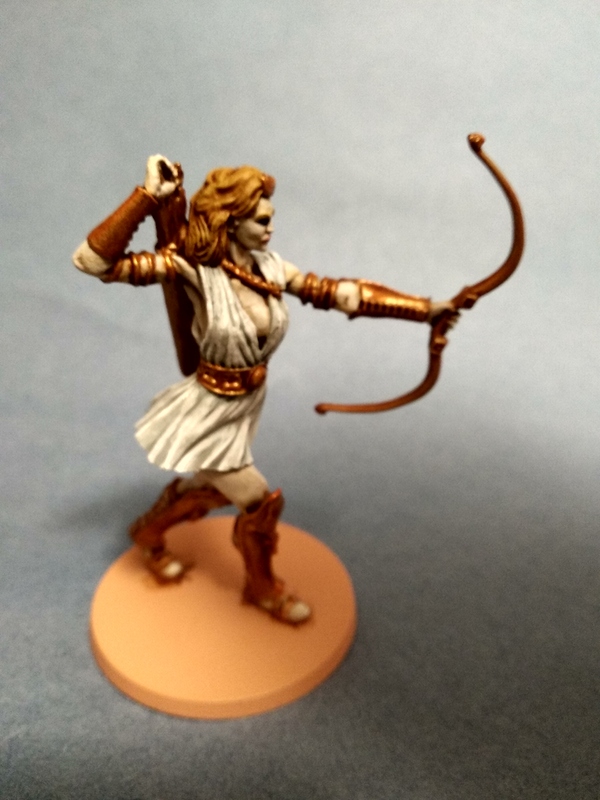 I’m really happy with the way Gaia’s glow effect came out. 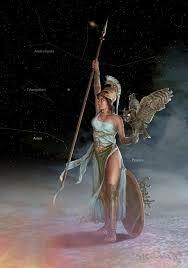 It looks like she’s drawing raw power out of the earth. 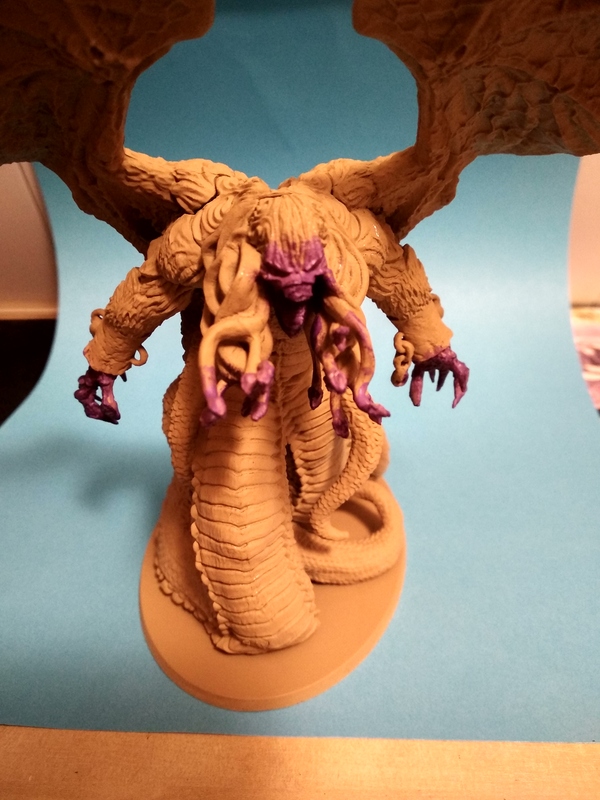 Typhon’s purple glow effect isn’t as good but I’m still ok with it. 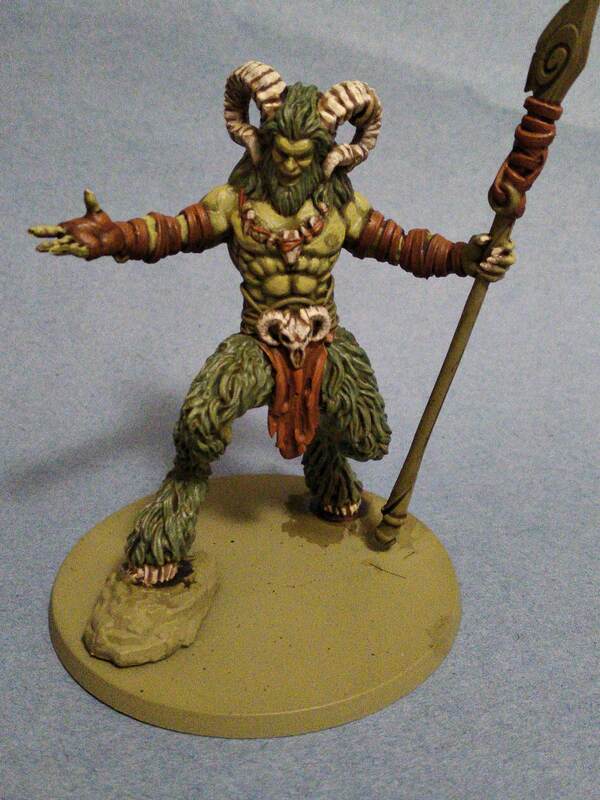 Gaia’s branches and hair were painted rhinox hide and then drybrushed with a 1:3 mix of doobull brown: dawnstone. 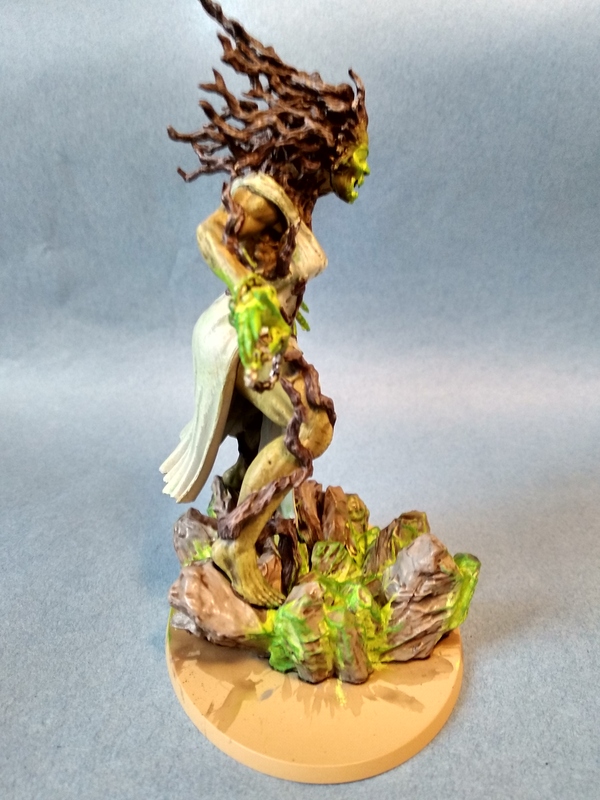 Gaia’s stone base was painted dawnstone then given a wash of agrax earthshade. 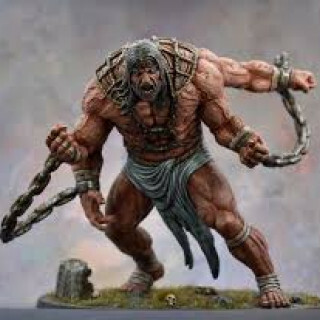 Both Gaia’s and Typhon’s chains were painted leadbelcher, washed with nuln oil and then highlighted with ironbreaker then runefang steel. 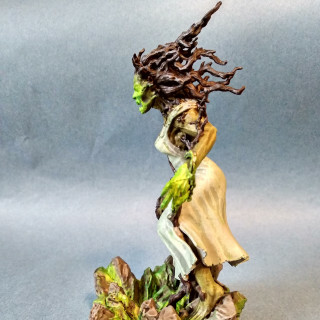 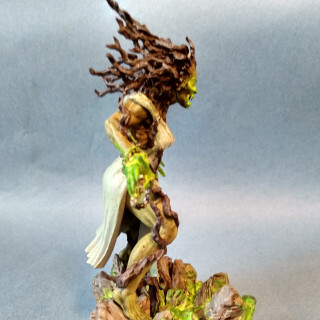 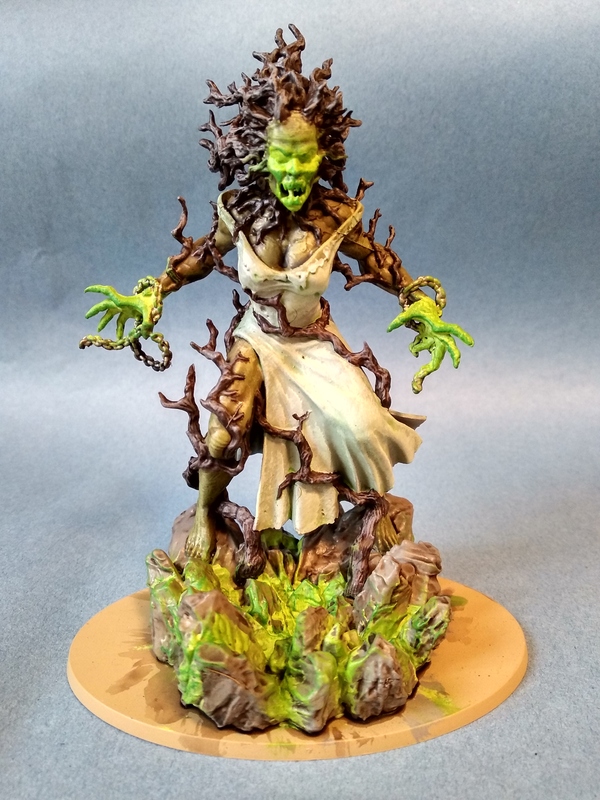 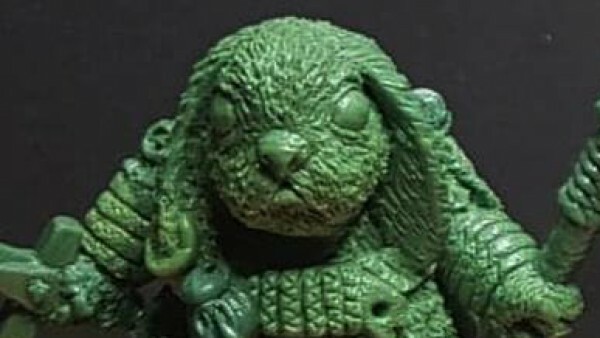 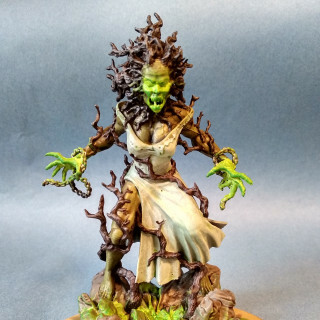 Gaia’s glow effect was achieved by painting a 3:1 mix of white scar: moot green into her eyes, mouth, hands and the gaps between the stones on her base. 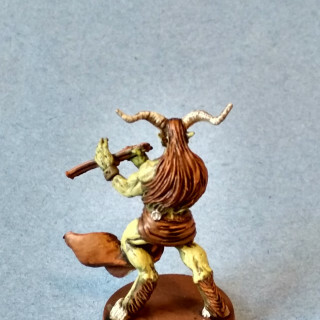 These areas were then drybrushed moot green followed by a very light drubrush of snot green. 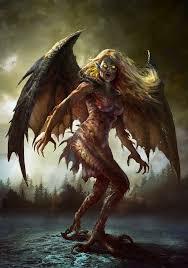 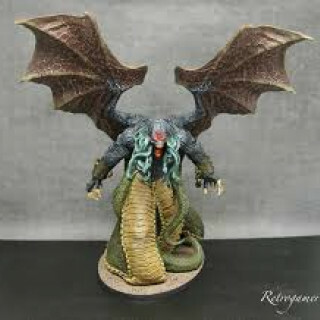 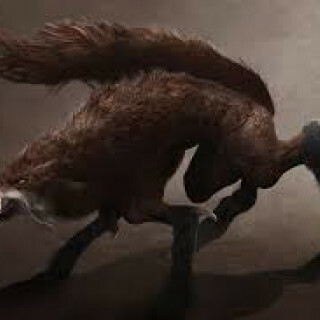 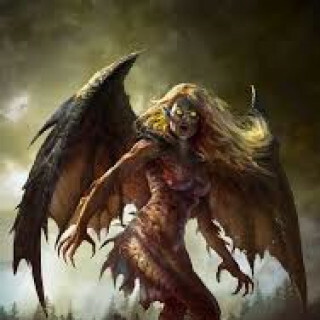 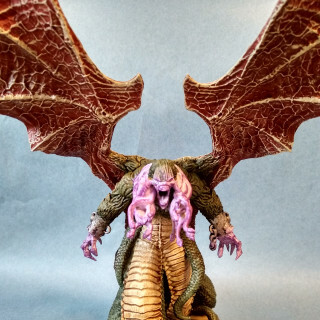 Typhon’s wings were painted with a mix of 50:50 mournefang brown: mephiston red. 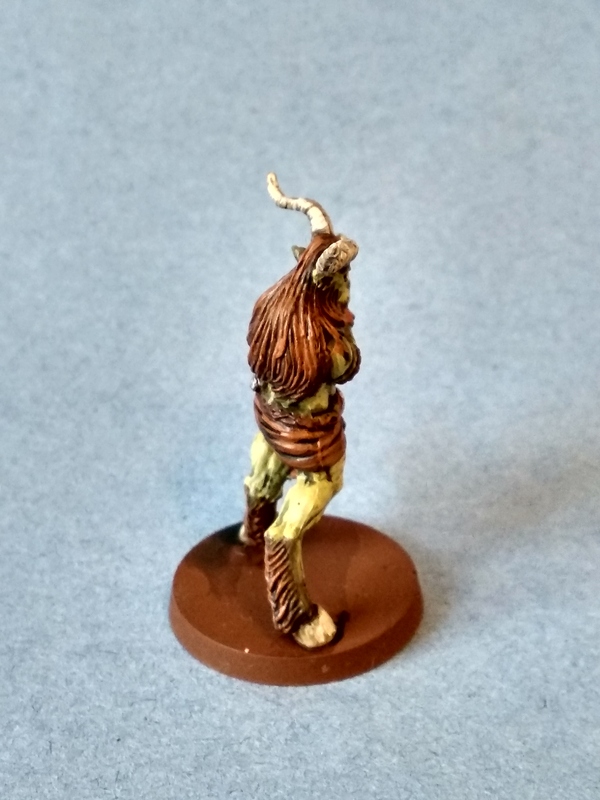 They were then drybrushed ushabti bone followed by a light drybrush of screaming skull. 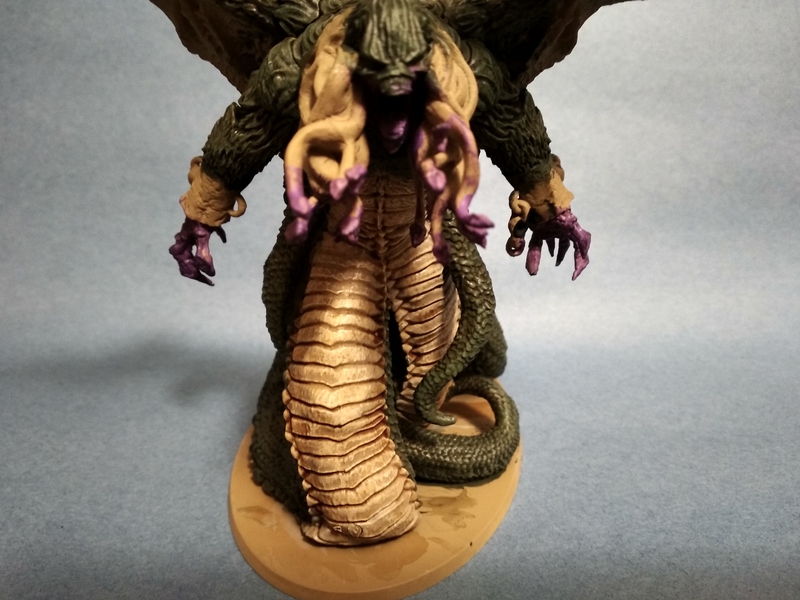 Typhon’s glow effect was achieved by painting a 3:1 mix of white scar: genestealer purple into his eyes, mouth, and hands. 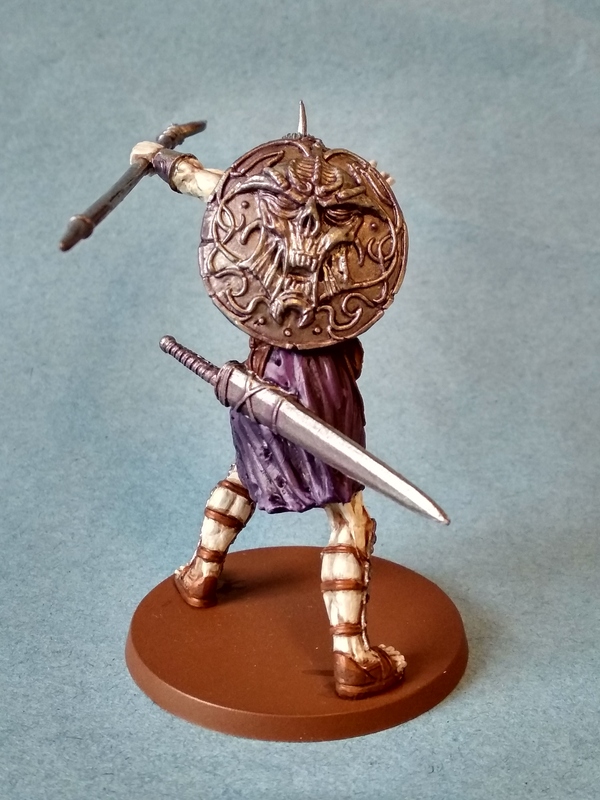 These areas were then drybrushed genestealer purple followed by a very light drubrush of xereus purple. 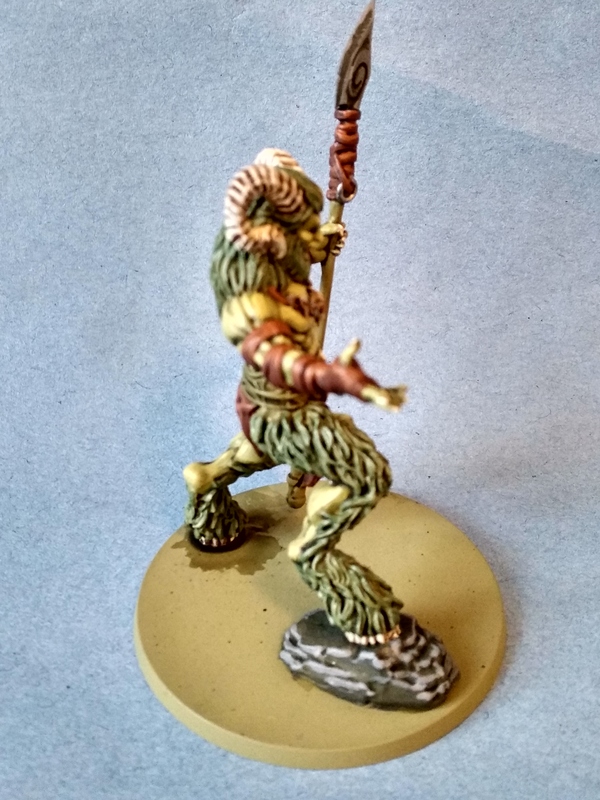 I’m going to come back to the glow effects once the rest of the areas on these models are done. 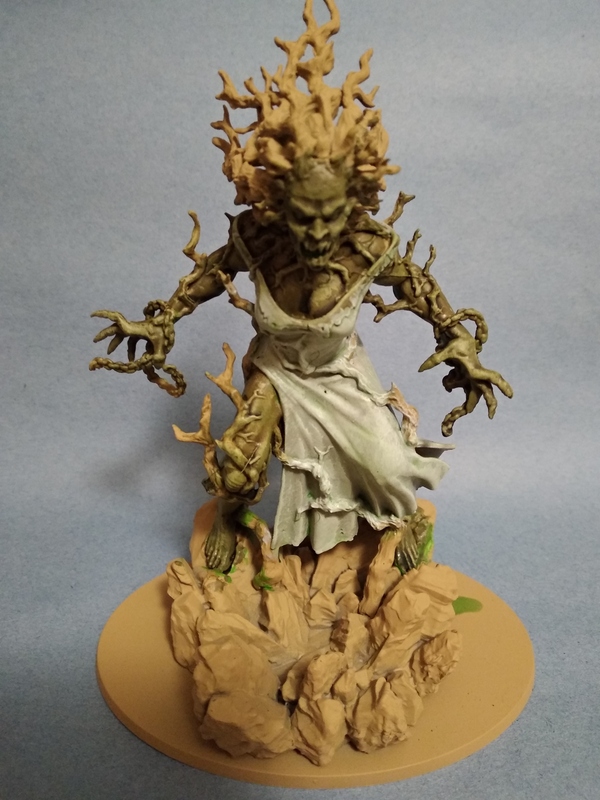 Gaia’s skin was basecoated deathworld forest, washed athonian cammoshade, then drybrushed elysian green followed by ogryn cammo. 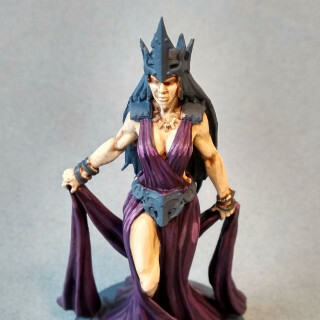 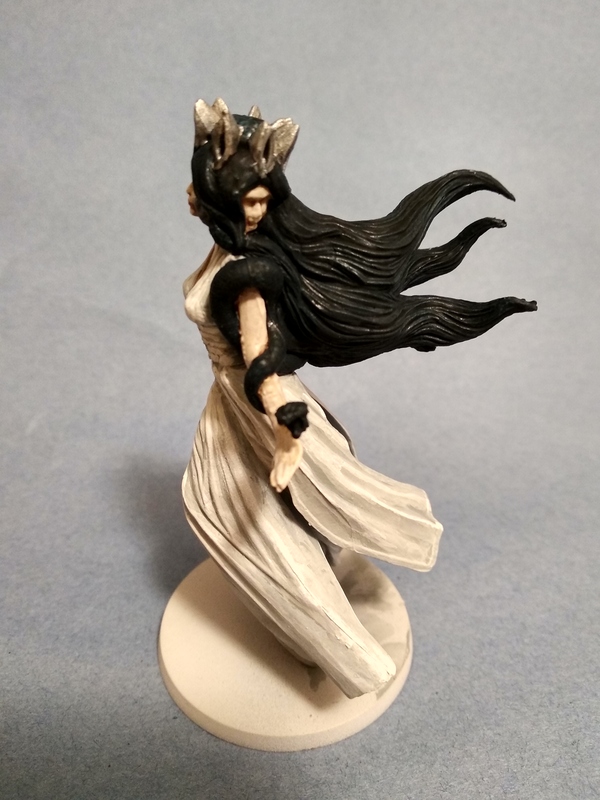 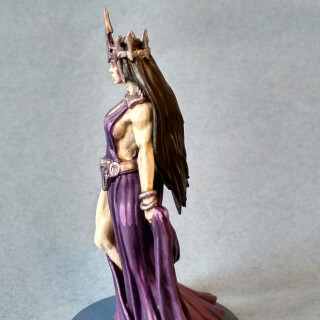 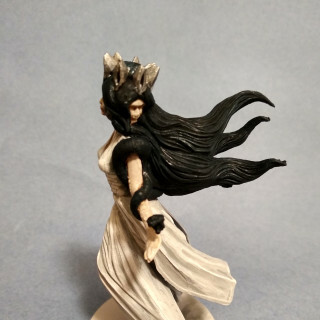 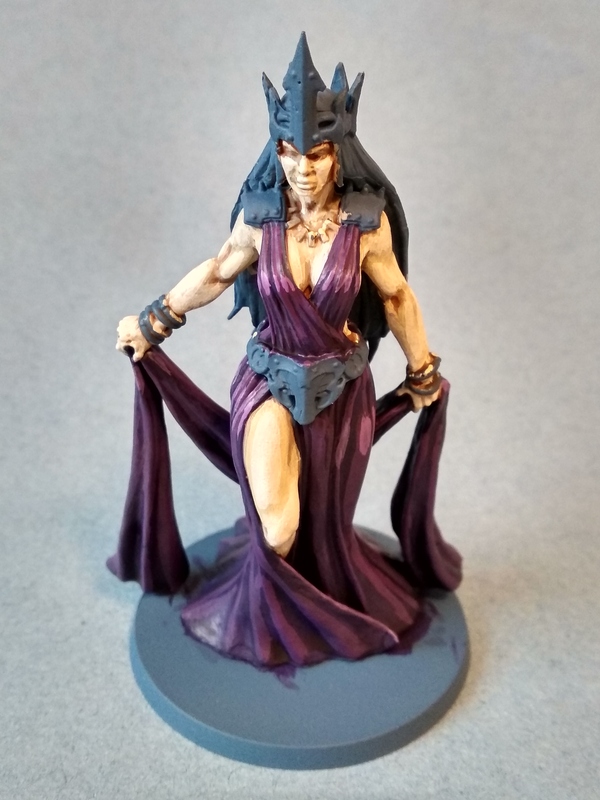 Her dress was basecoated celestra grey then drybrushed ulthuan grey. 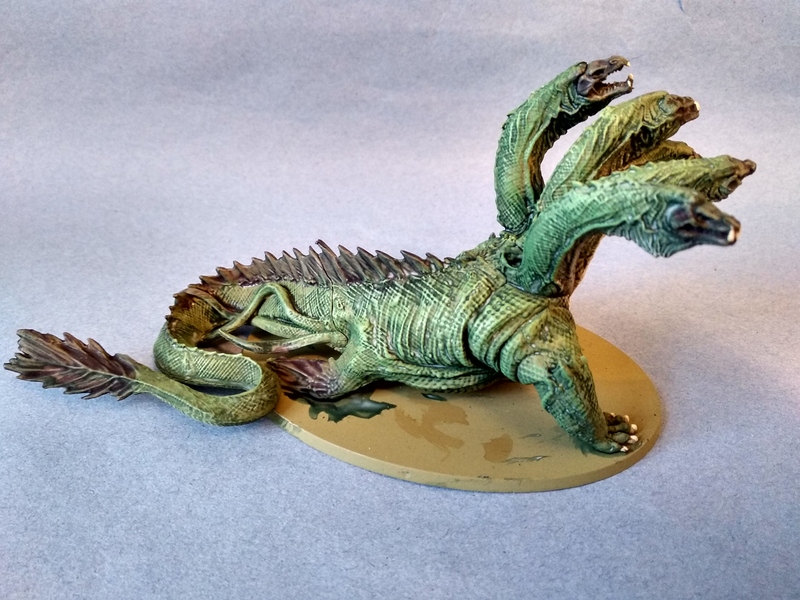 I then glazed it with a 50:50 mix of waywatcher green and lahmian medium. Typhon’s front larger scales were painted rakarth flesh then drybrushed flayed one flesh followed by pallid wych flesh. 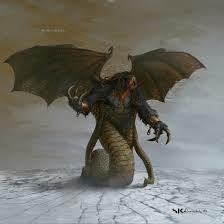 The area was then washed with seraphim sepia. 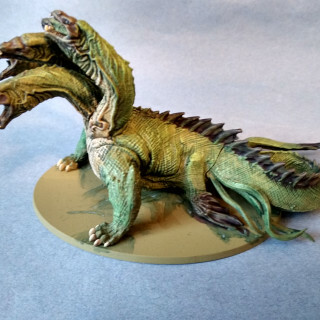 The body fur and rear areas with smaller scales were base coated castellan green, washed with athonian cammoshade, then drybrushed with loren forest then straken green. 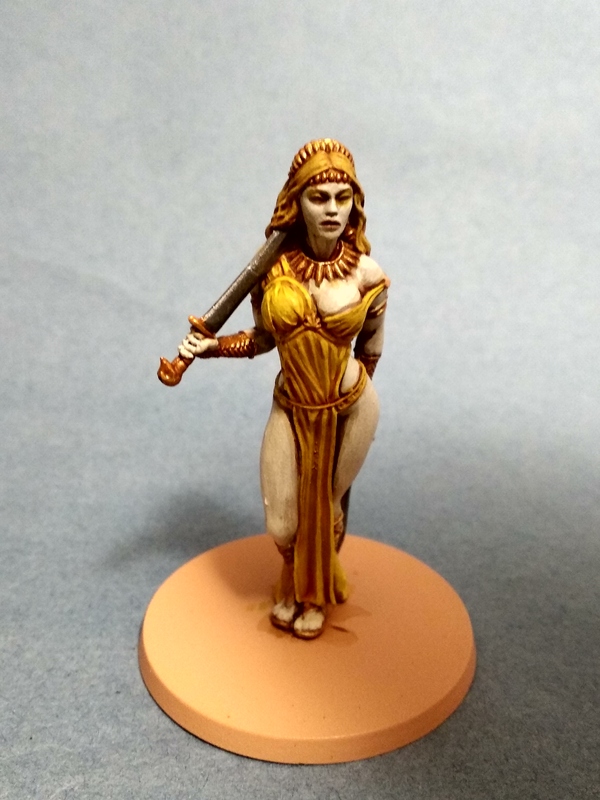 I started with the glow effects but I’m not happy with the results. 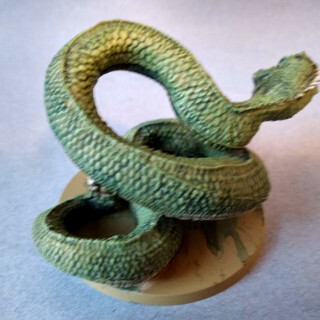 The green is a base of moot green with successive drybrushes of snot green and caliban green. 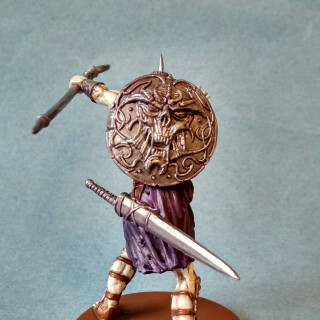 The purple is a base of genestealer purple with successive drybrushes of xereus purple and naggaroth night. 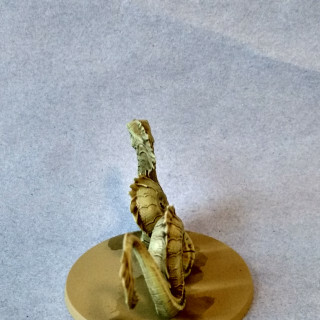 The heat effect uses different colours to give contrast (i.e. 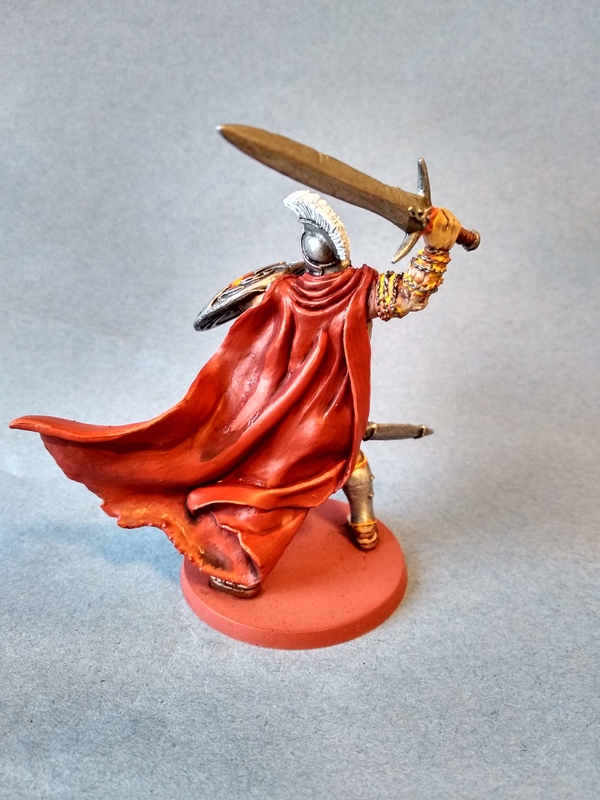 yellow, orange, and red). The heat effect starts with a very bright colour (i.e. 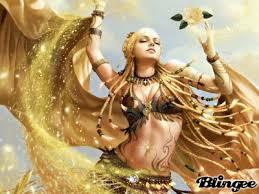 yellow). 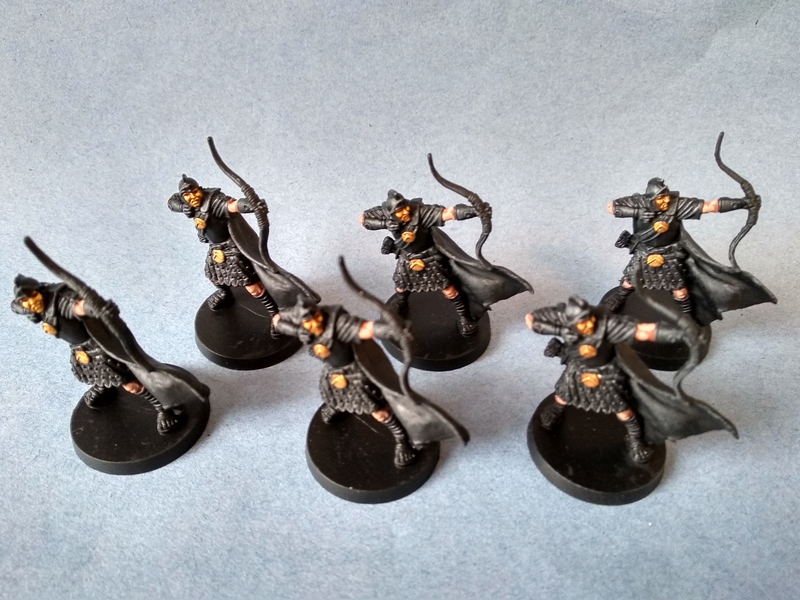 With this in mind I’m going to re-paint these and change the colours so that the effects “pop” more. 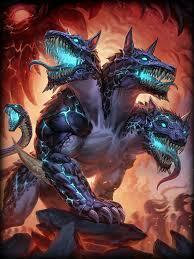 Next up are Gaia and Typhon. 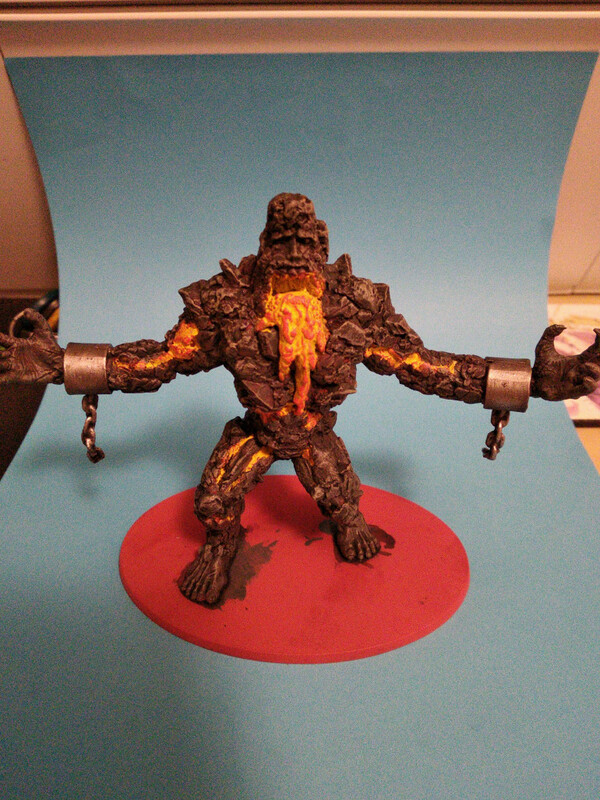 I quite like the heat effect I used on the previous two titans and I want to do something similar for the other two titans to show a raw inner power. 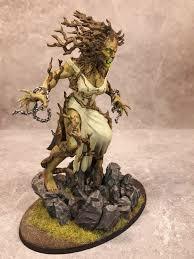 For Gaia I’m going to go with a green inner glow to link her with nature. 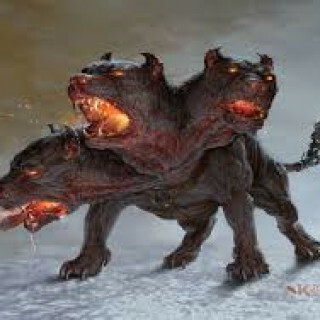 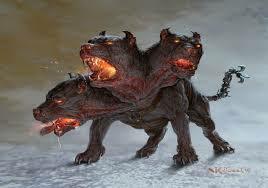 For Typhon I’m thinking a purple glow for destruction. 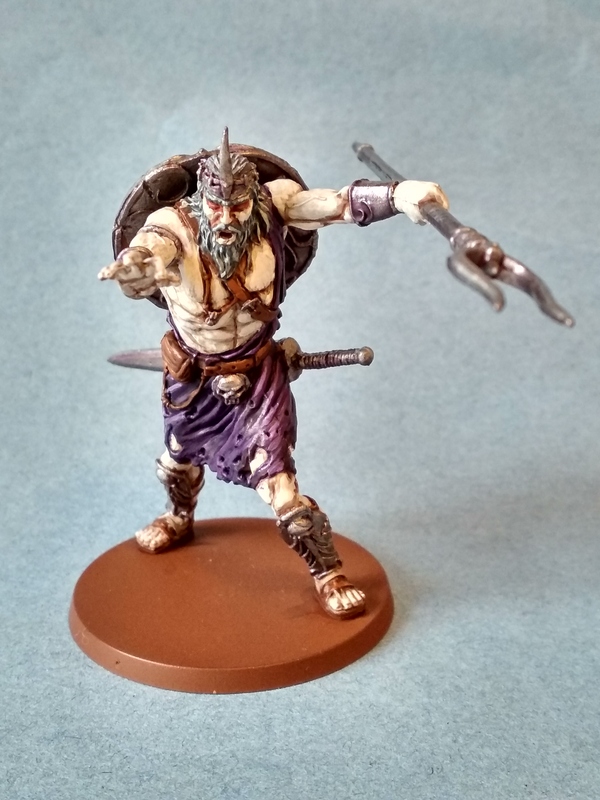 These are both now finished. 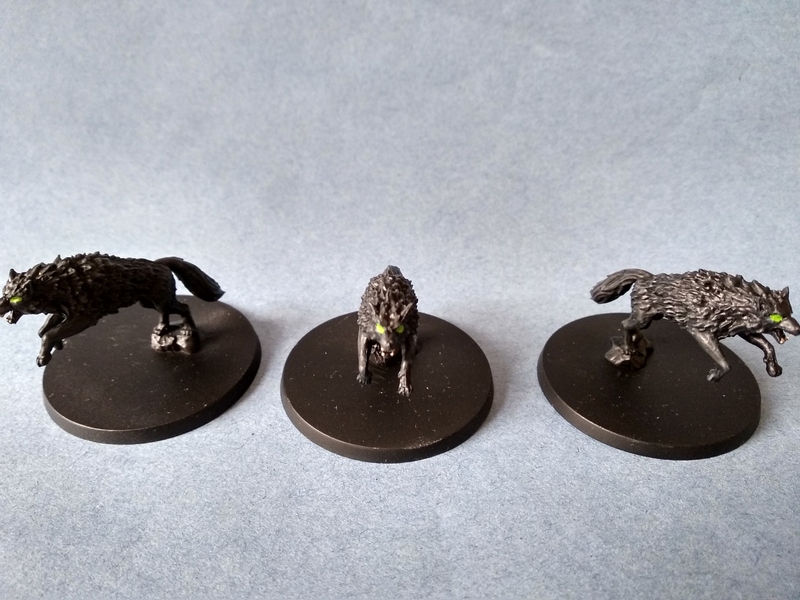 I’ll be fitting clear perspex bases later in the project. 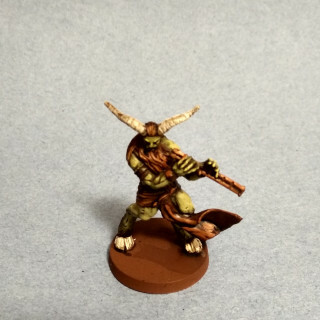 I started by painting the lave/flame areas flash gitz yellow. 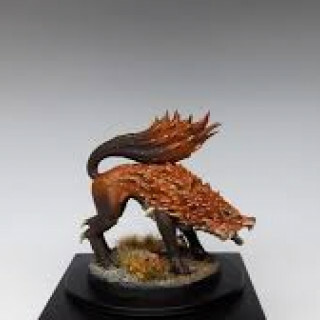 I then drybrushed fiery orange then wild rider red. 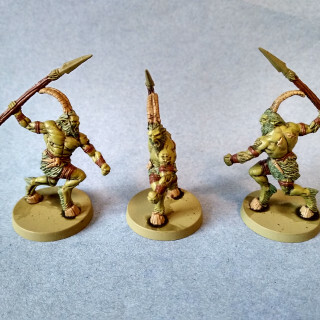 Their “skin” was painted skavenblight dinge, washed nuln oil and then drybrushed stormvermin fir and finally karak stone. 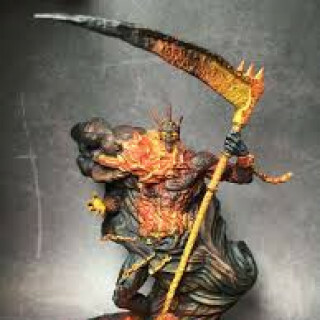 Kronos’ smoke was painted mechanicus standard grey, washed nuln oil, and then drybrushed dawnstone. 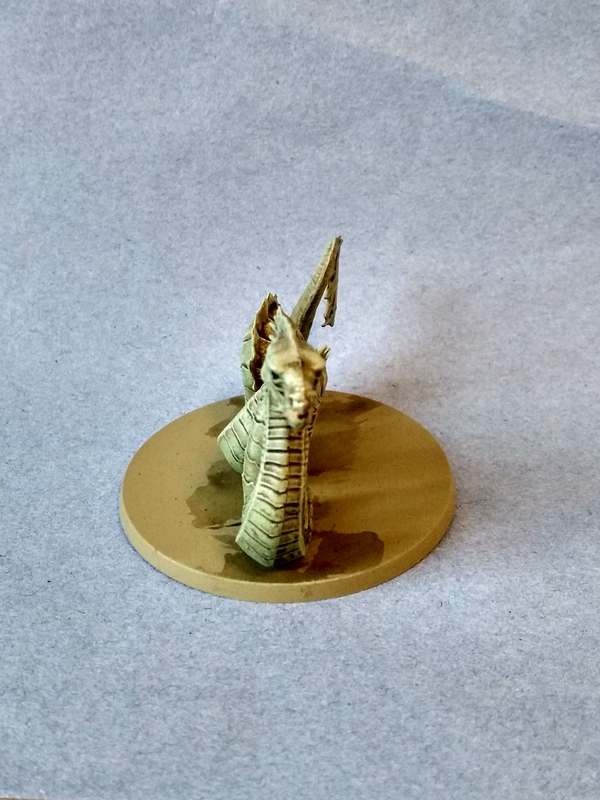 The metal was painted leadbelcher, washed nuln oil, then drybrushed ironbreaker and then finally highlighted with runefang steel. 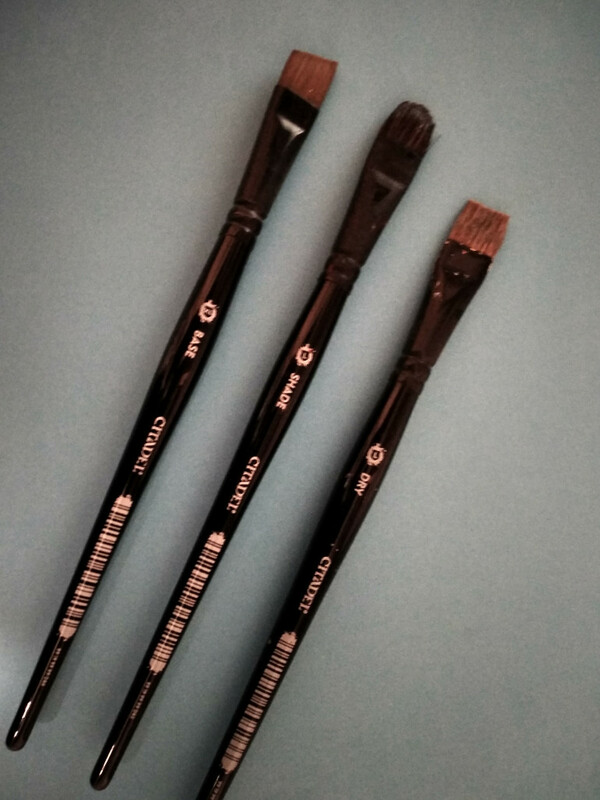 I did almost all the work using the brushes shown below for maximum speed. 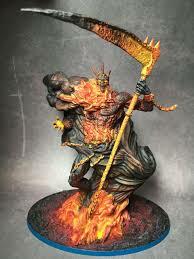 These are the sort of effect I’m going to be aiming for. 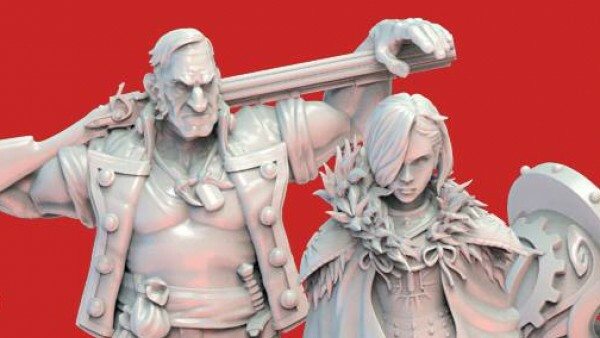 I’ll get started on these two this week. 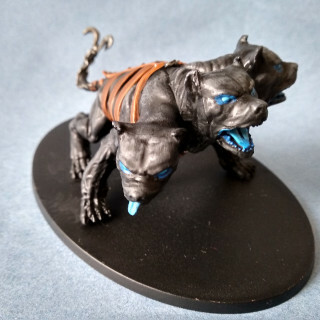 They both have similar colour schemes of dark bodies with a burning inner fire look, so I should be able to work on the two together efficiently. 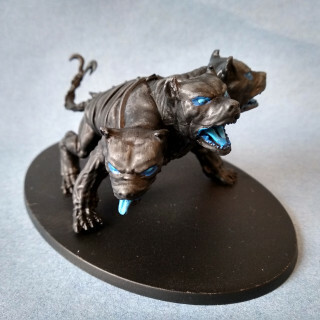 They’ve both been base coated with a mephiston red spray. 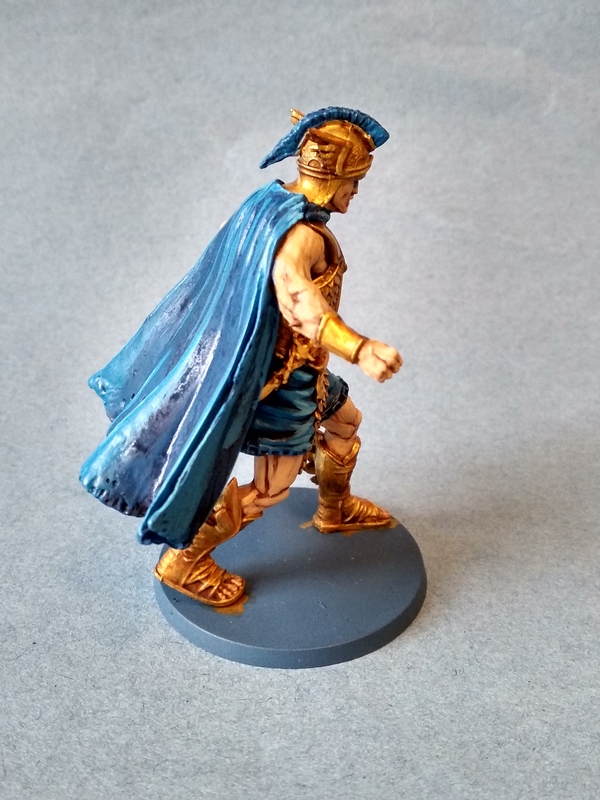 Based on my usual time available for painting I think I could keep that pace but would have little time to paint anything else in the year. 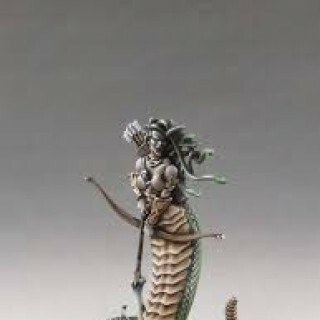 Where I can gain ground though is when models have very similar colour schemes and I can paint them together. 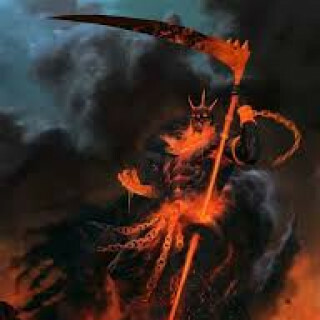 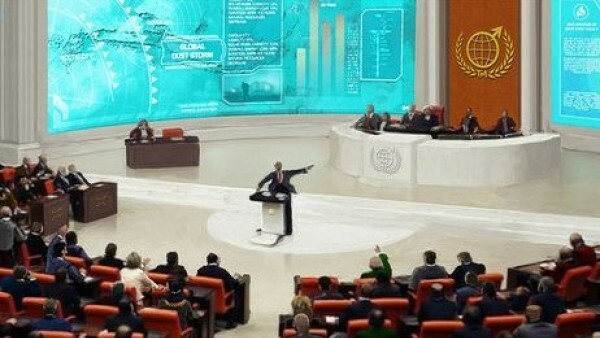 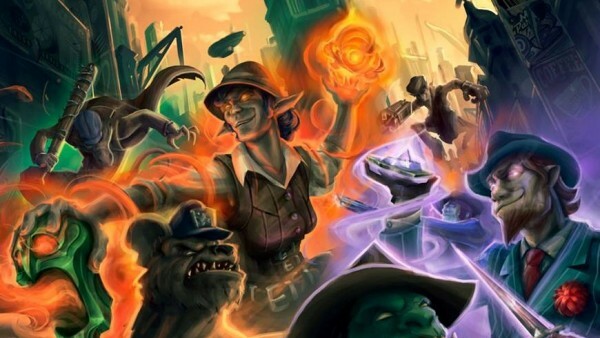 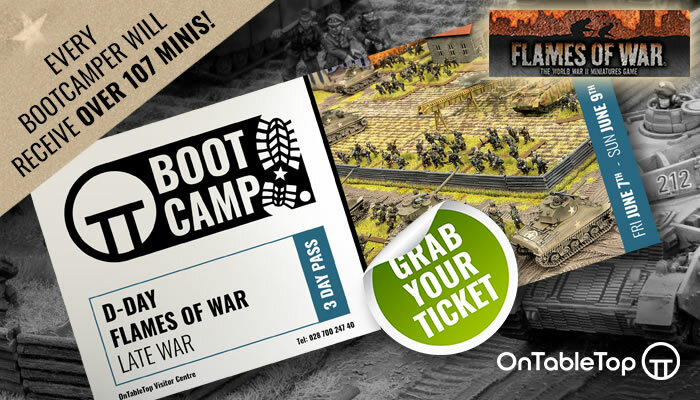 I imaging there will be lots of troops that get painted ahead of schedule along side a closely associated god or titan. 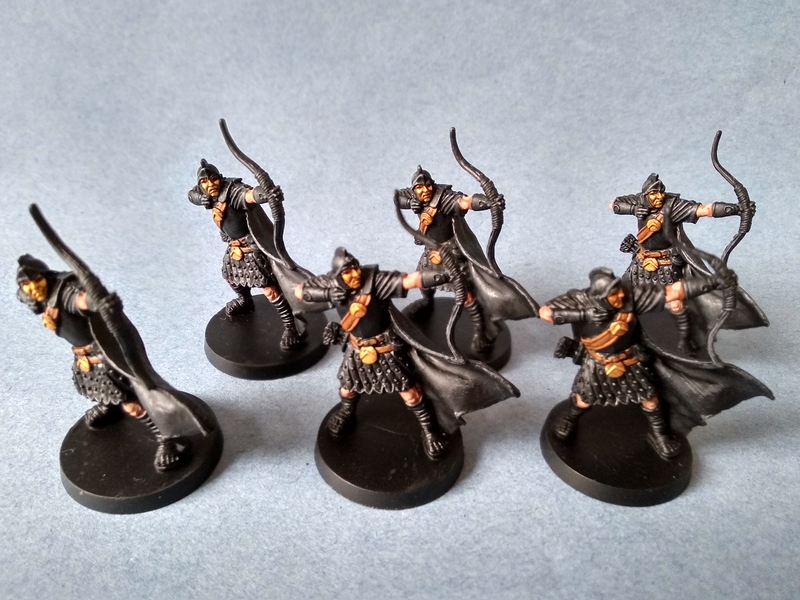 When the models arrived I got them all base coated using coloured sprays. 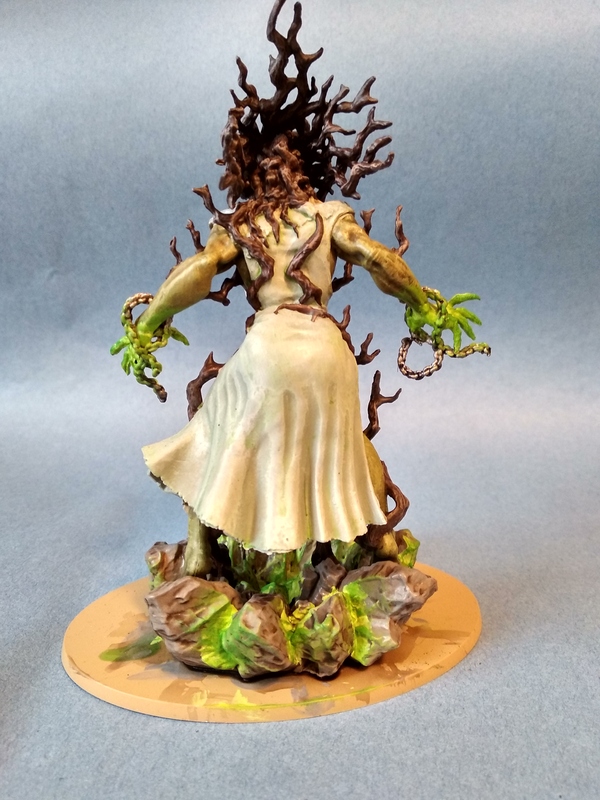 This alone took me a couple of weeks of spraying a new batch each day. 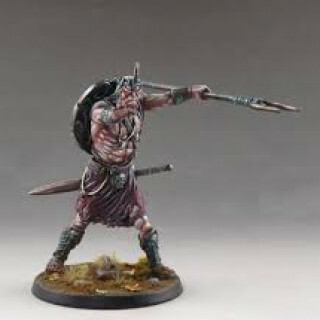 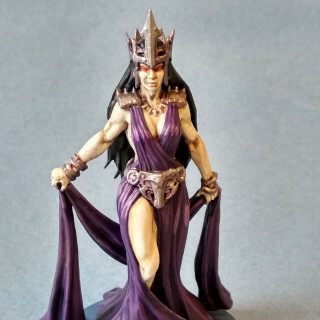 In 2017 I had set myself the target of painting all the Conan Kickstarter models (which I finished with 3 hours to go) so I was in no mood to set myself another massive painting challenge in 2018. 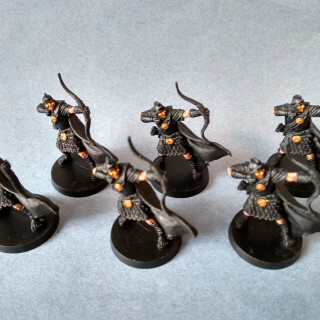 A year on my motivation has recovered and I want to get all these models painted up. 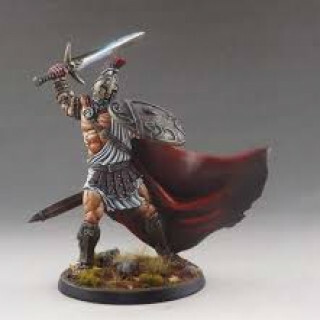 My plan is to start with the titans and gods, perhaps painting up any troops that are closely associated and have similar colour schemes as I go. 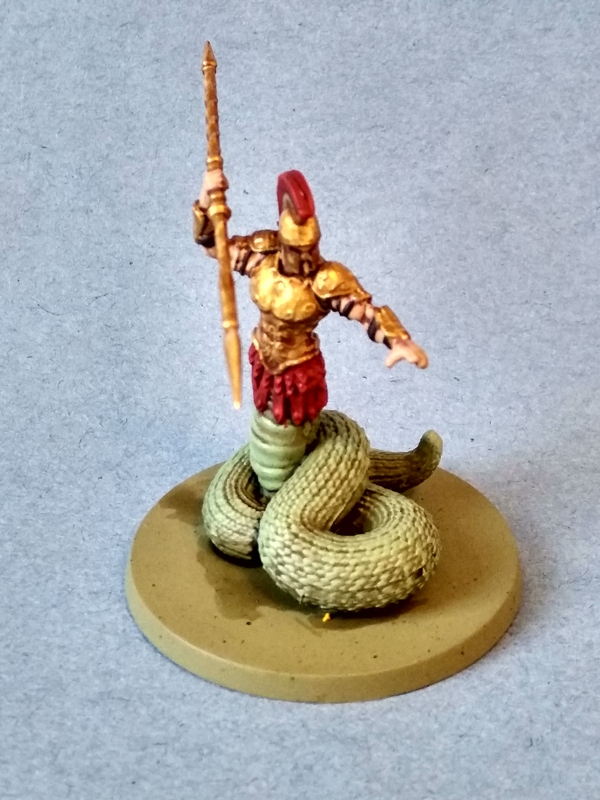 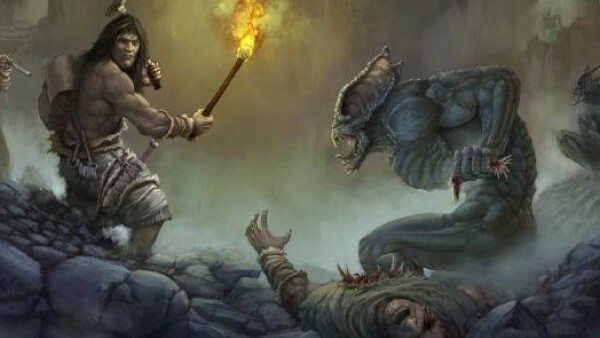 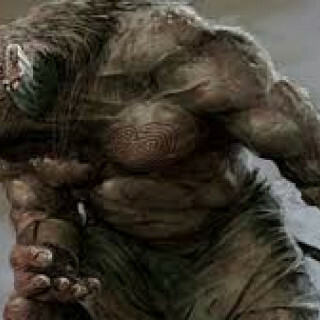 Once the gods and titans are done I’ll move on to the monsters, then the heroes. 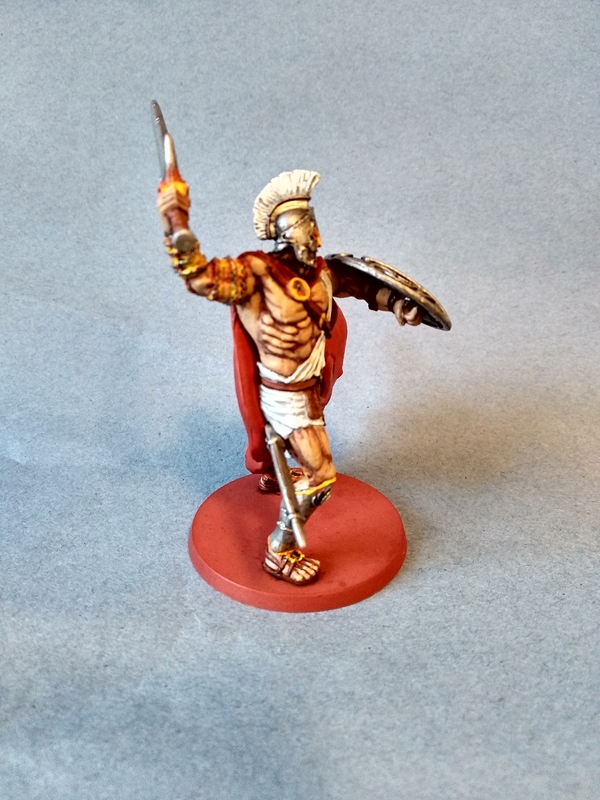 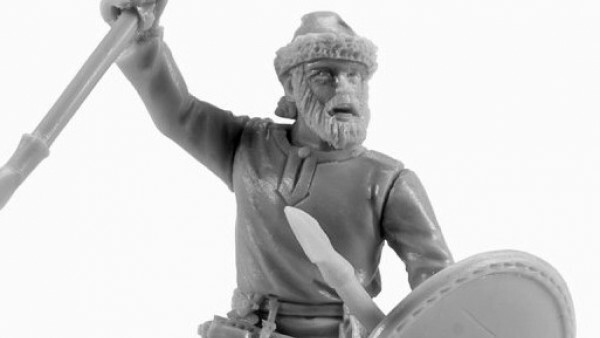 Finally I’ll do any remaining troop models at the end of the year. 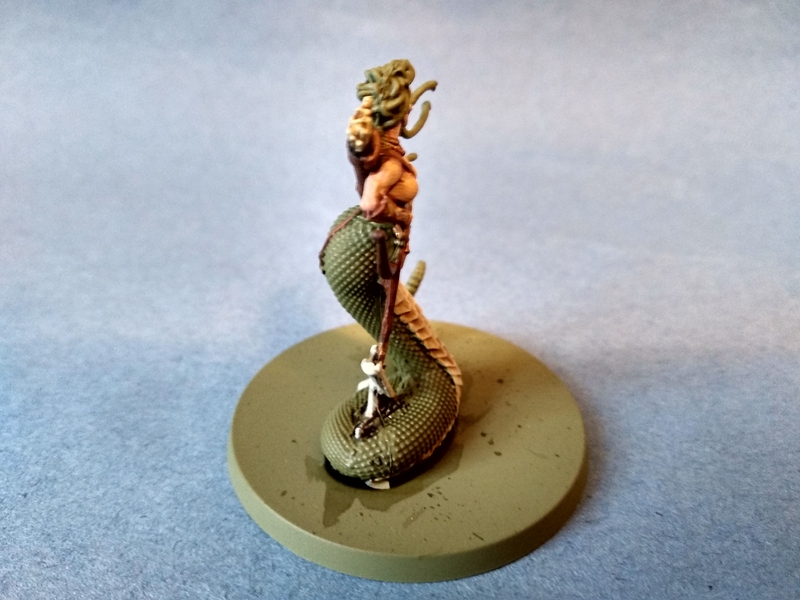 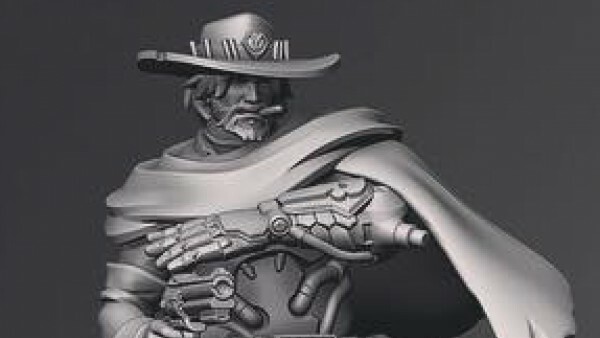 At the start of each month I’ll pick the models to be done that month and if I get them finished I’ll let myself do an unrelated painting project to give myself a change before the next month starts.